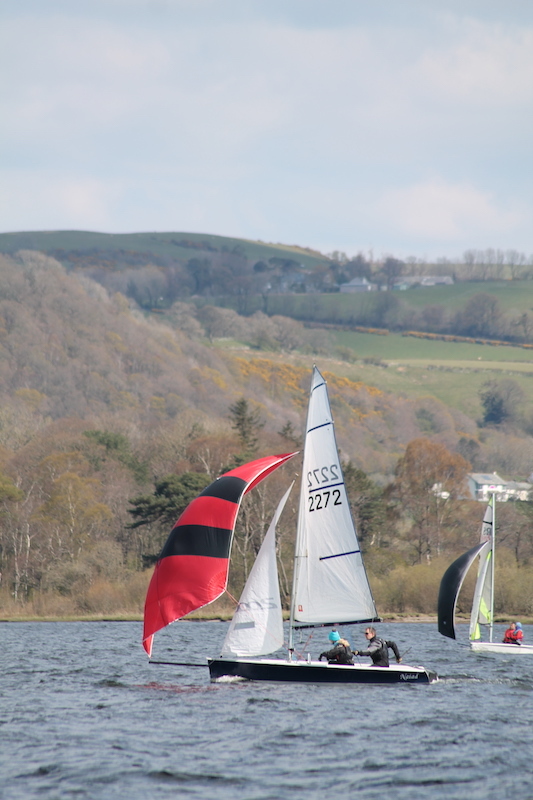 With Easter being late this year, GNAC is being held early, for which there was a fleet of 27 boats. 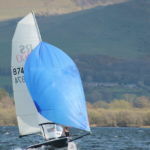 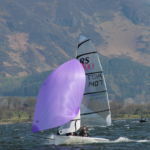 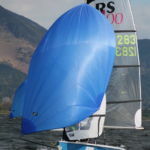 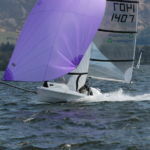 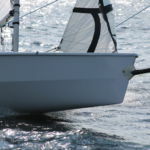 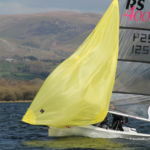 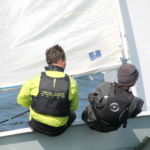 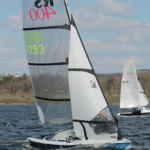 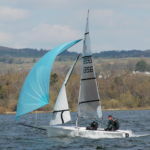 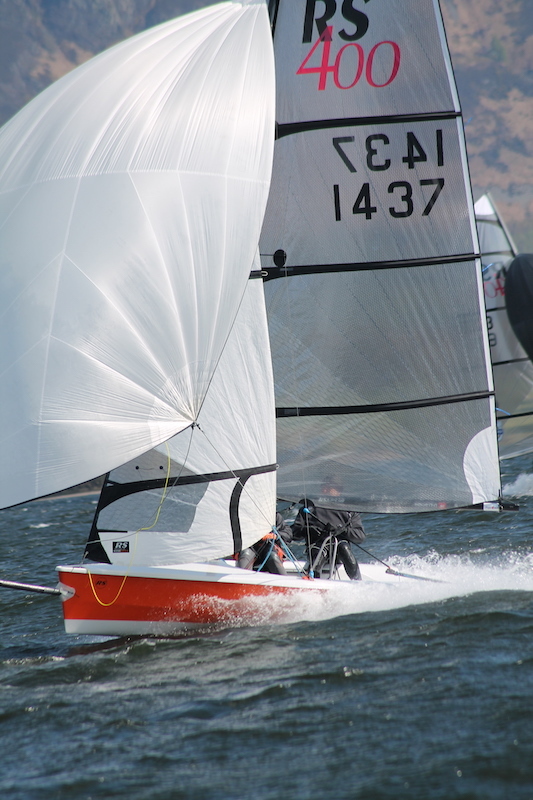 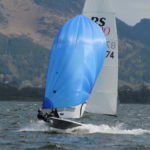 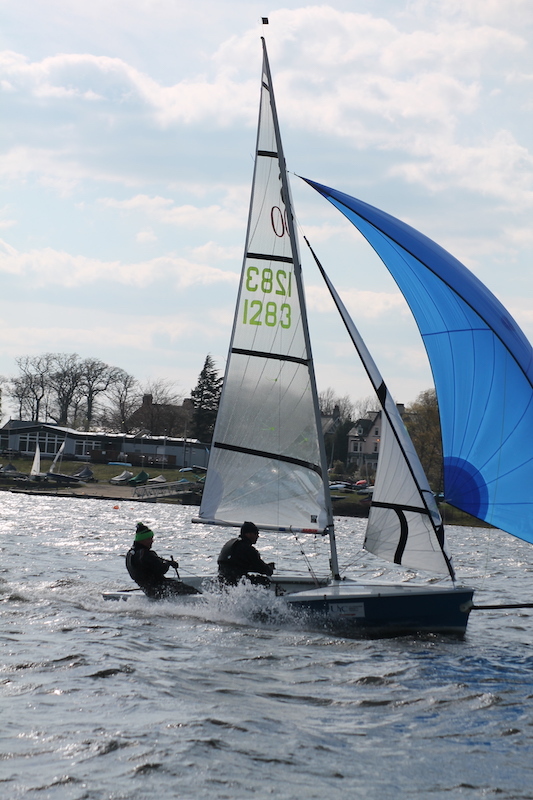 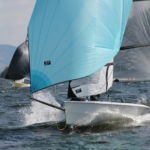 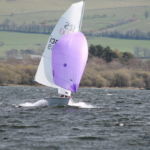 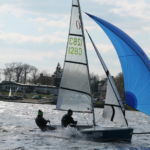 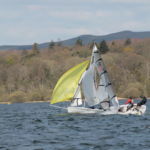 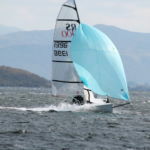 Although the sun was shining, the cooler than usual, and stronger than forecast SE breeze put a few competitors off sailing. 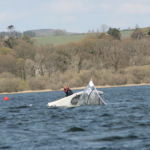 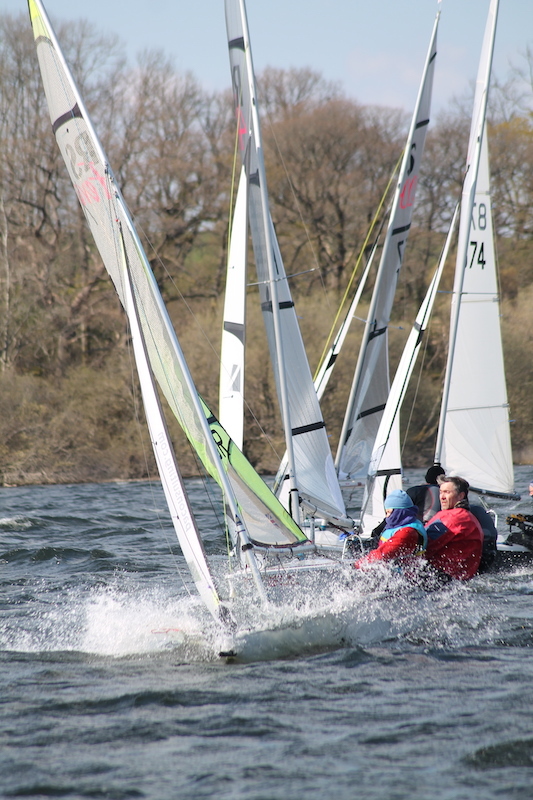 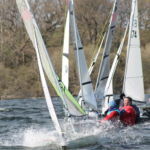 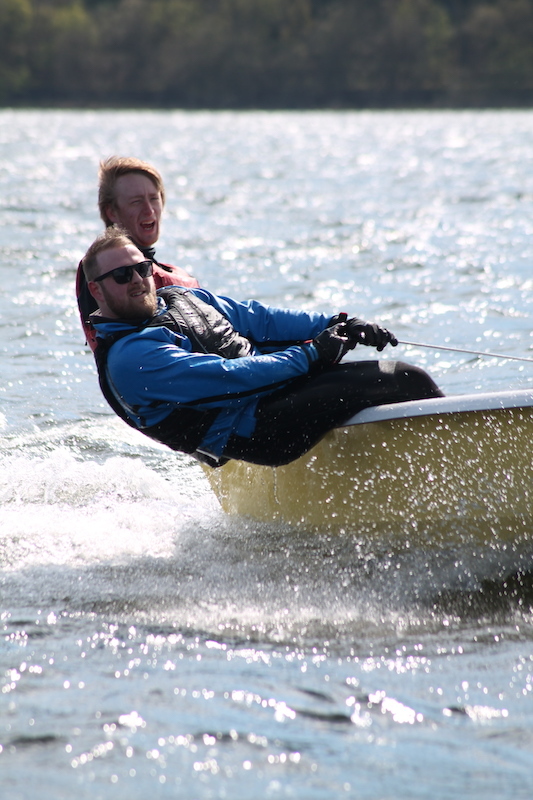 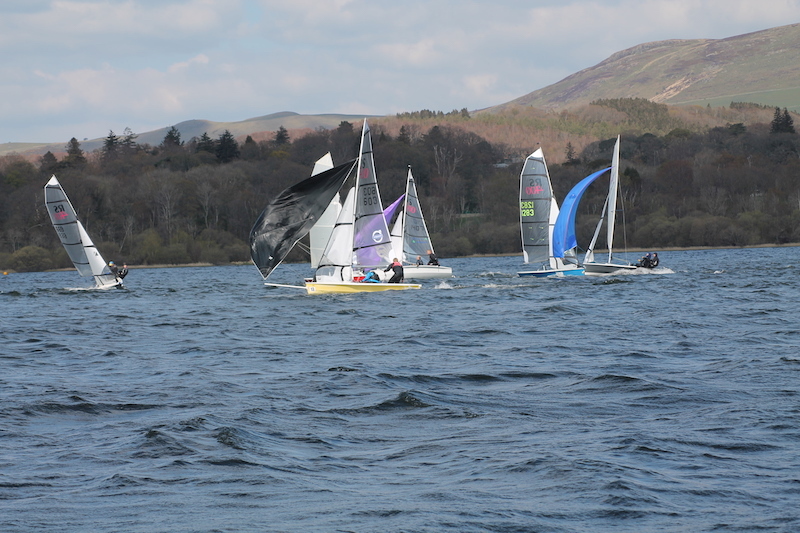 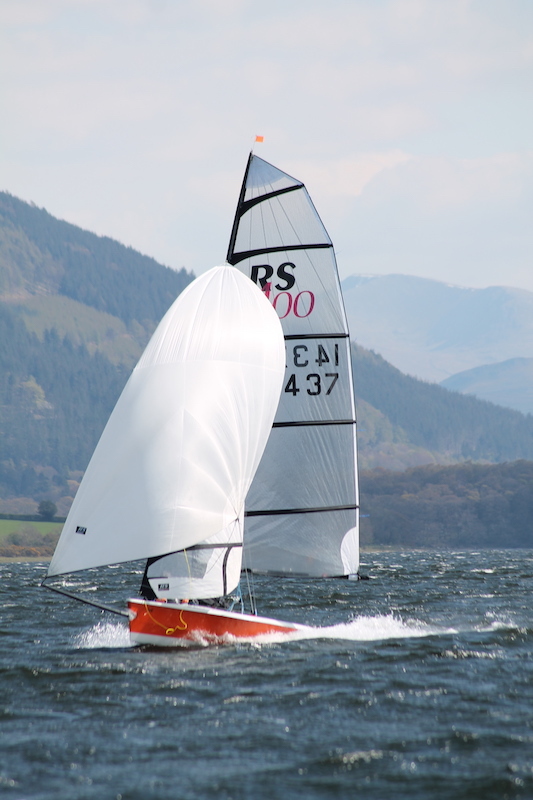 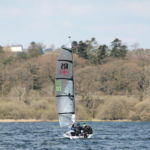 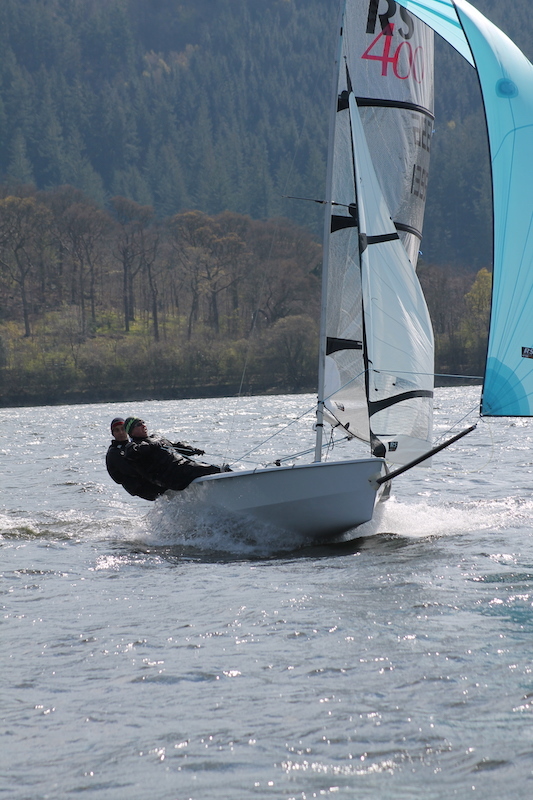 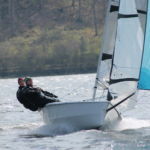 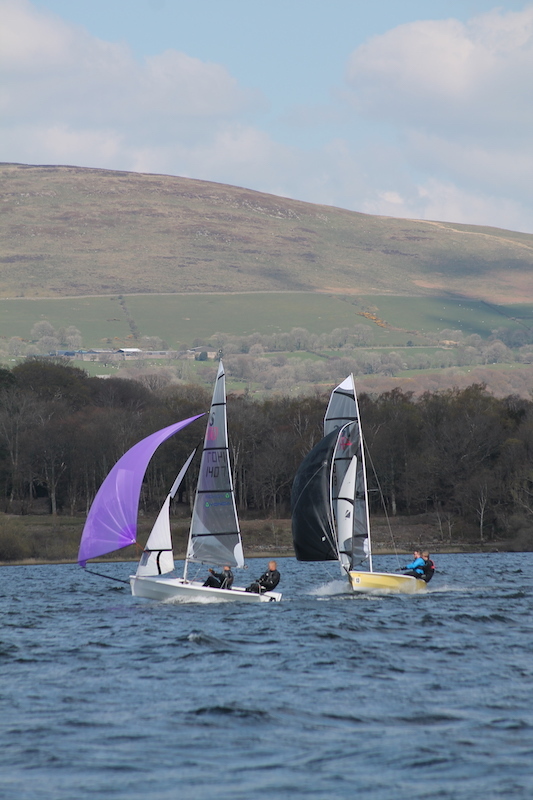 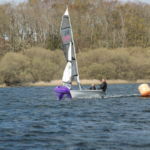 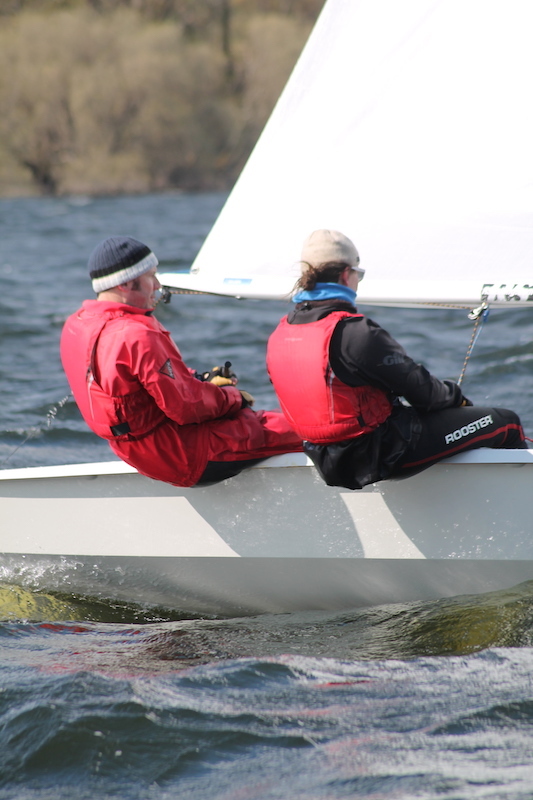 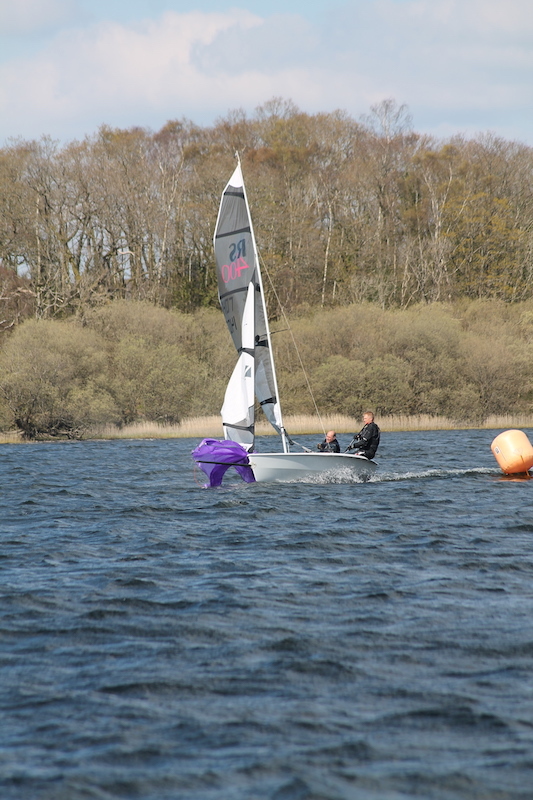 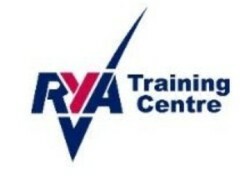 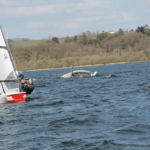 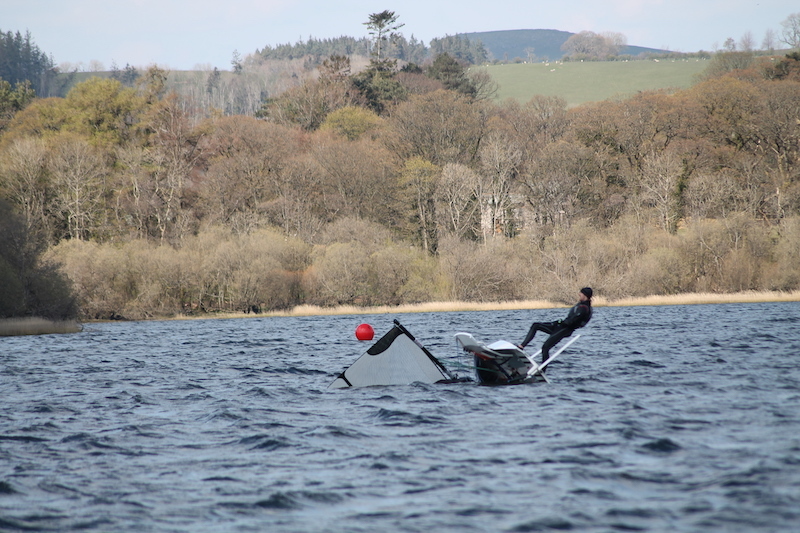 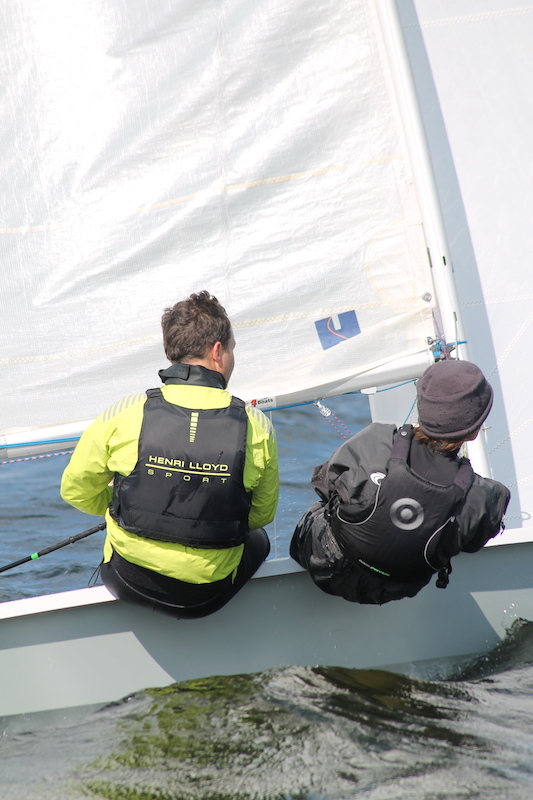 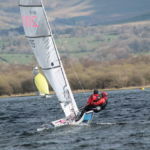 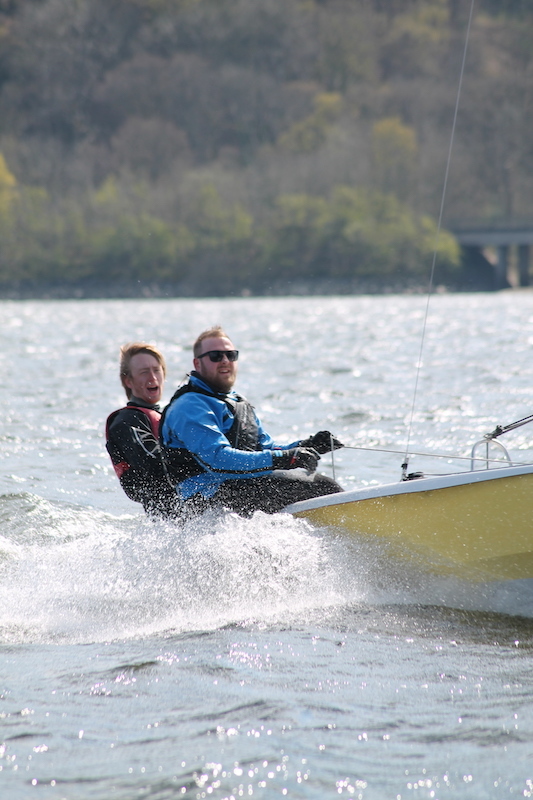 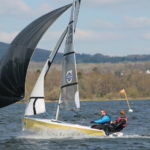 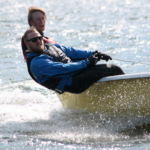 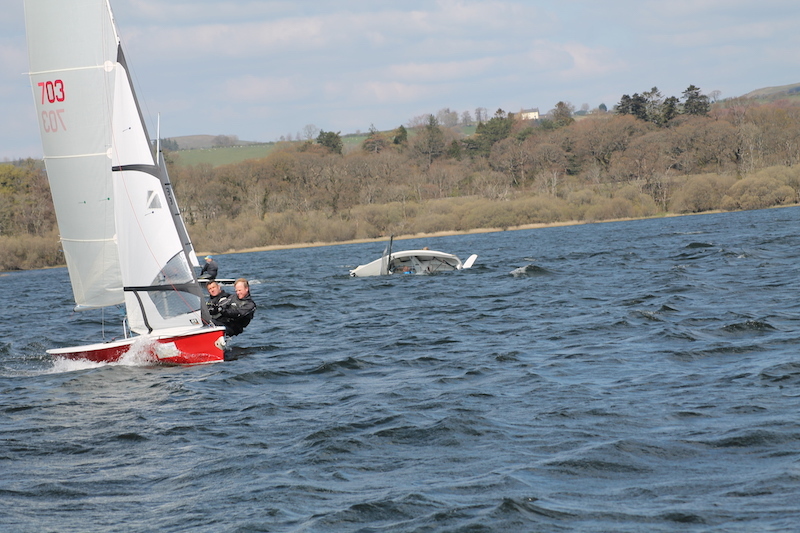 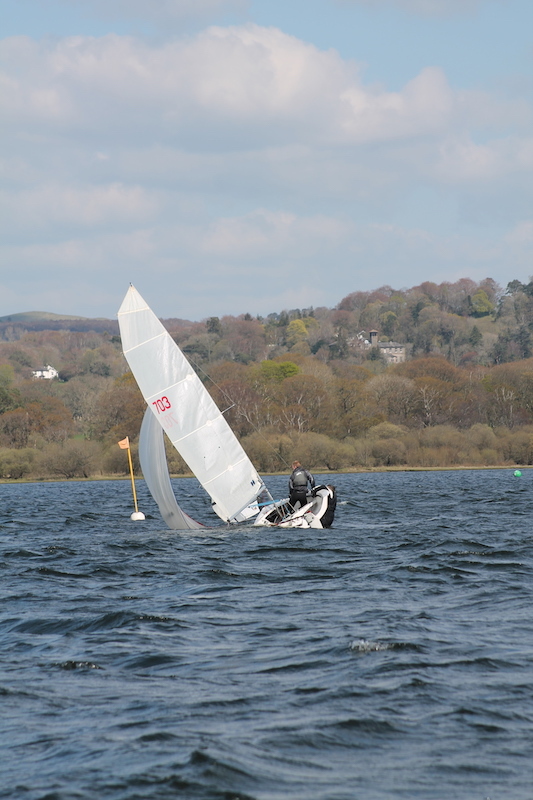 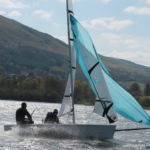 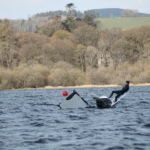 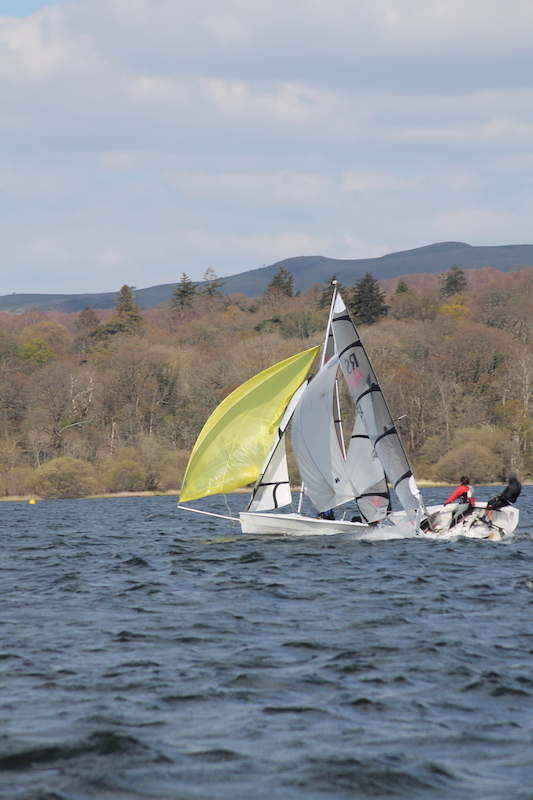 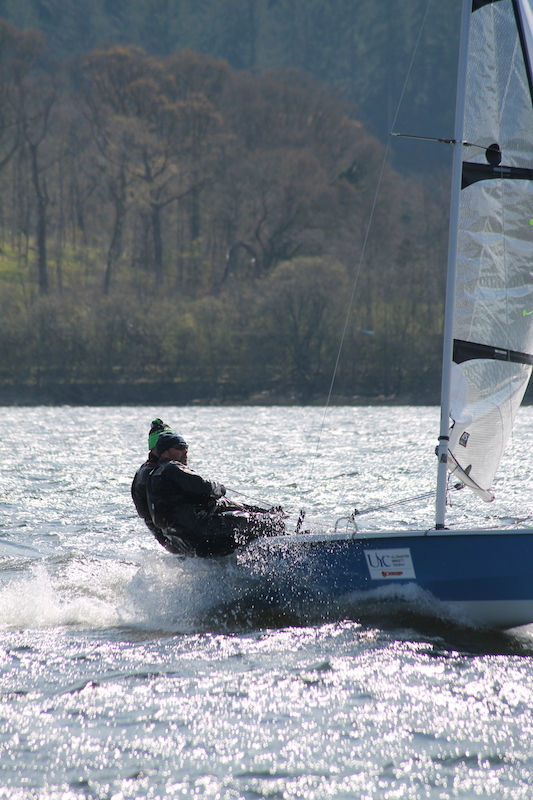 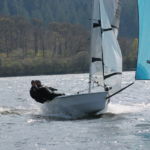 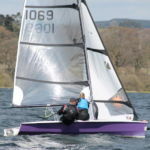 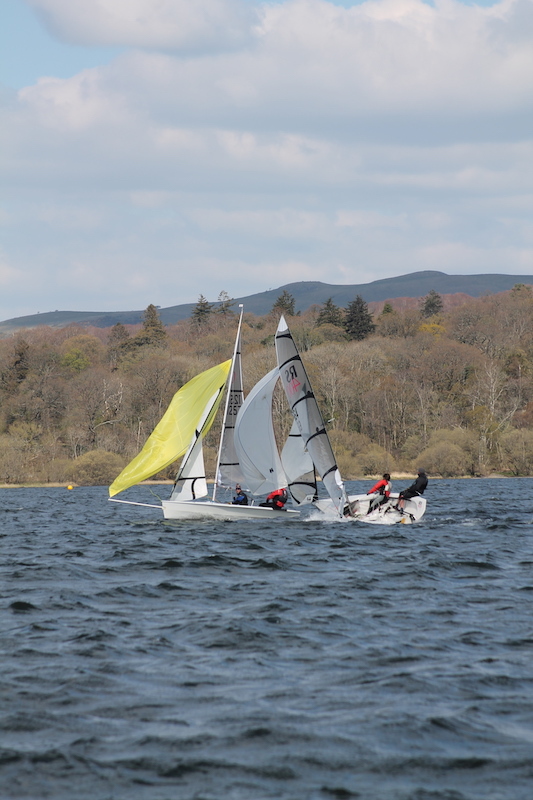 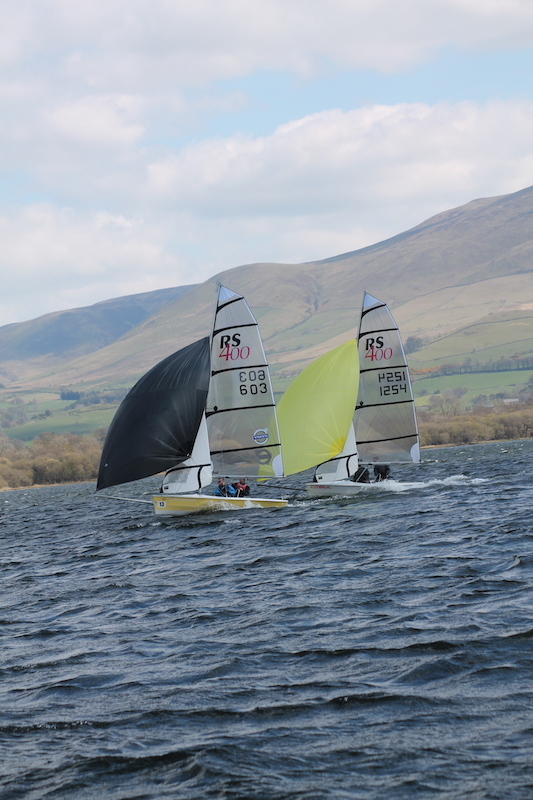 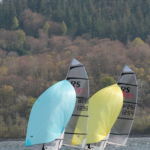 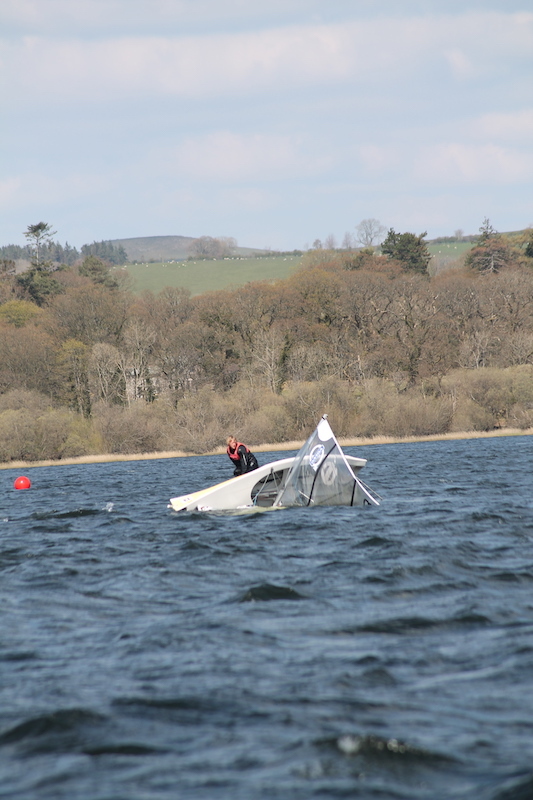 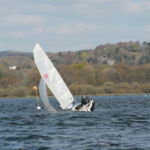 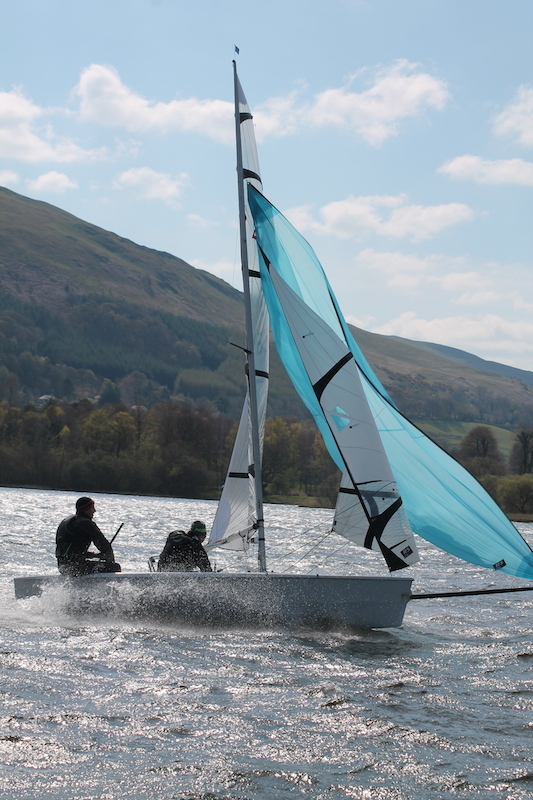 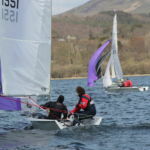 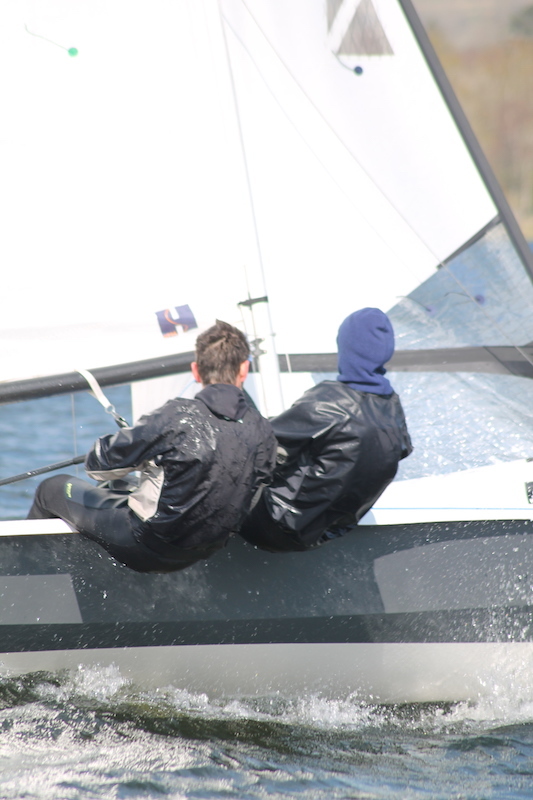 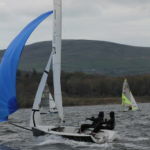 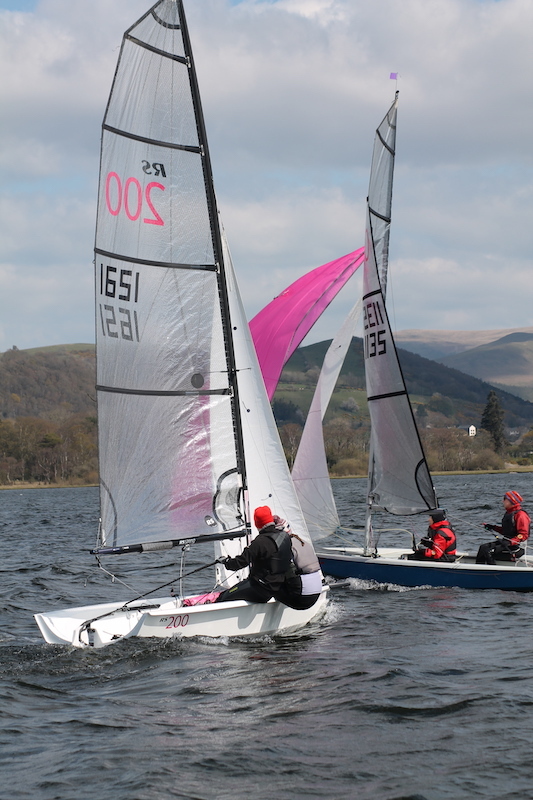 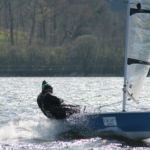 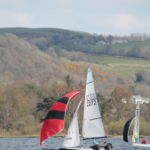 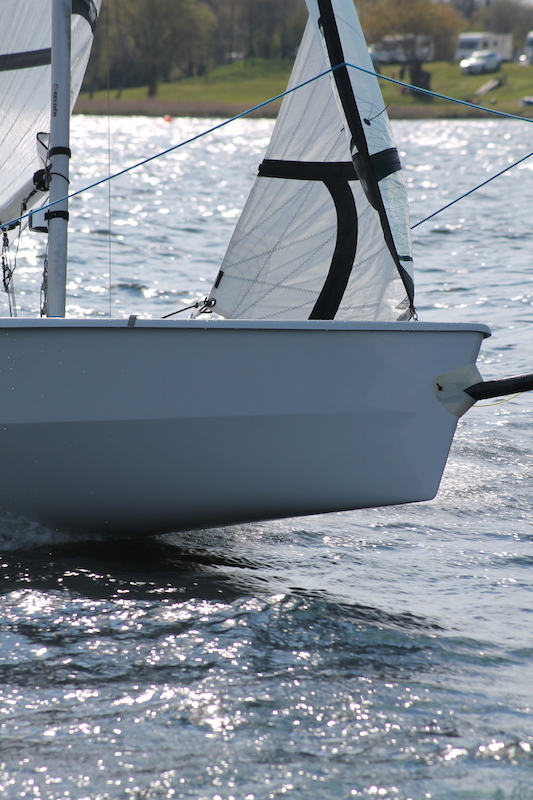 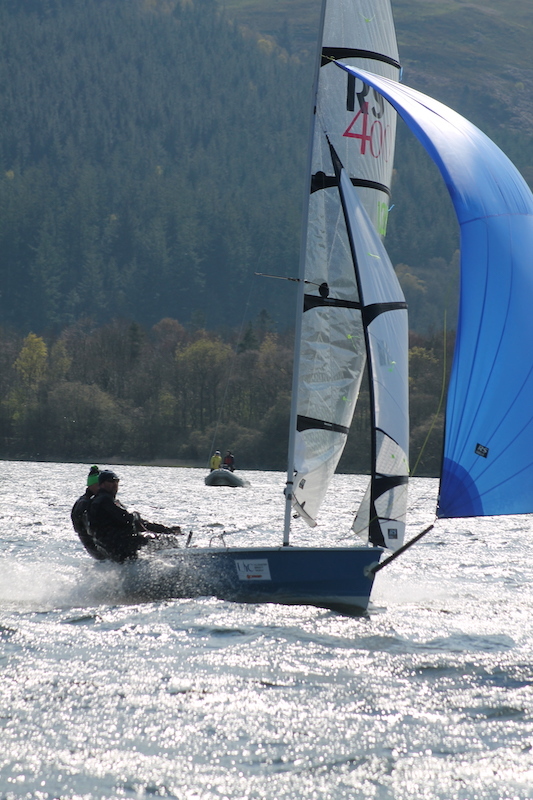 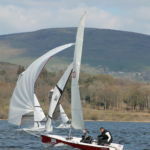 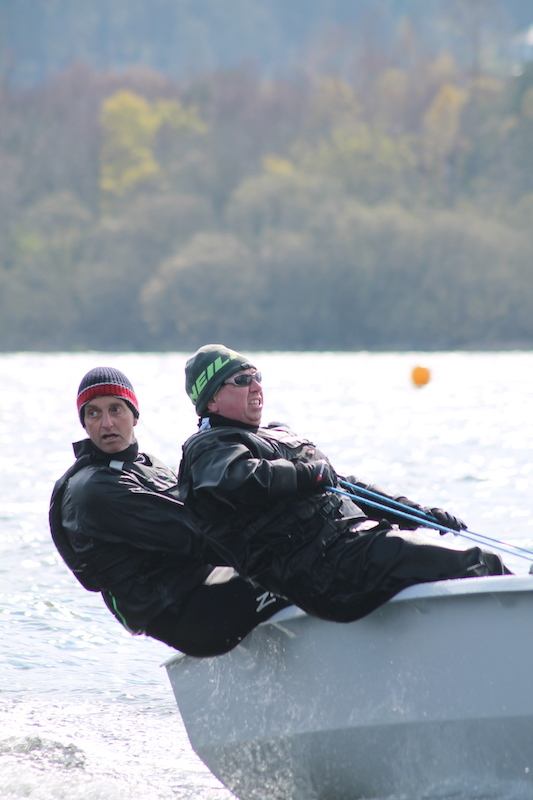 Those that sailed enjoyed some spectacular reaches, and several suffered capsizes to boot! 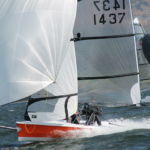 Four races were sailed back to back, which took its toll energy wise, and the numbers in each race decreased. 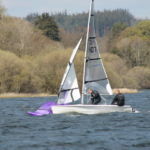 Only one general recall, so no need for any black flags. 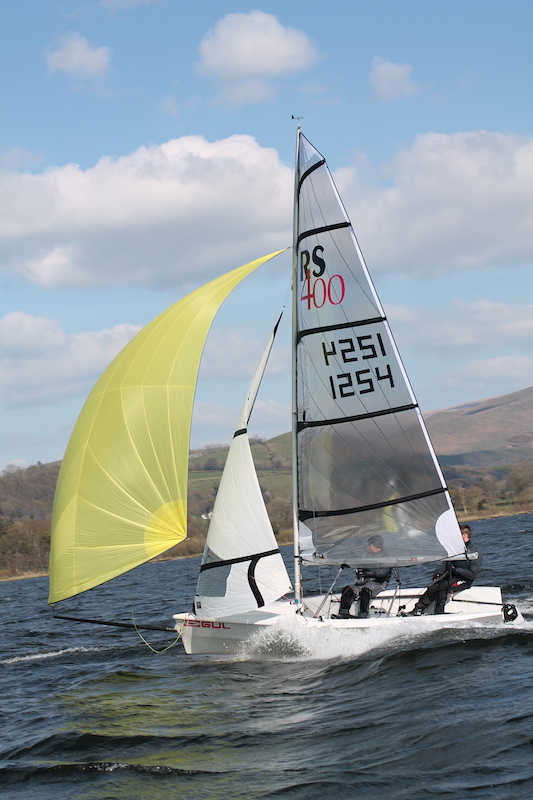 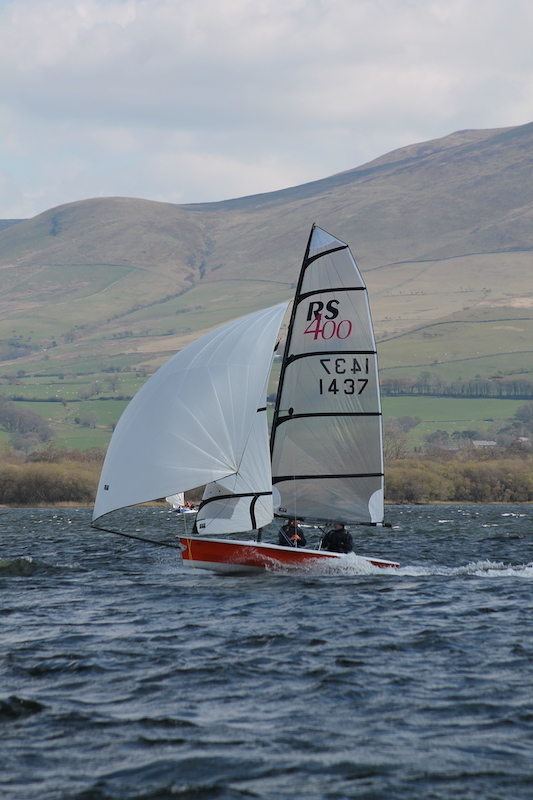 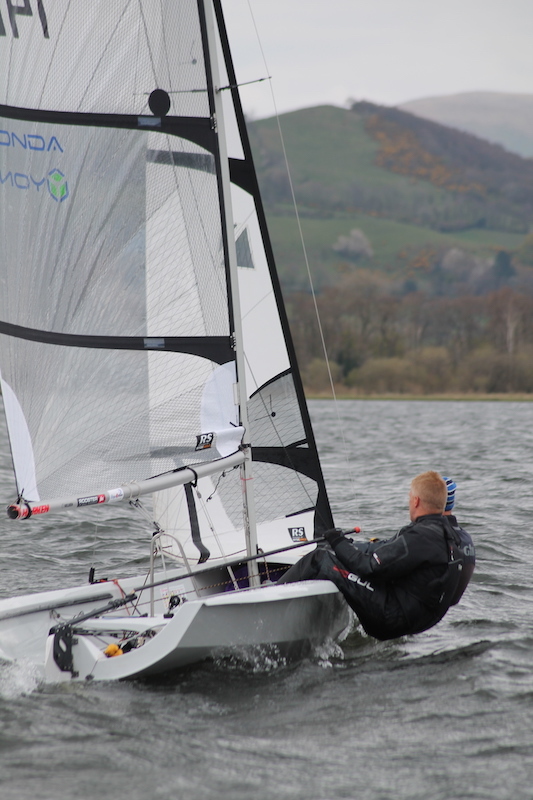 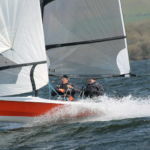 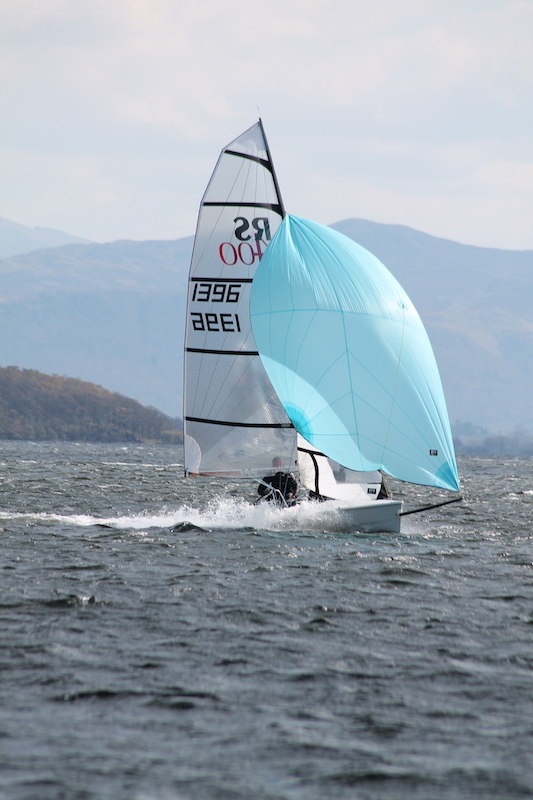 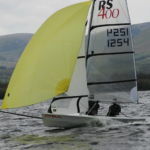 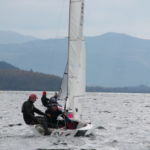 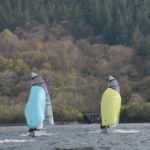 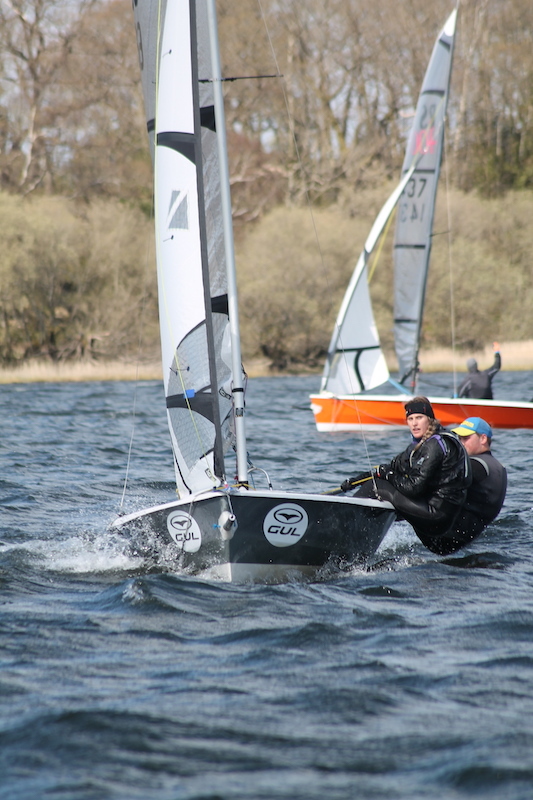 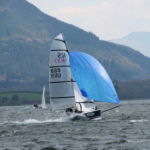 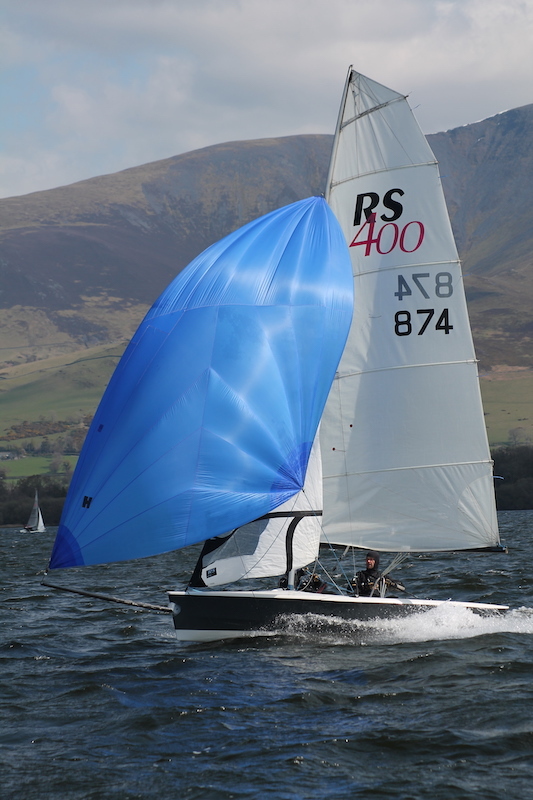 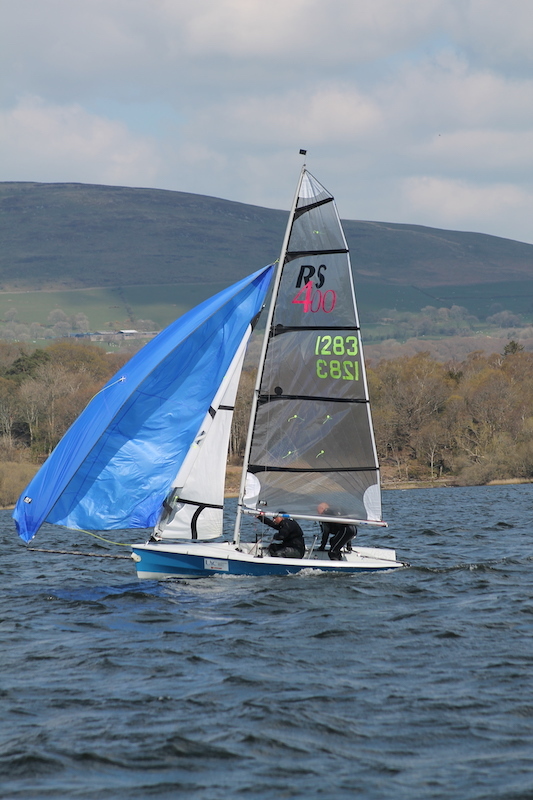 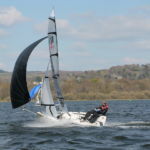 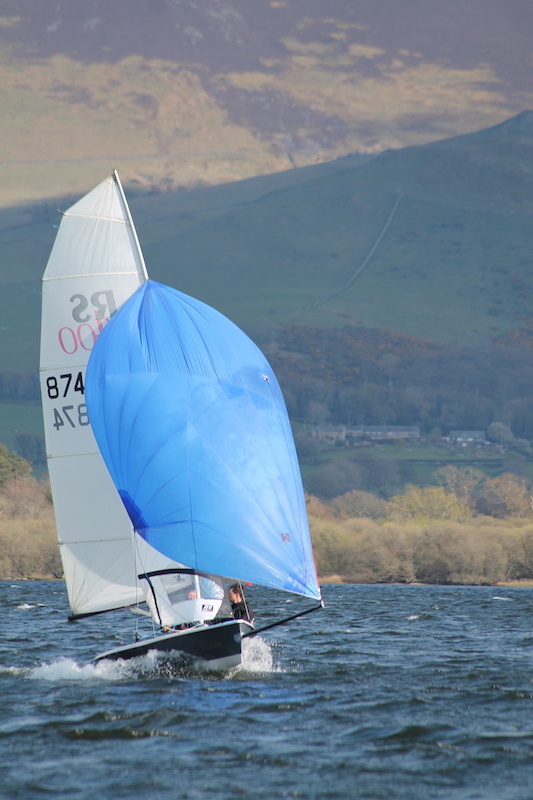 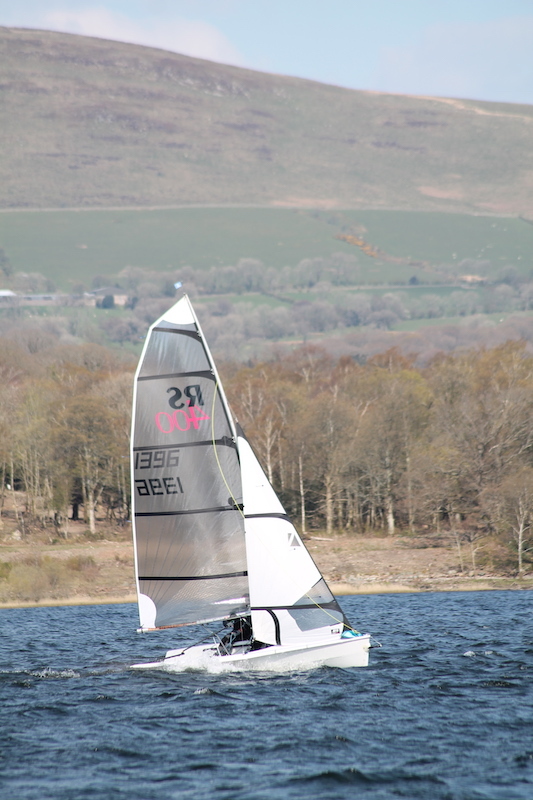 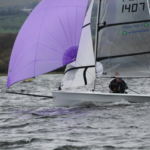 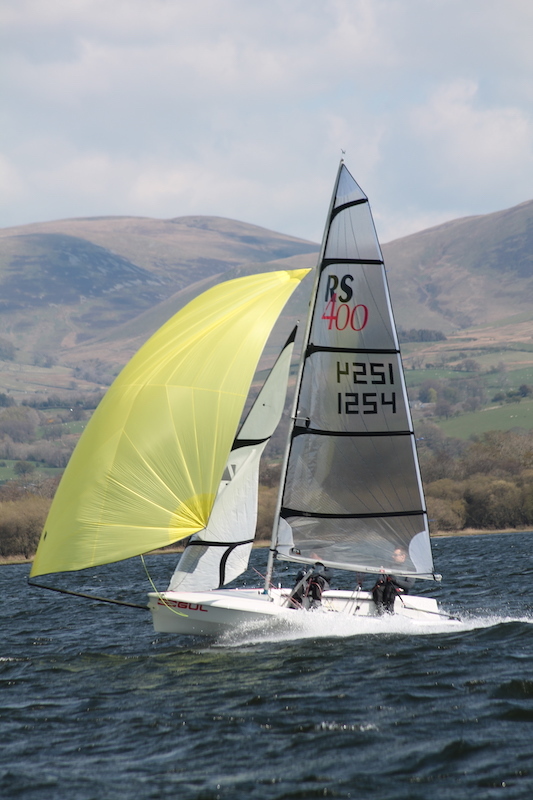 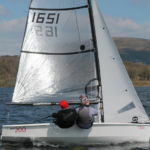 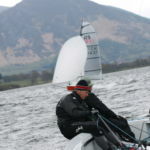 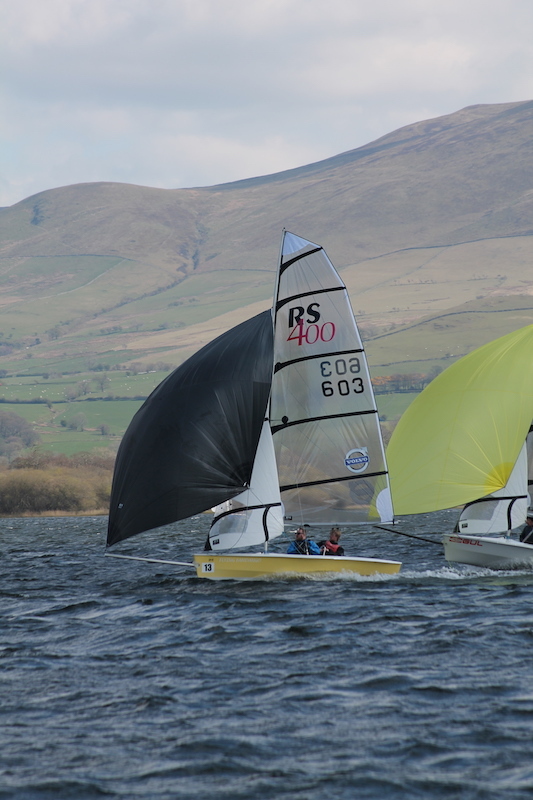 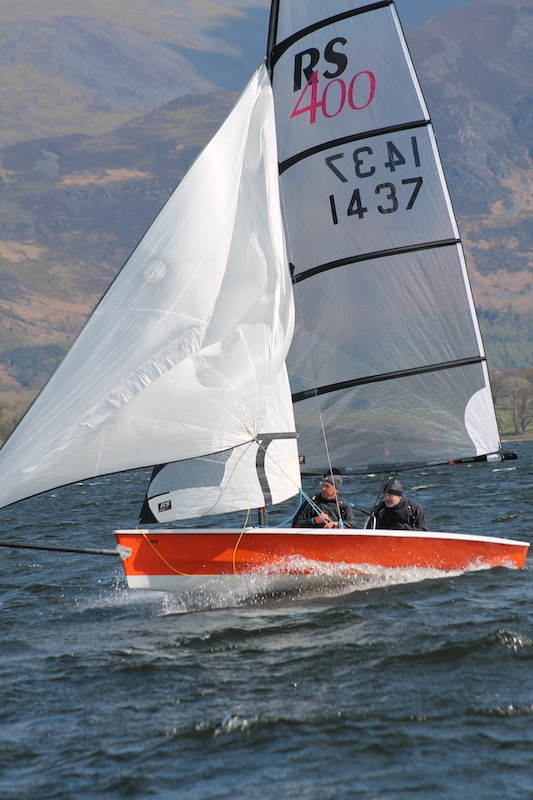 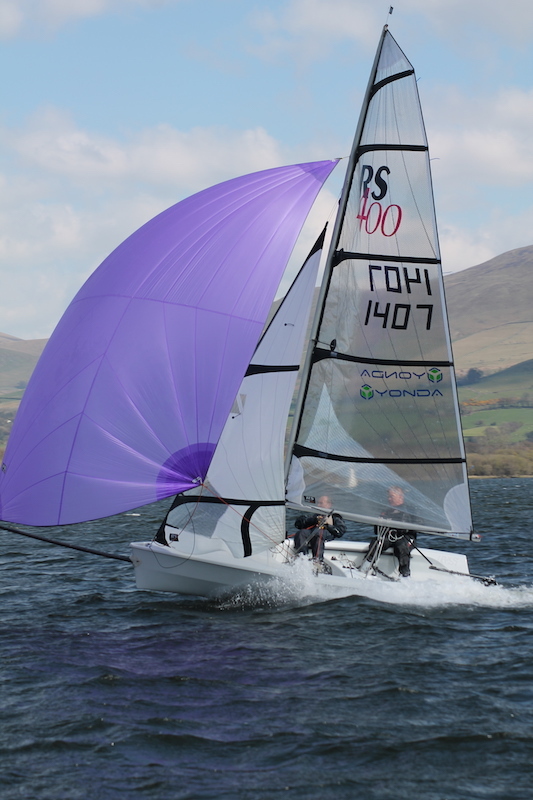 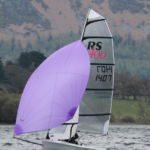 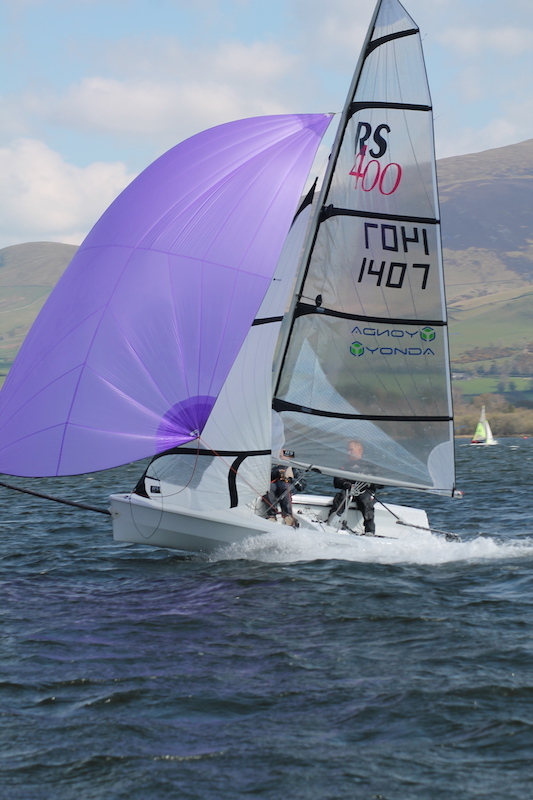 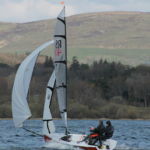 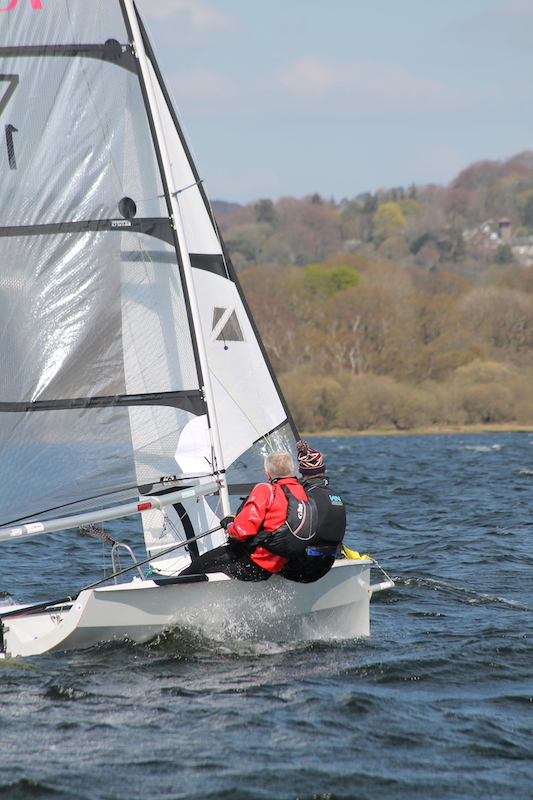 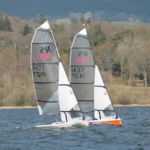 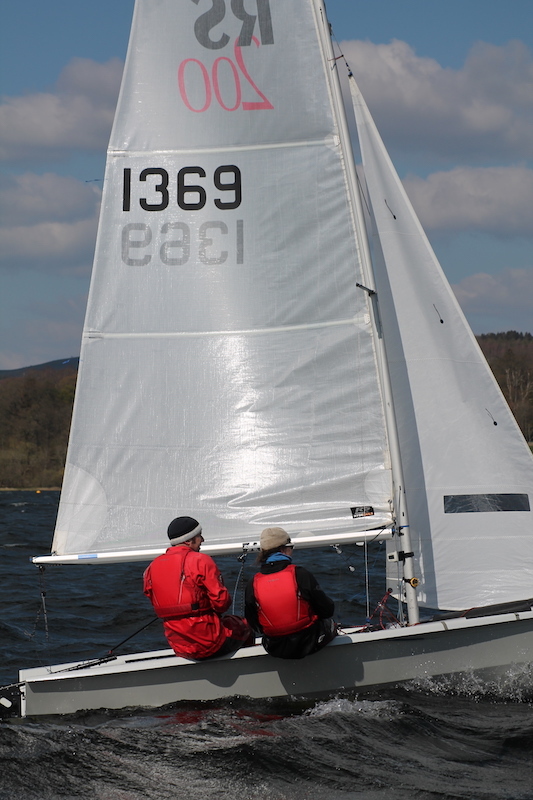 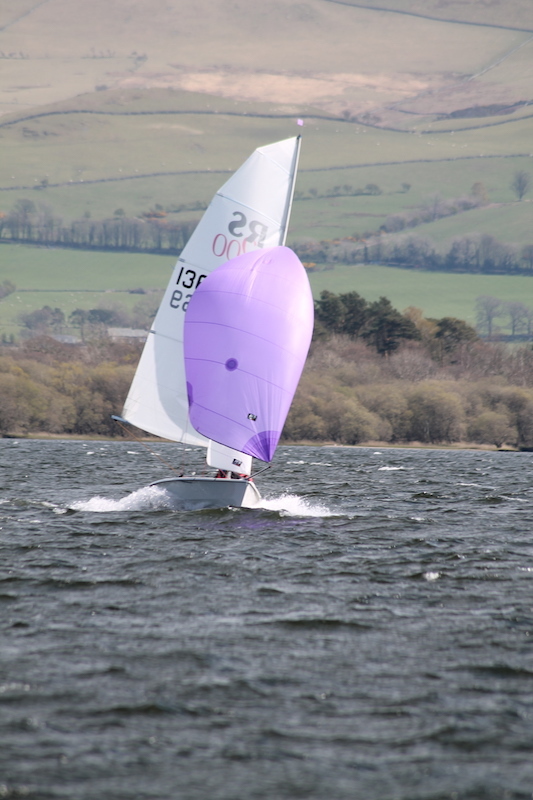 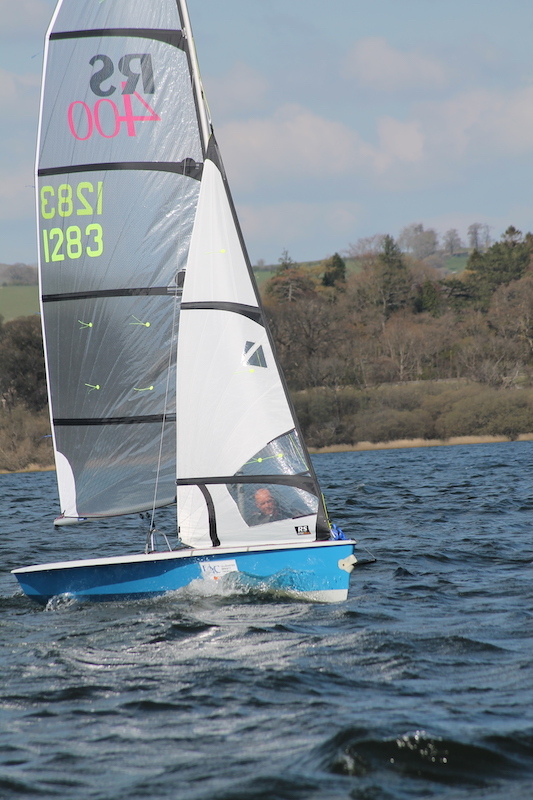 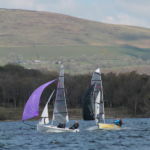 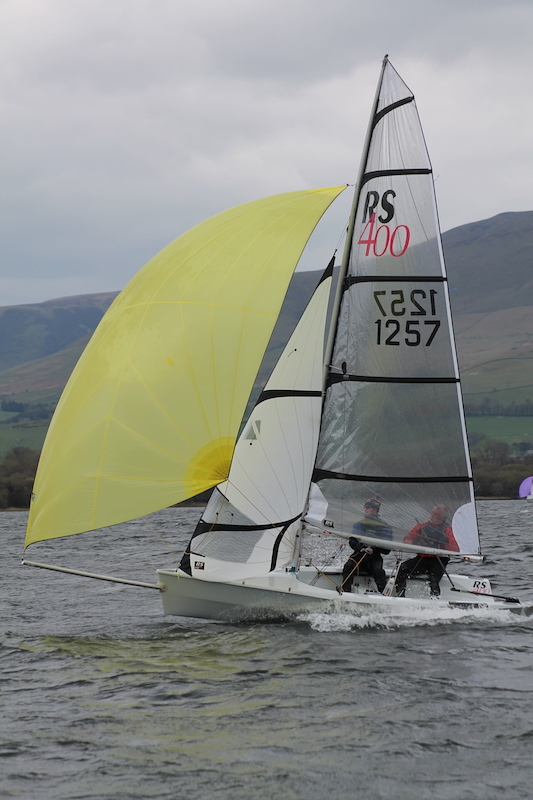 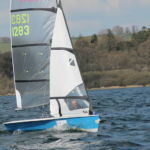 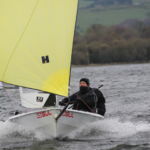 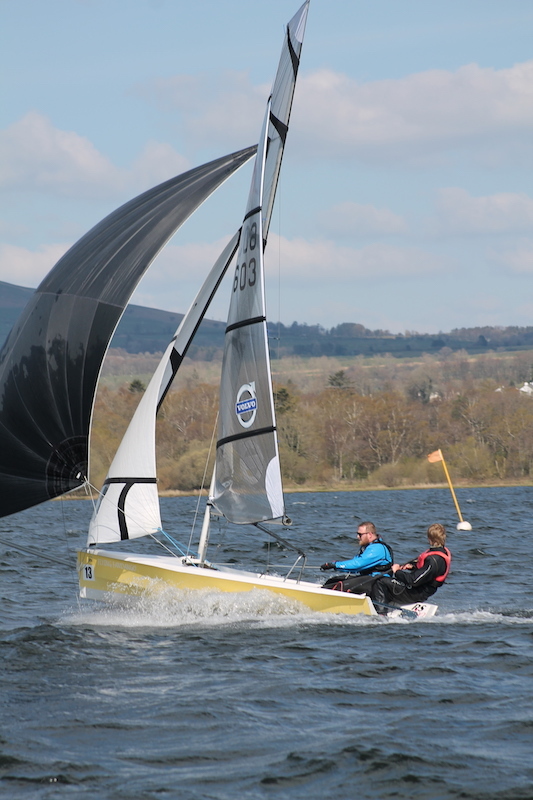 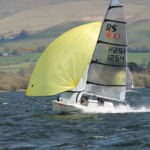 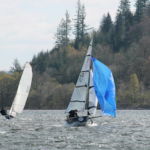 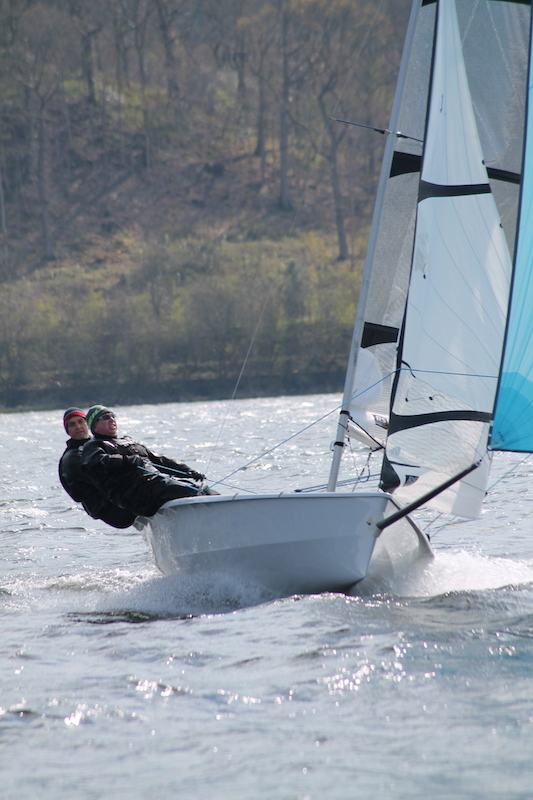 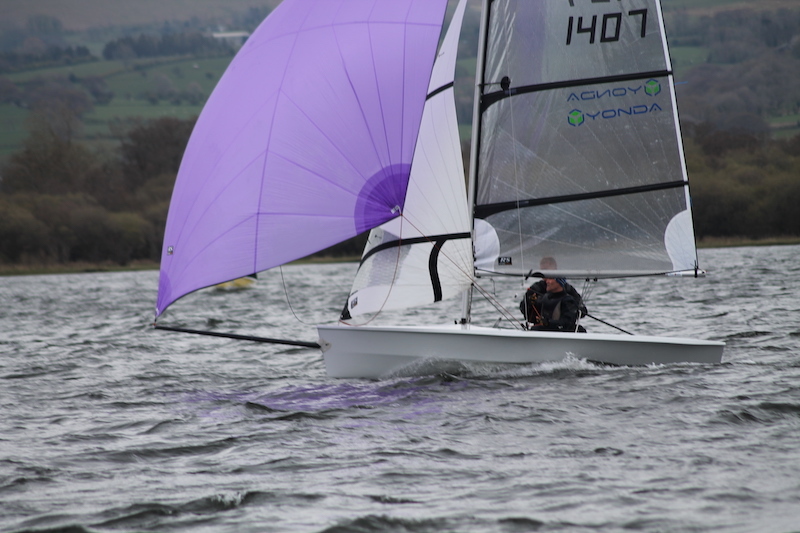 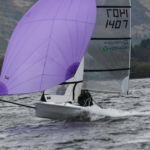 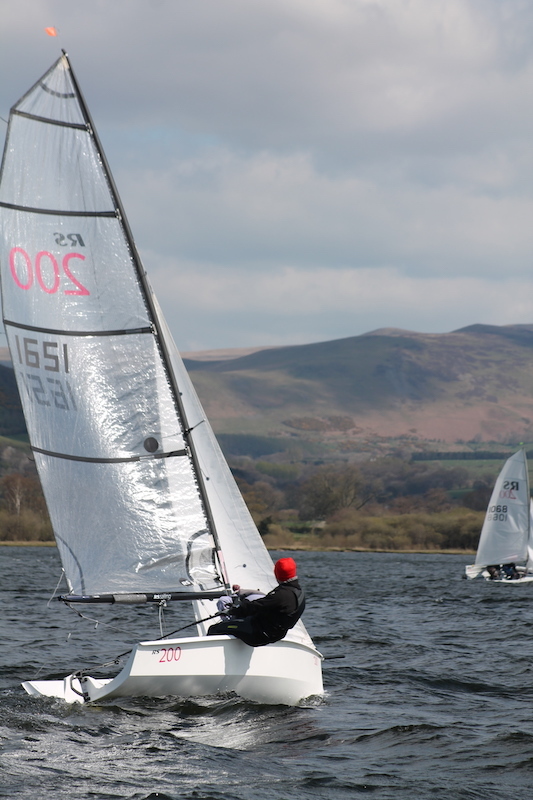 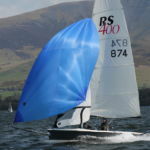 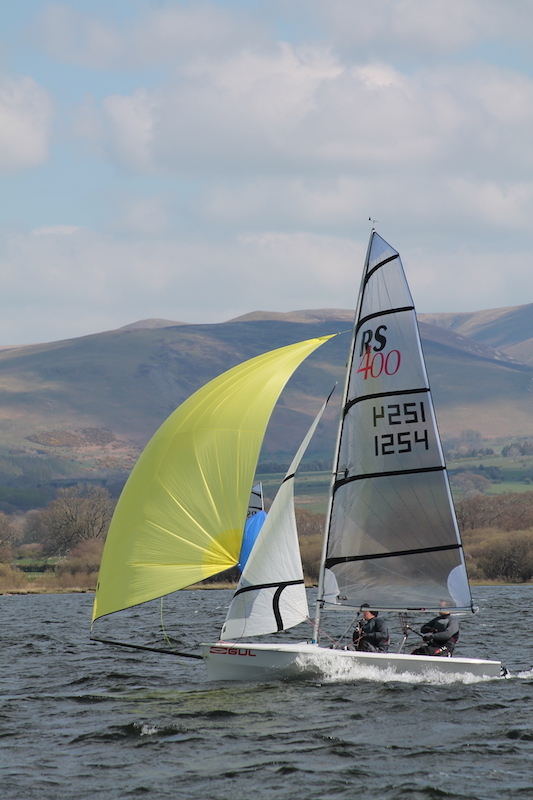 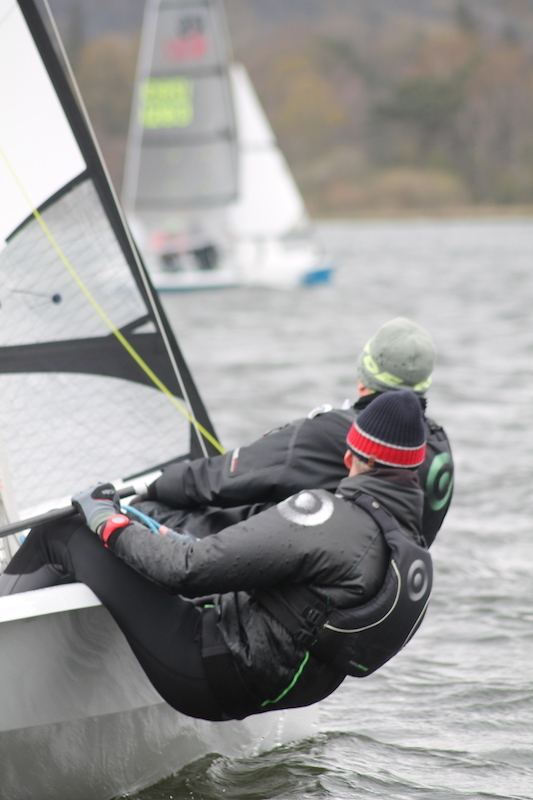 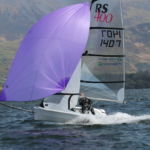 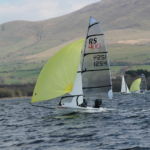 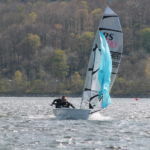 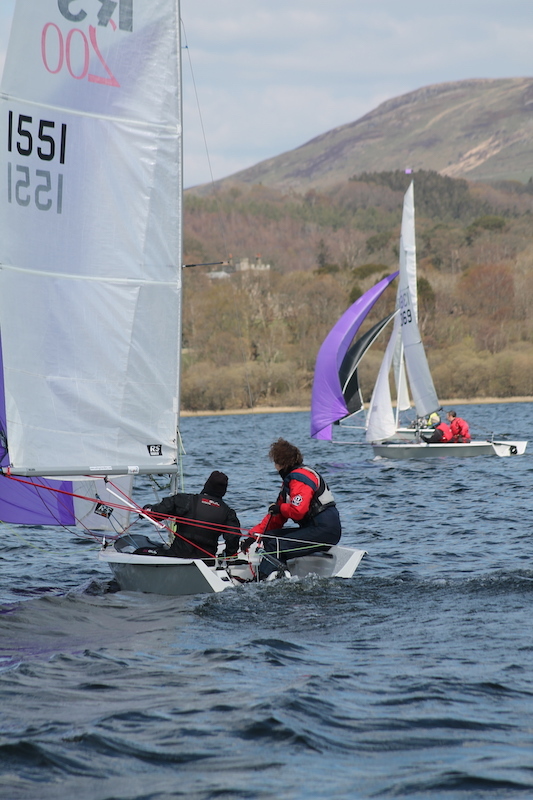 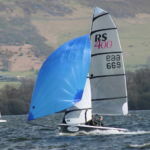 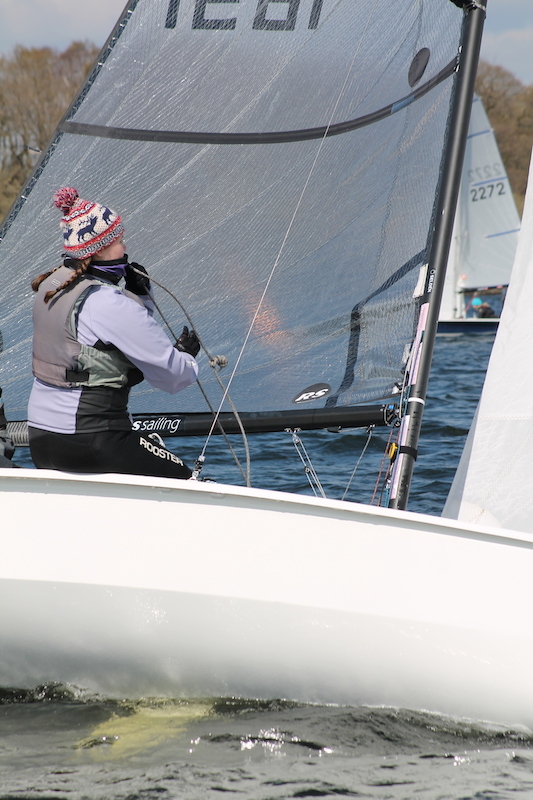 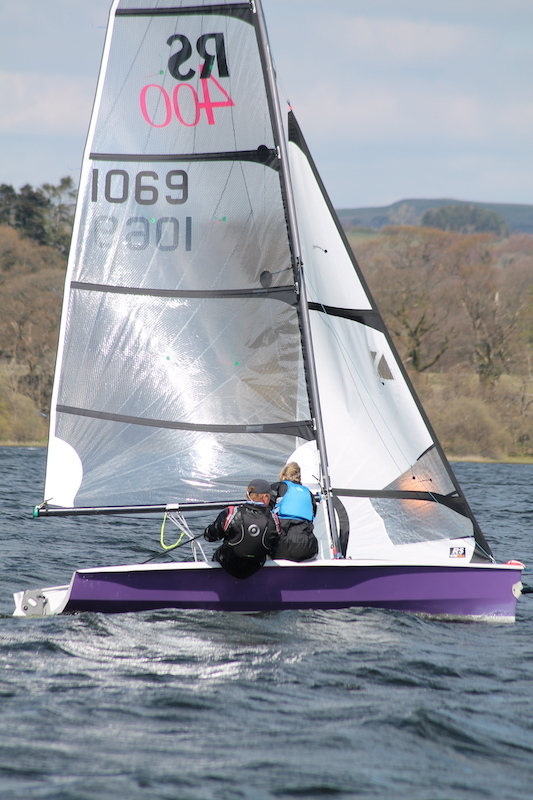 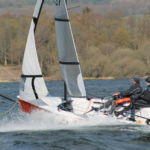 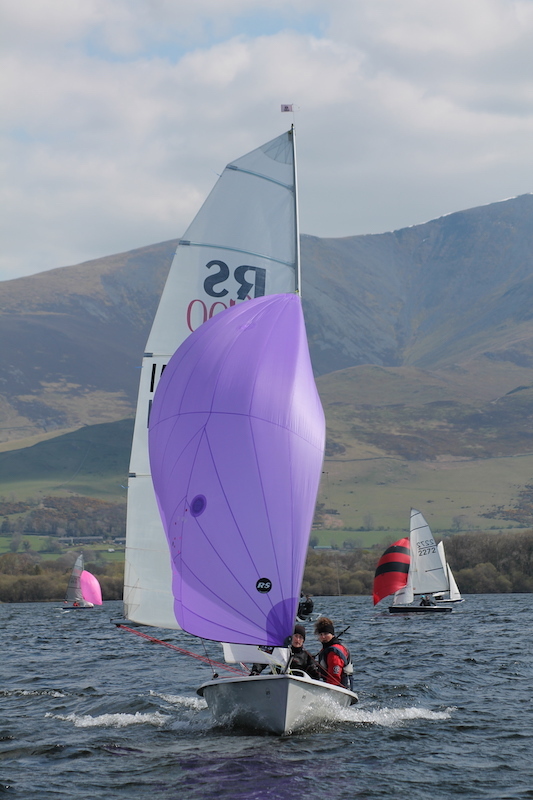 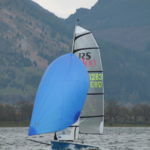 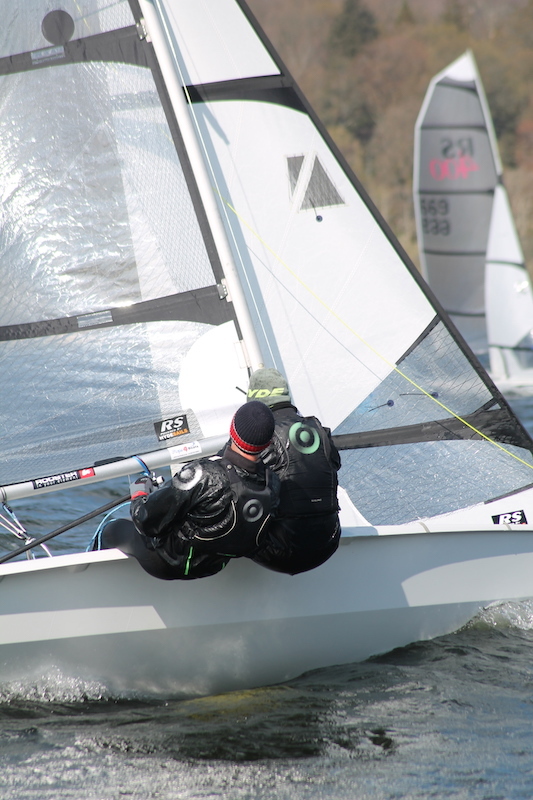 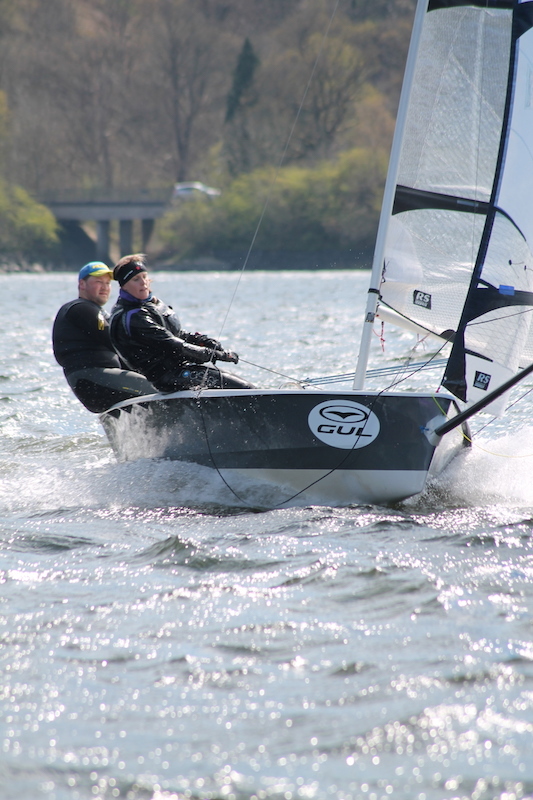 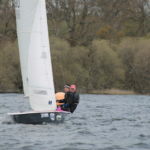 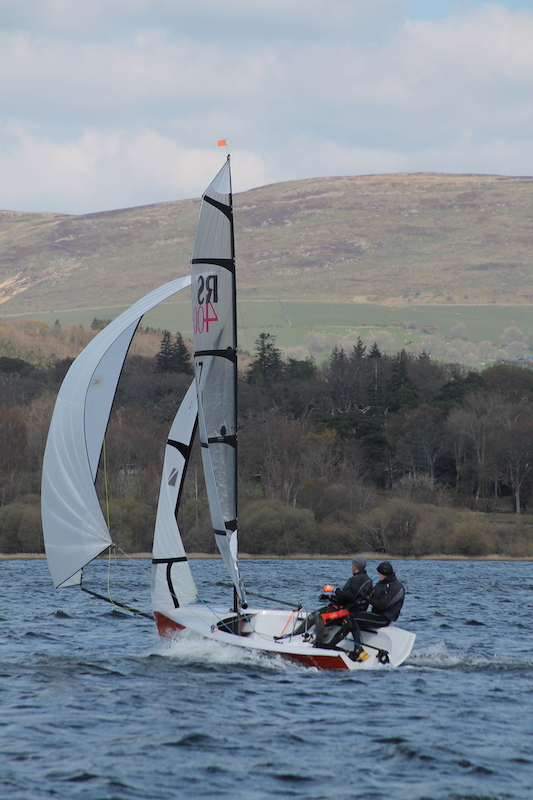 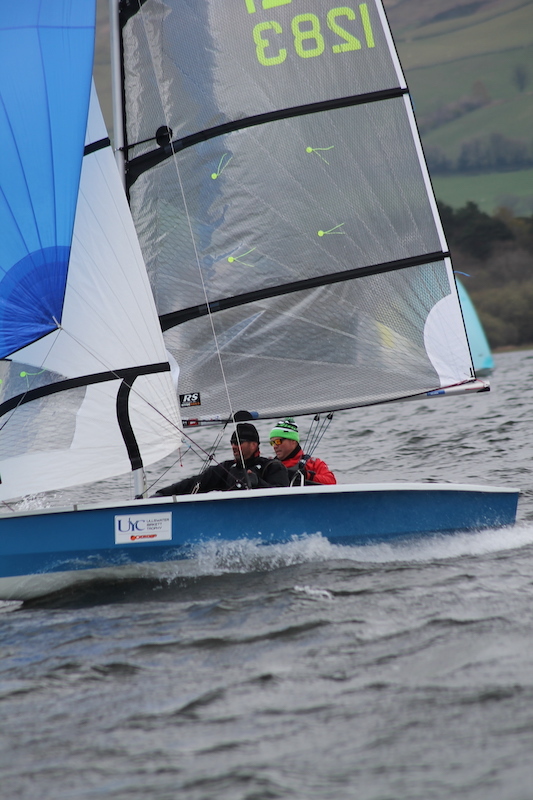 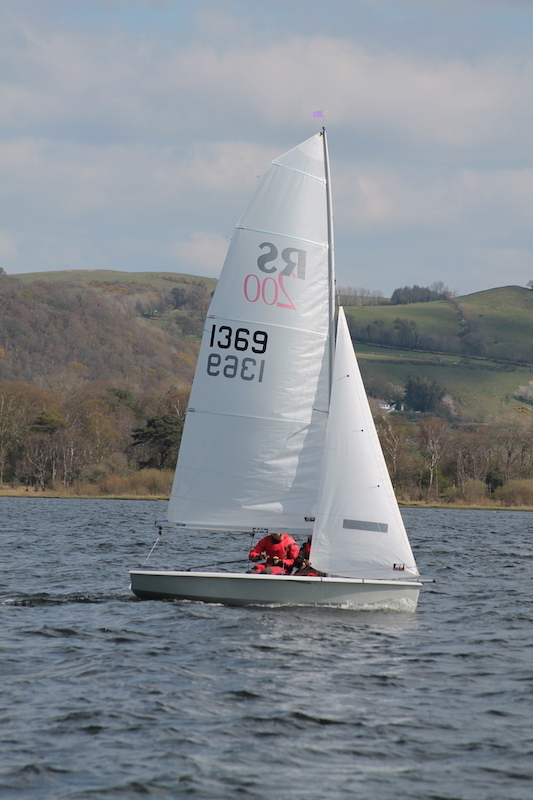 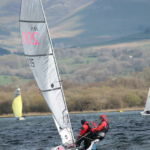 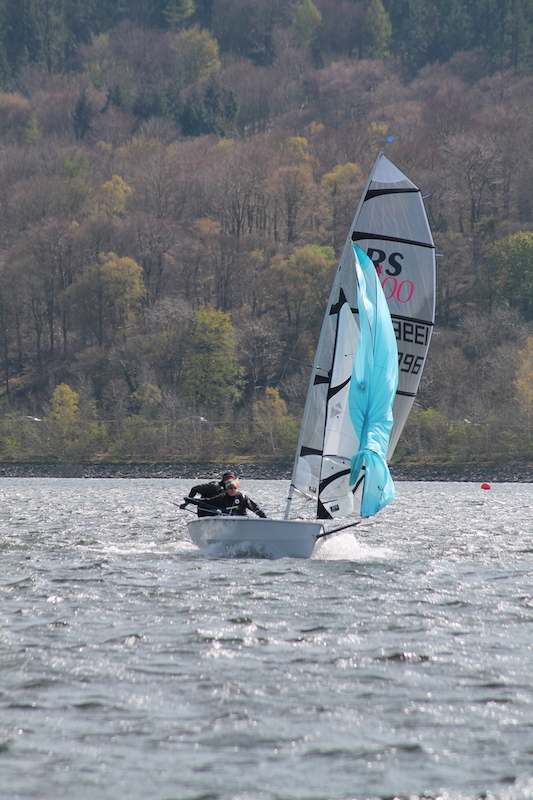 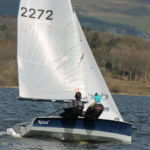 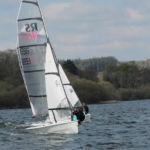 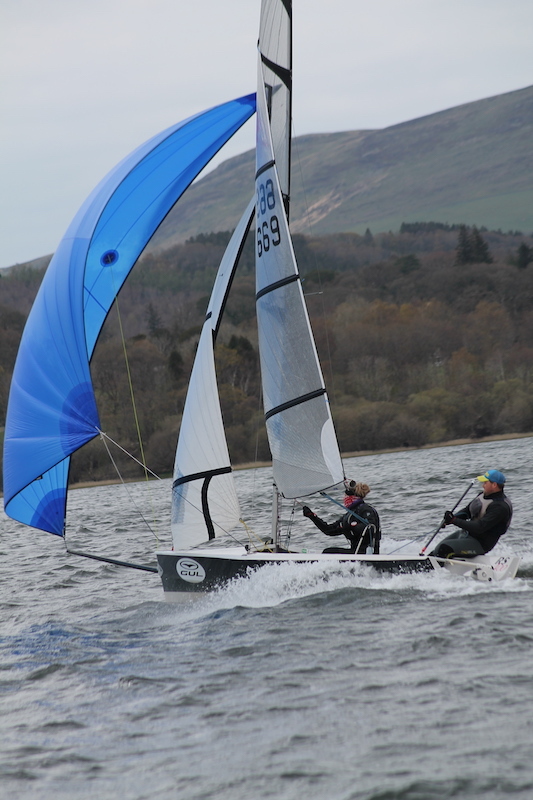 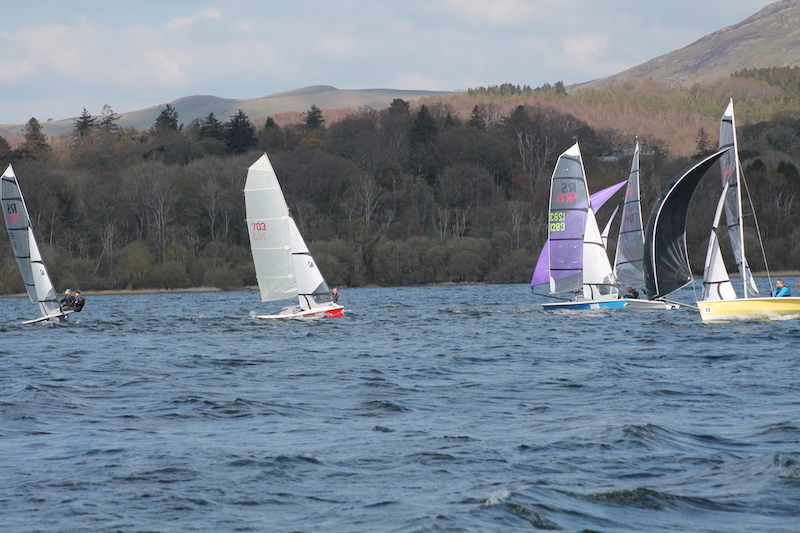 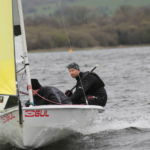 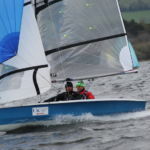 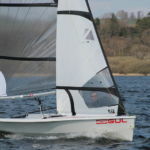 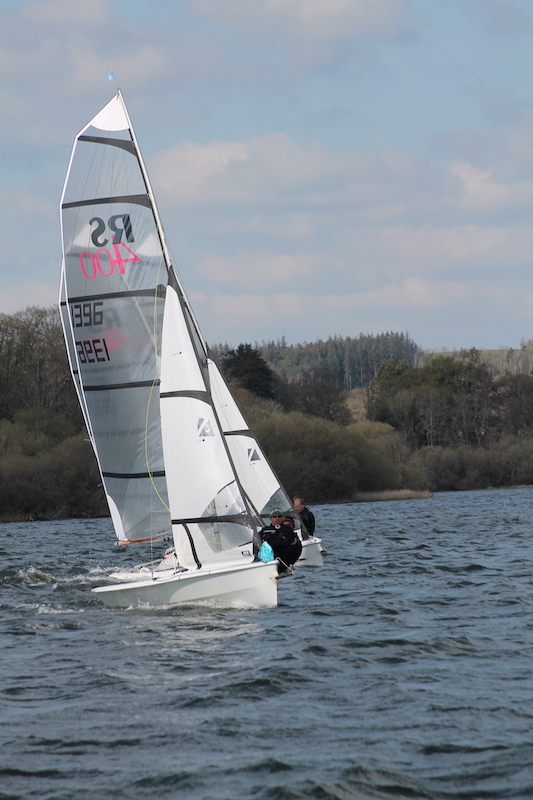 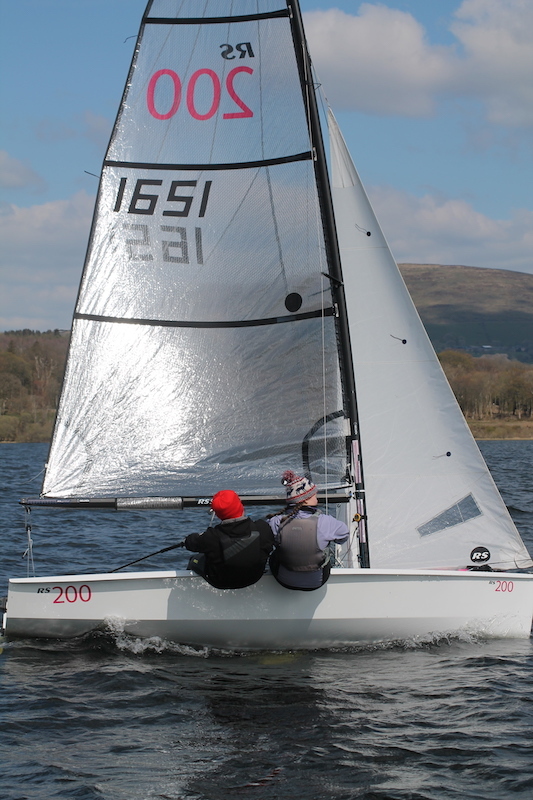 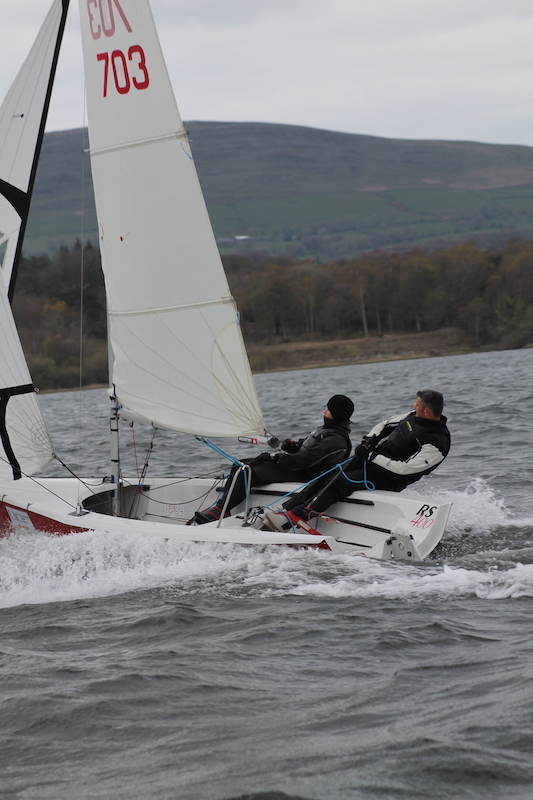 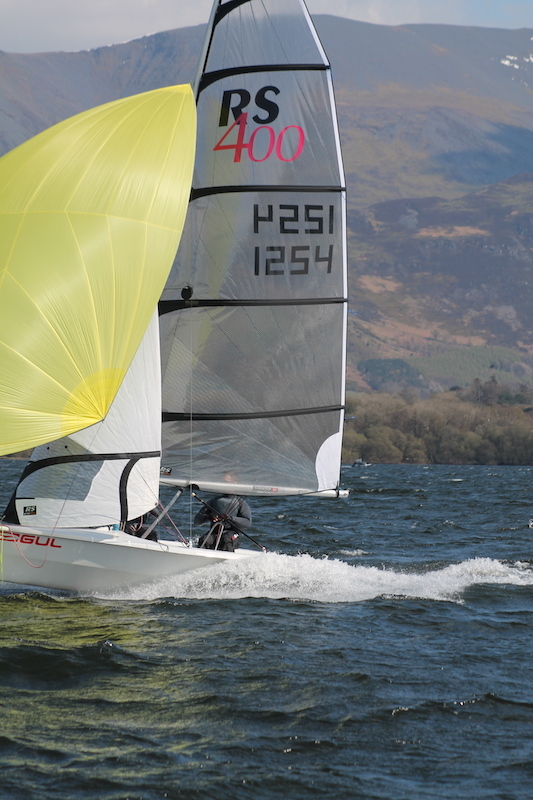 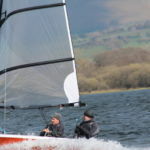 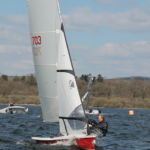 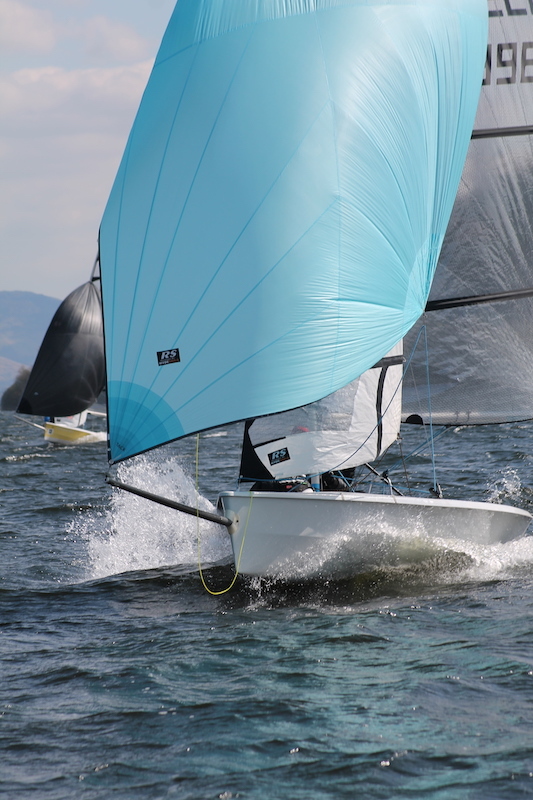 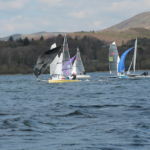 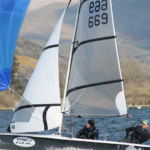 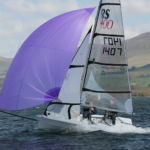 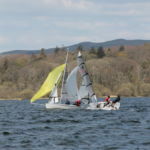 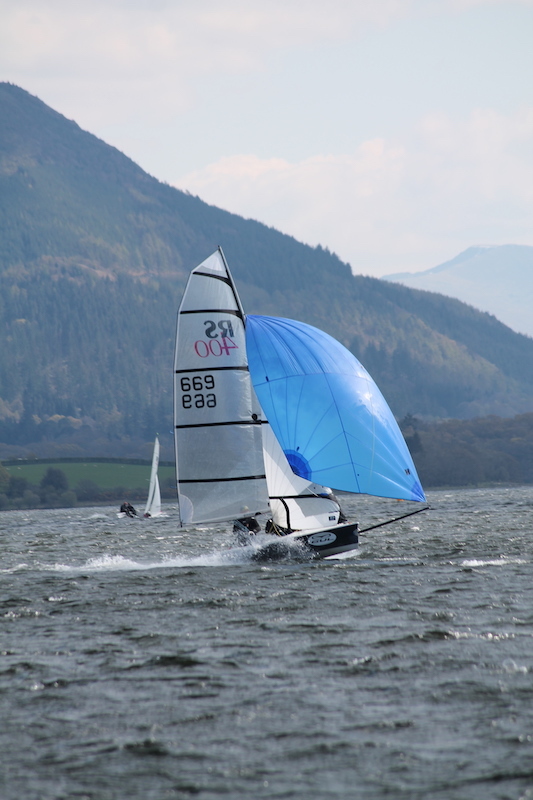 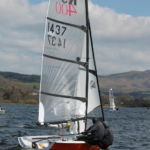 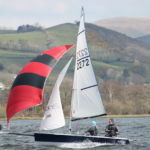 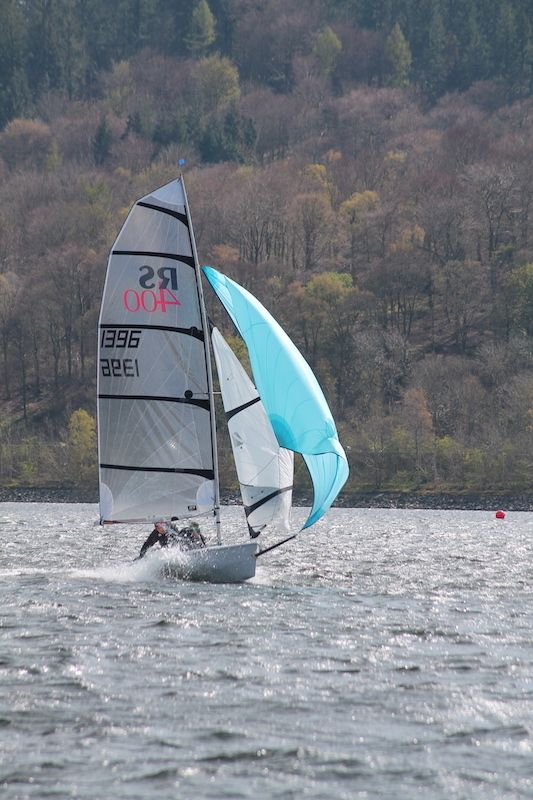 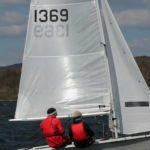 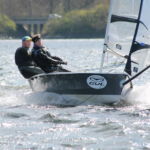 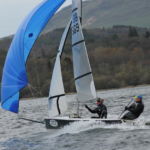 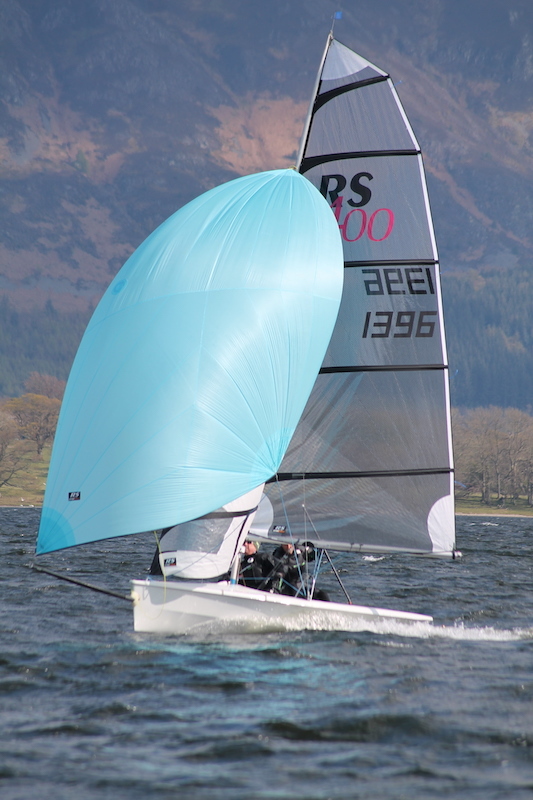 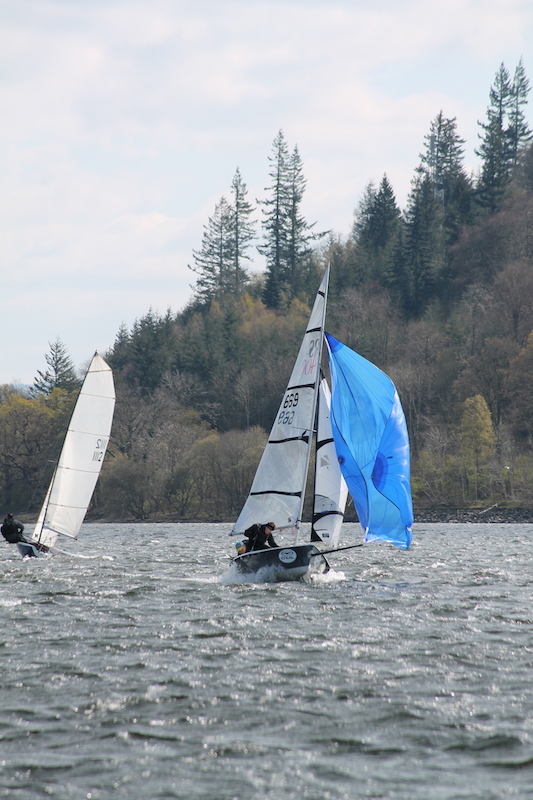 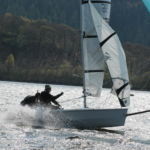 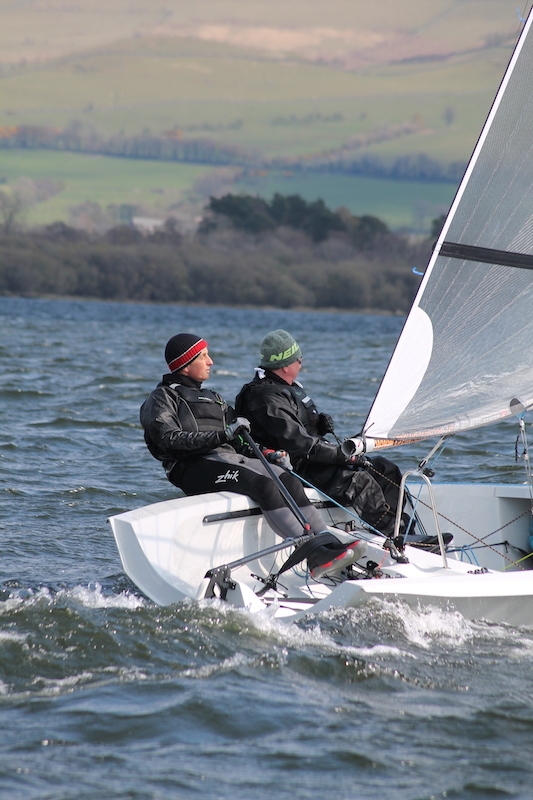 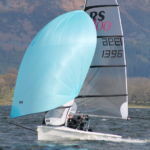 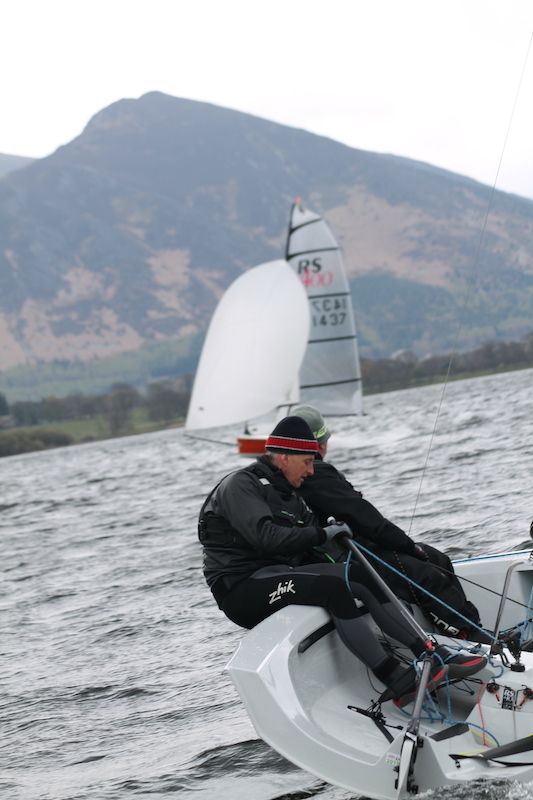 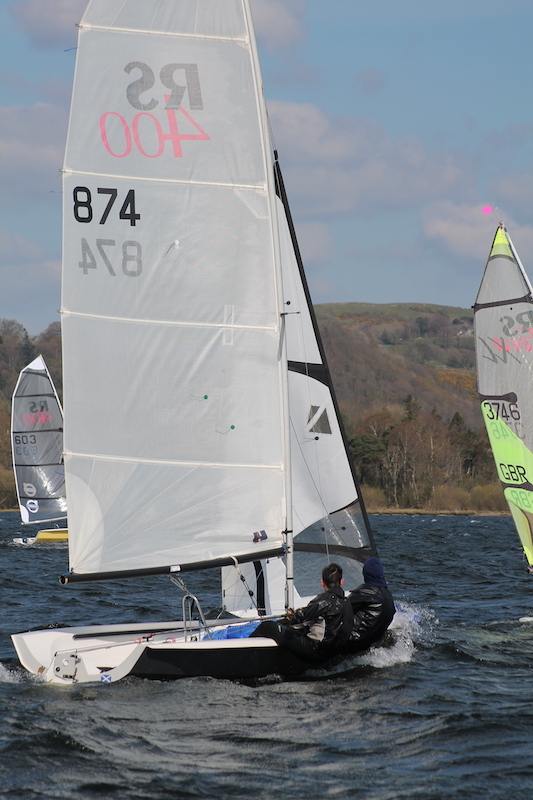 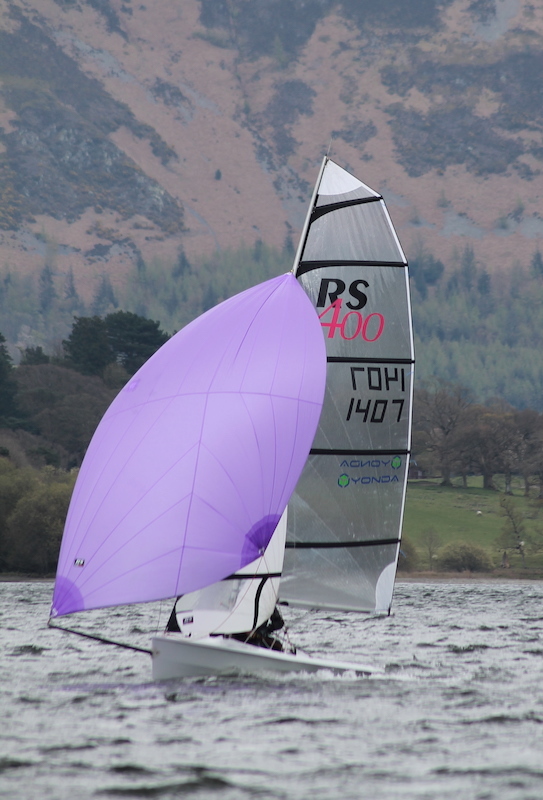 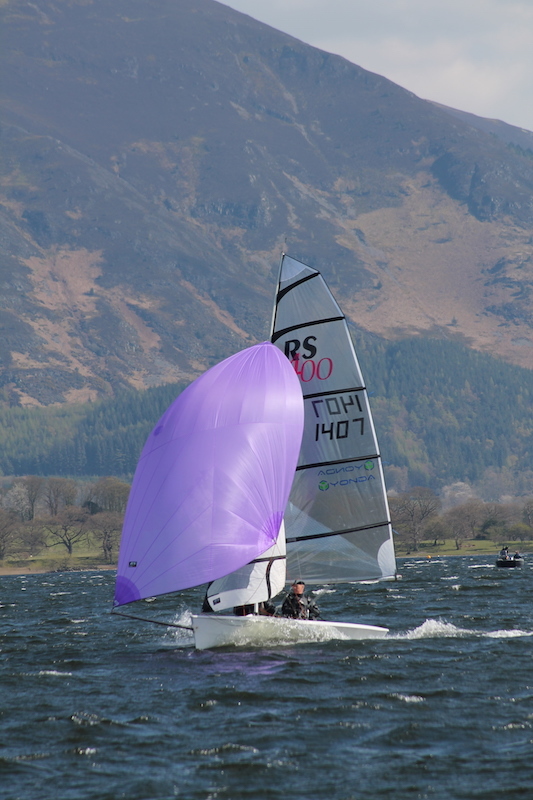 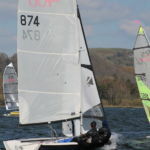 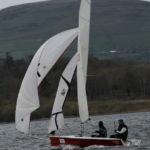 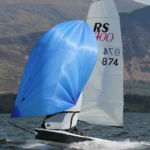 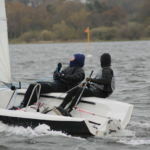 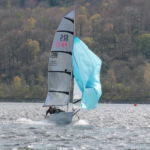 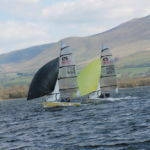 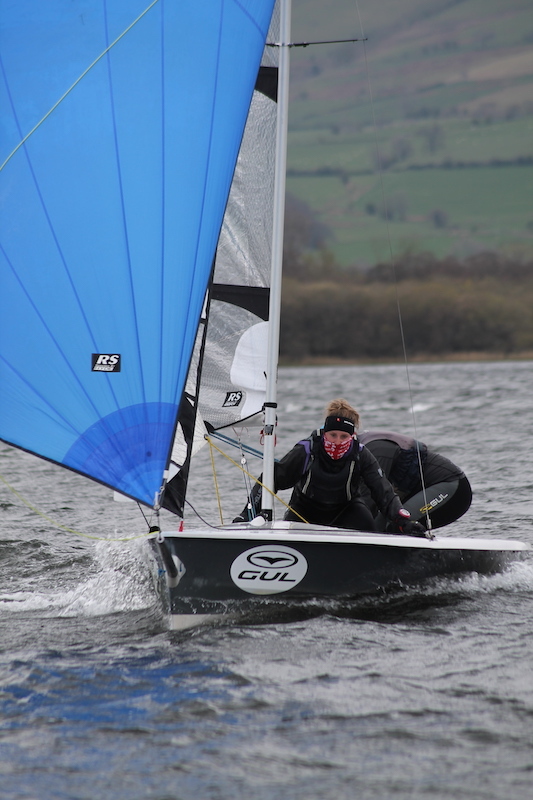 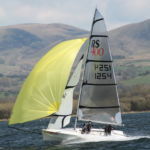 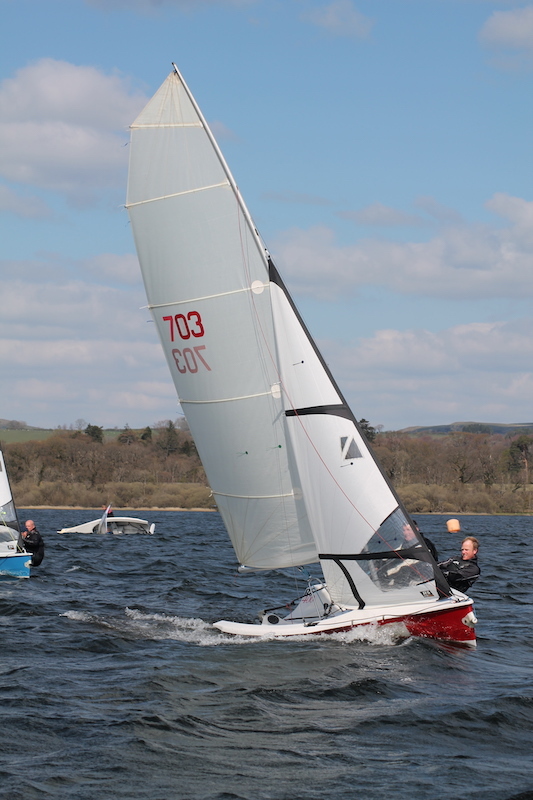 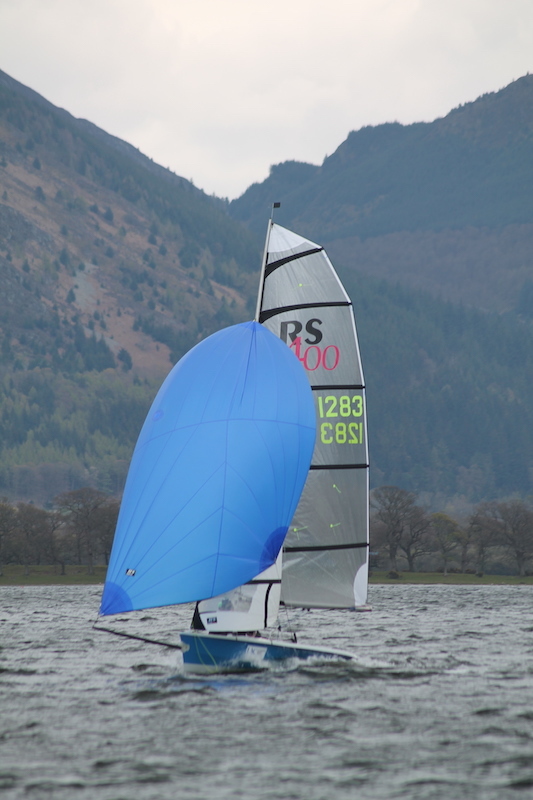 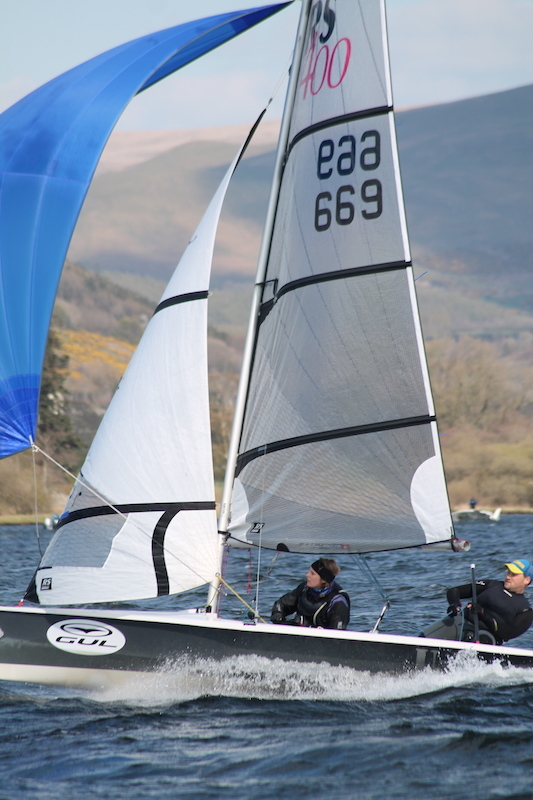 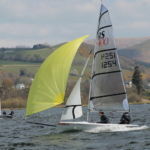 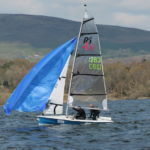 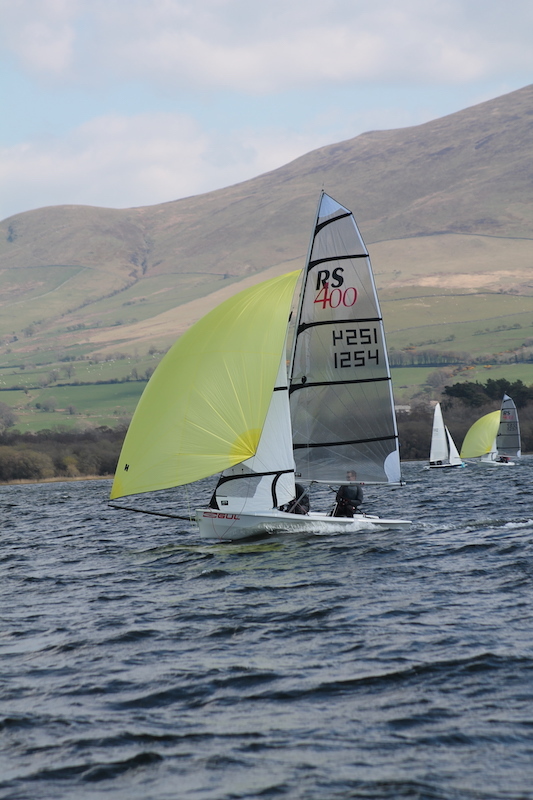 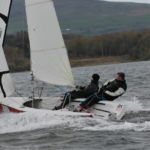 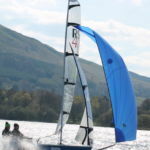 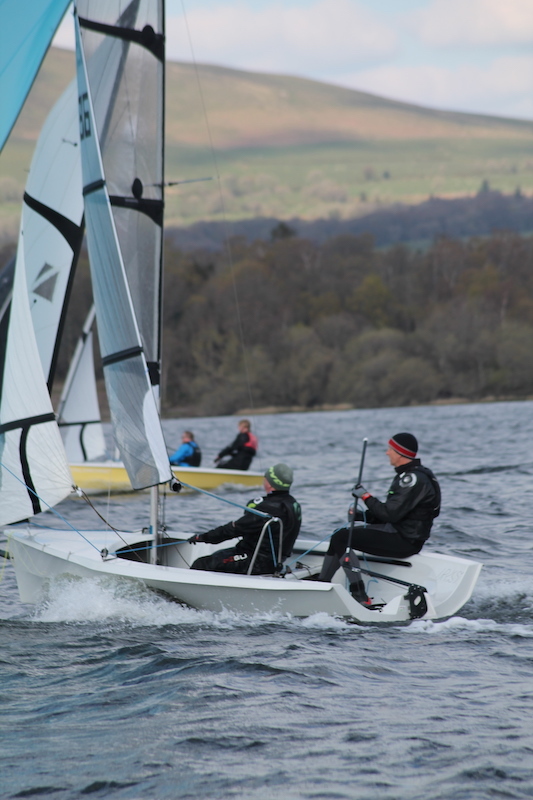 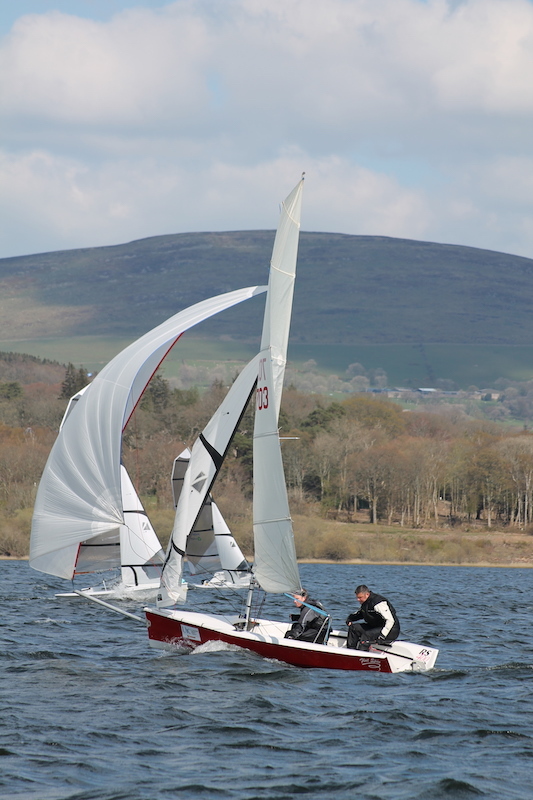 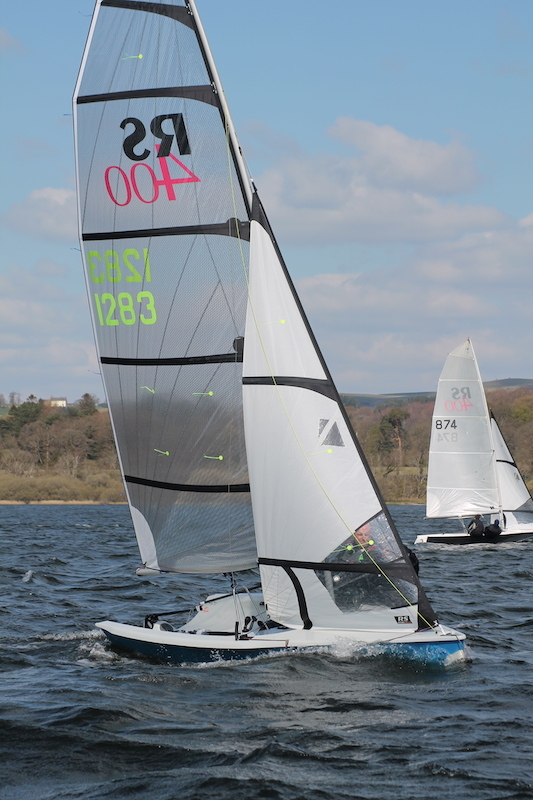 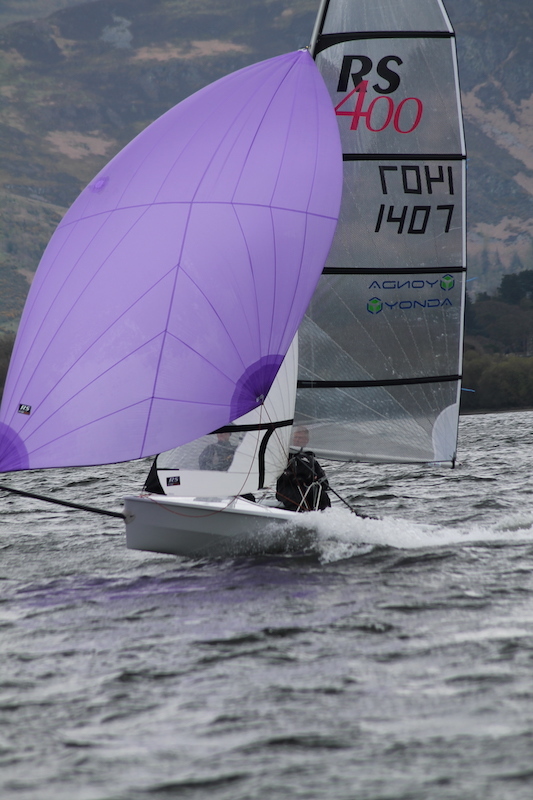 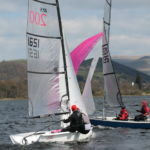 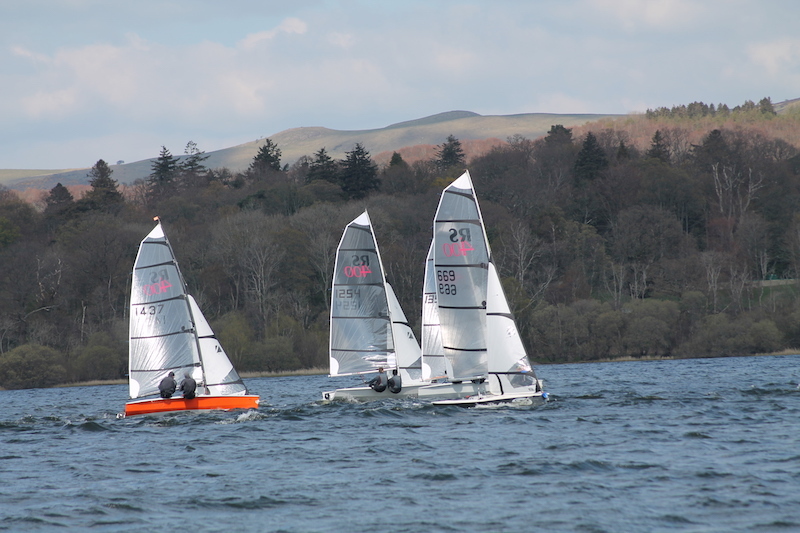 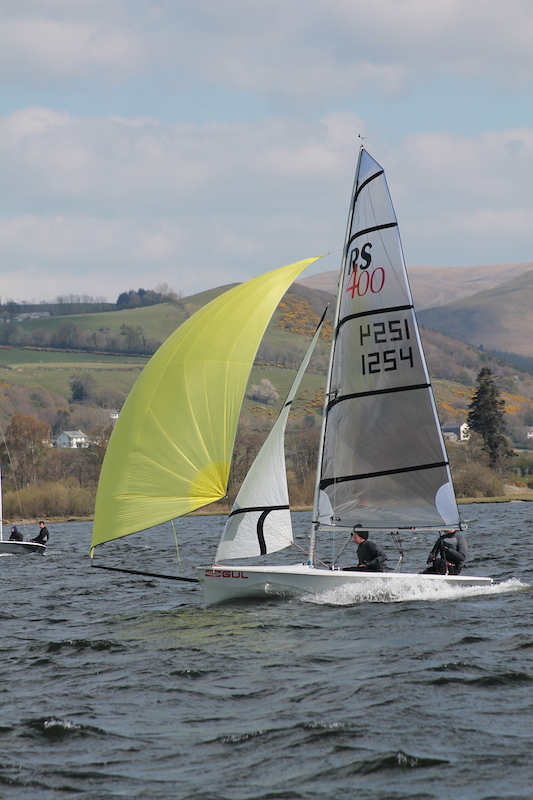 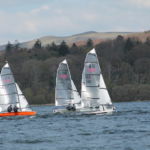 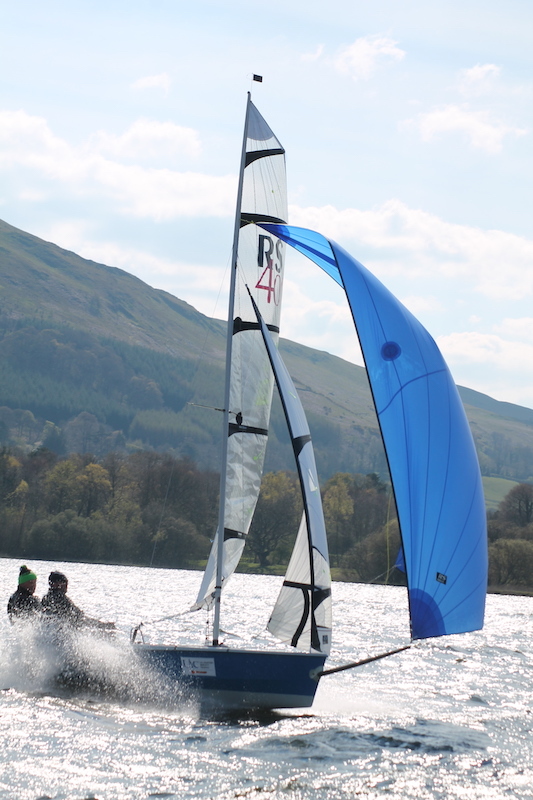 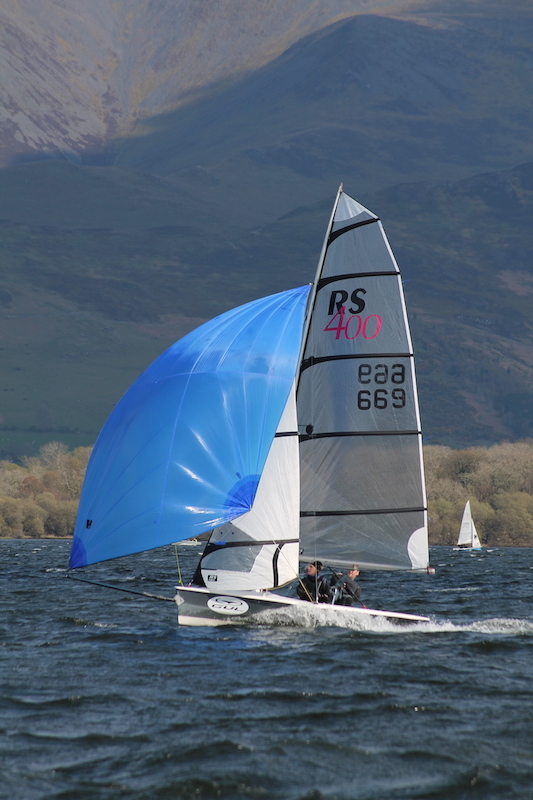 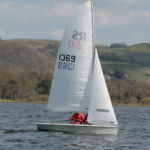 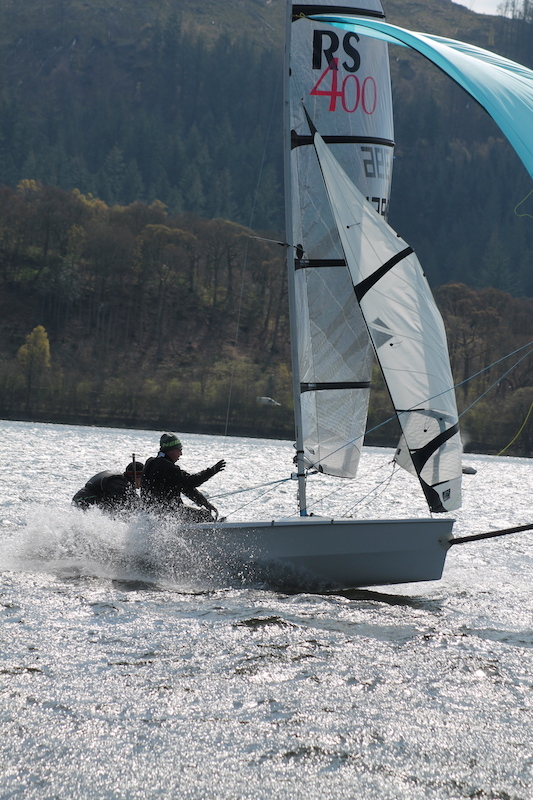 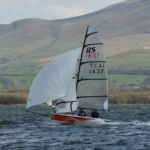 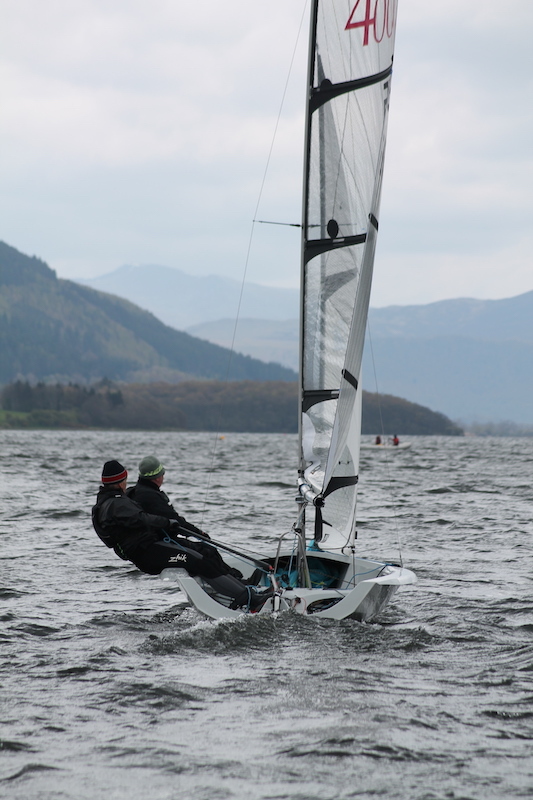 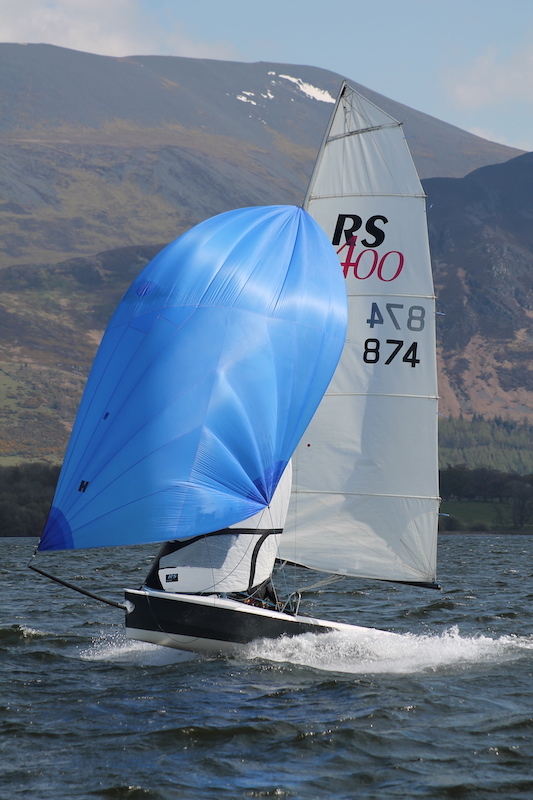 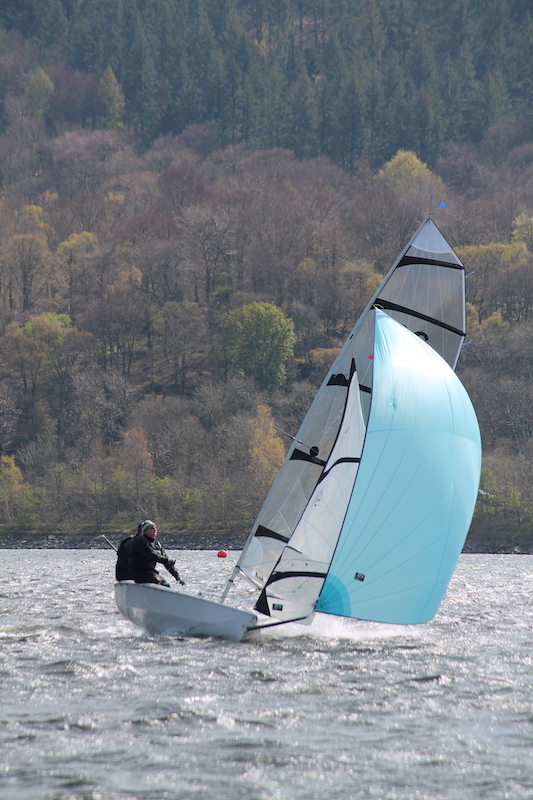 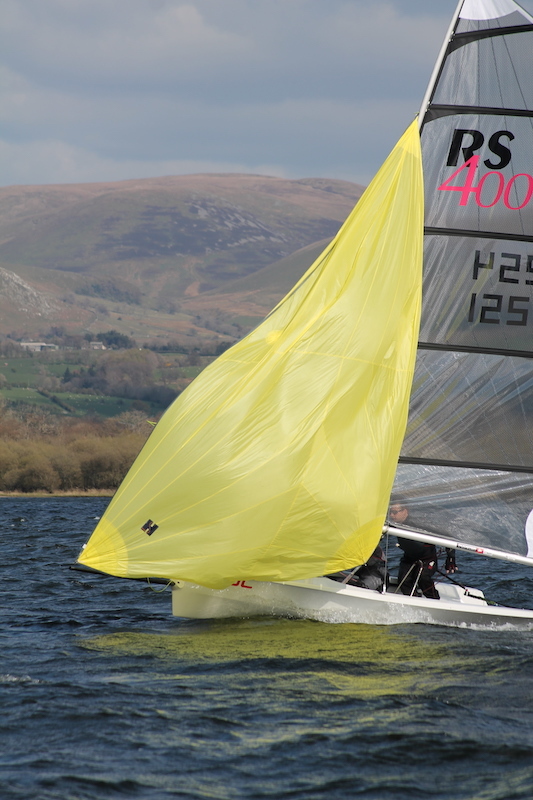 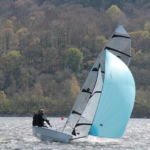 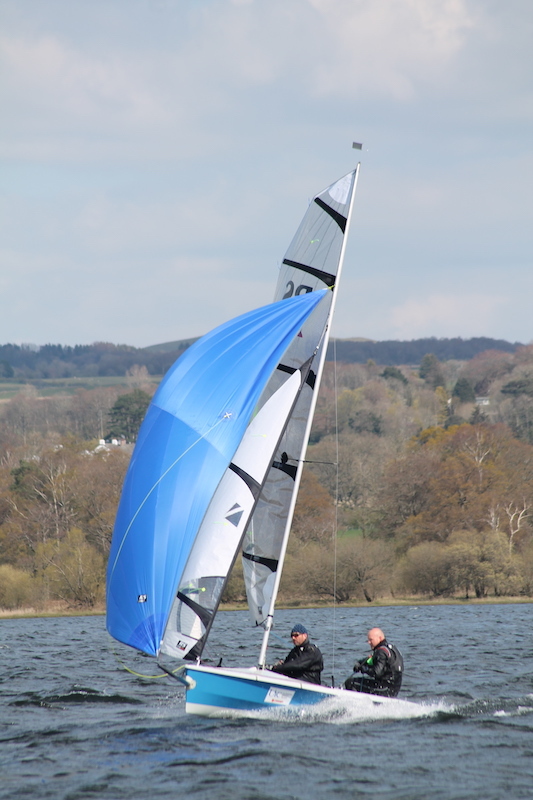 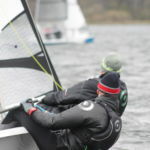 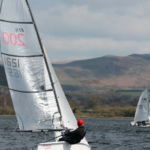 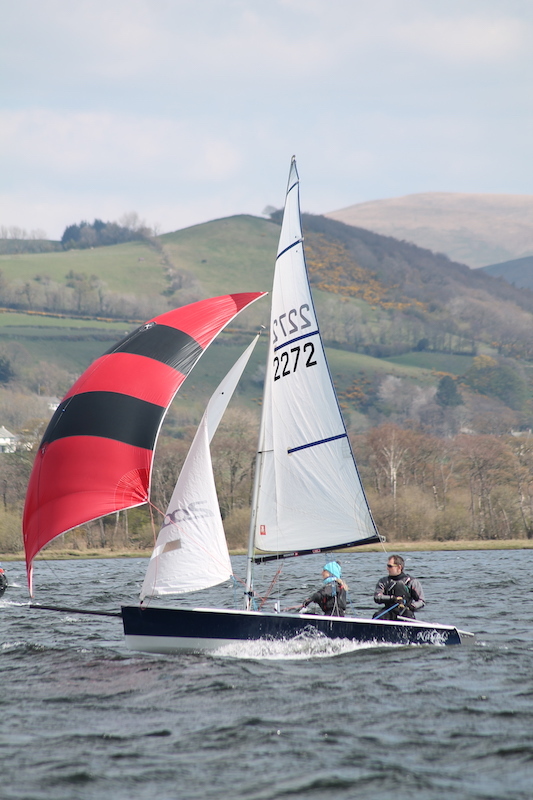 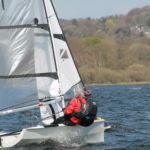 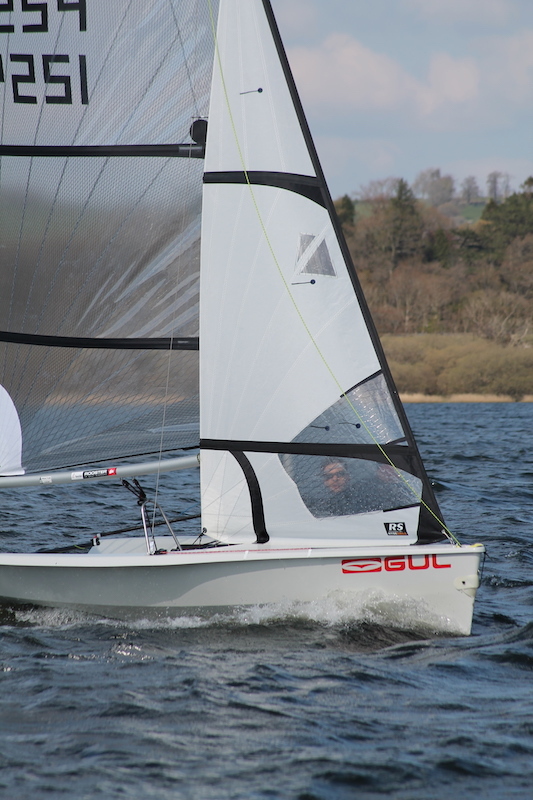 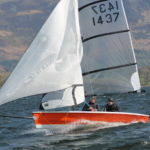 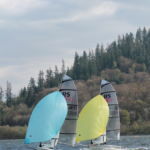 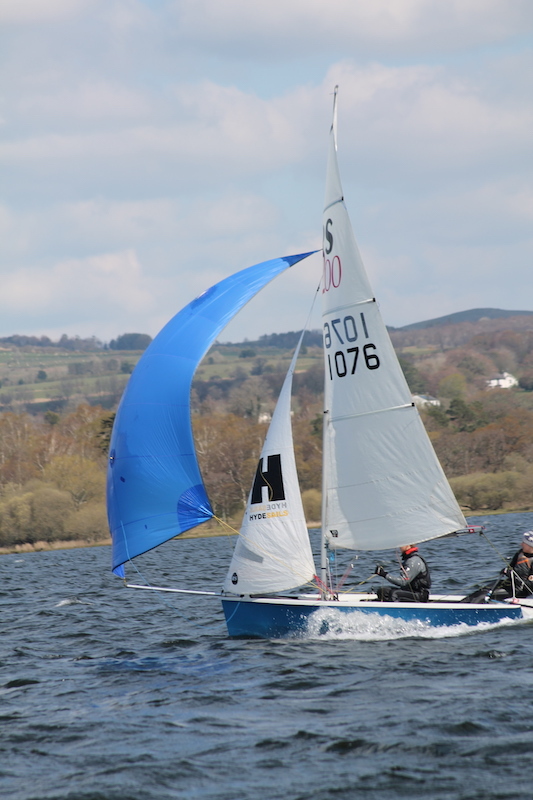 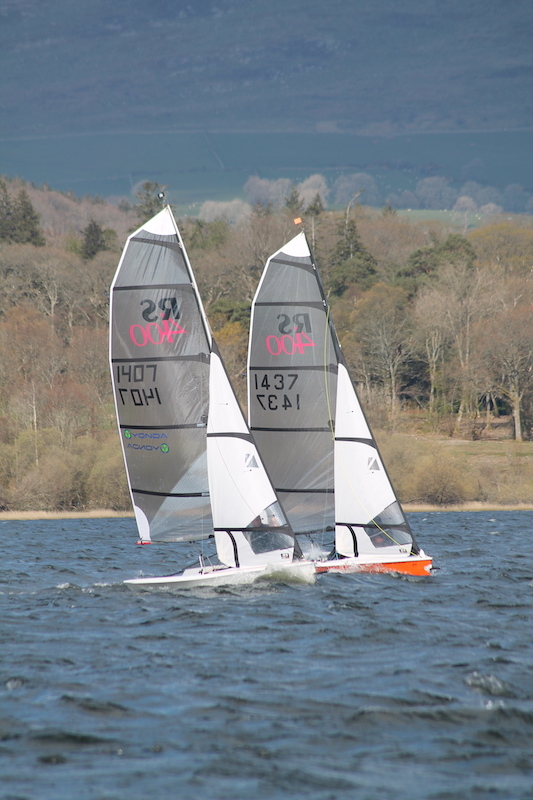 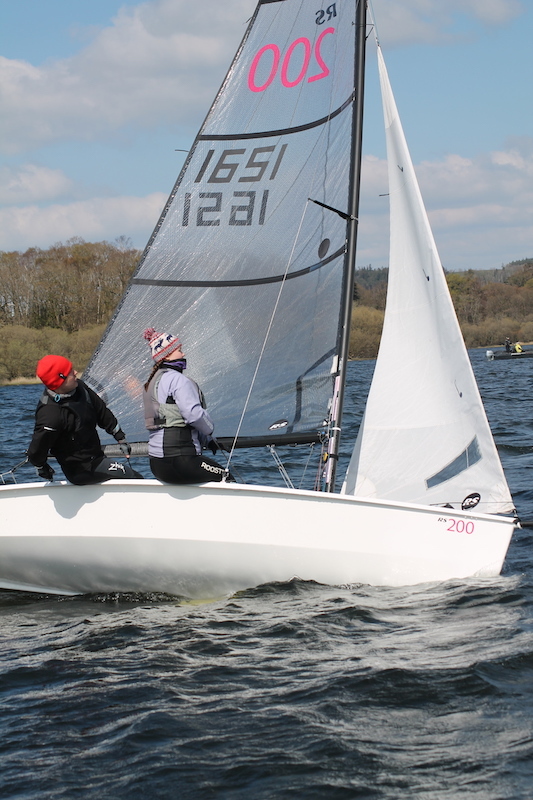 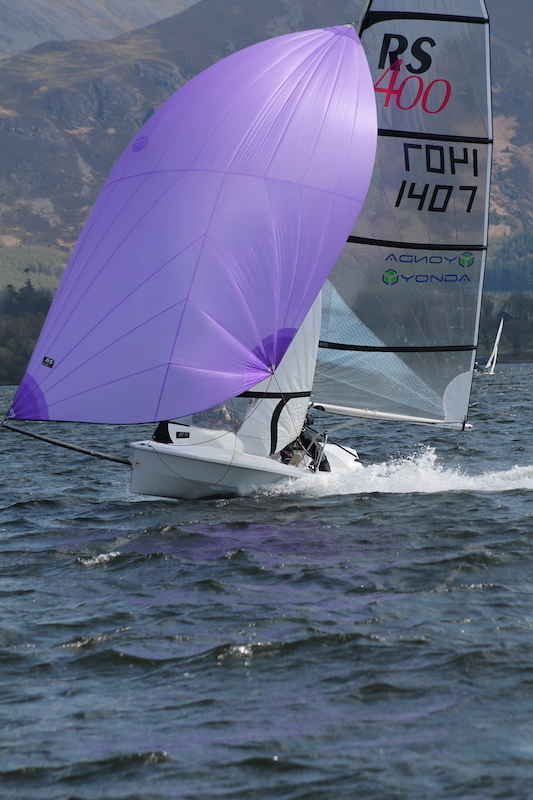 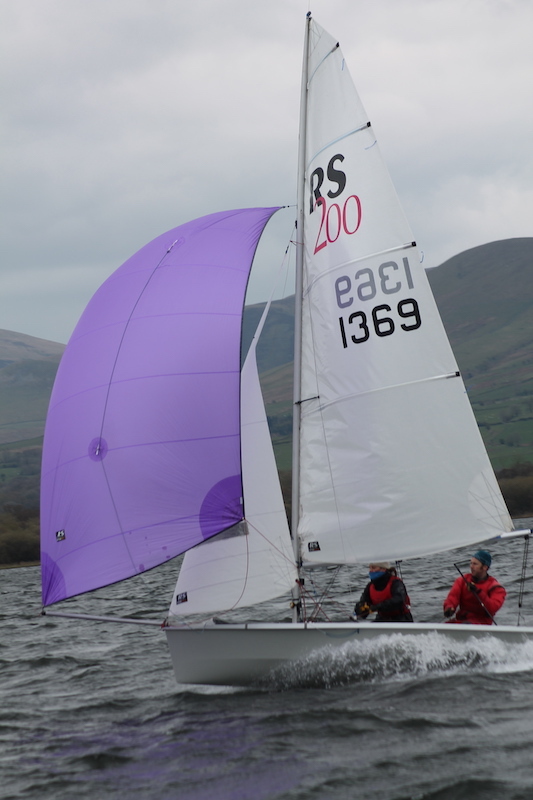 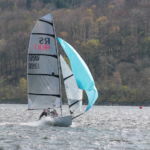 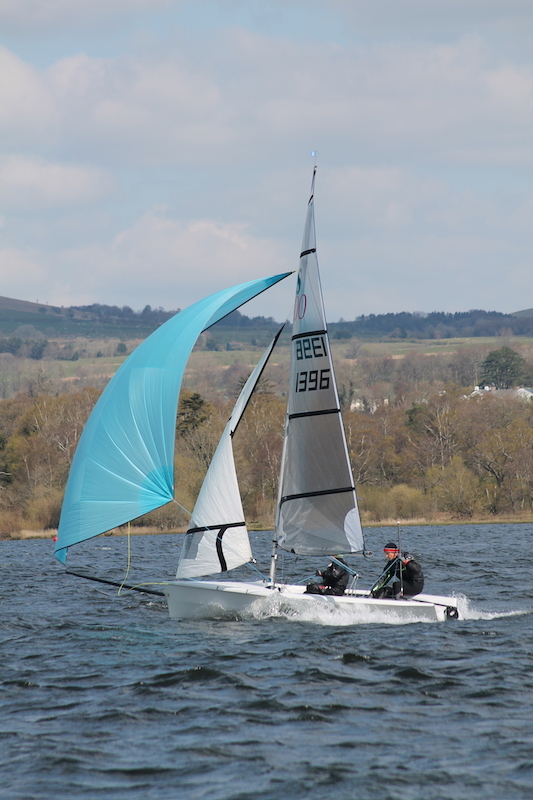 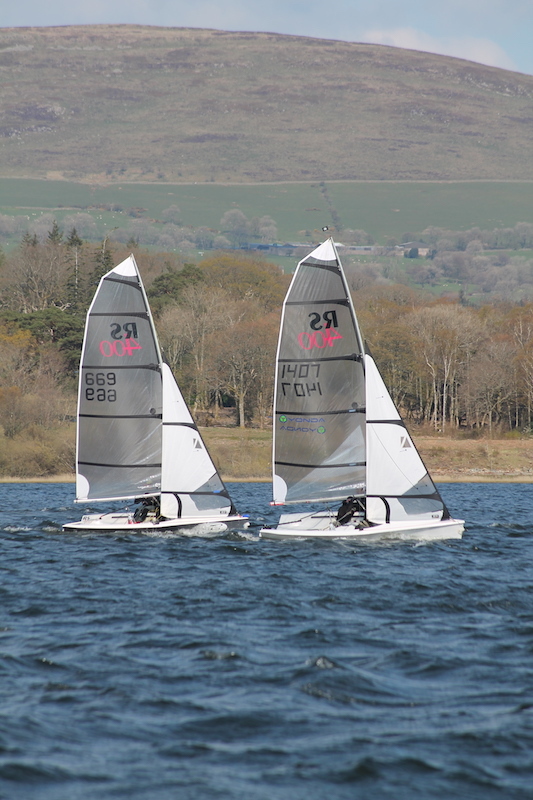 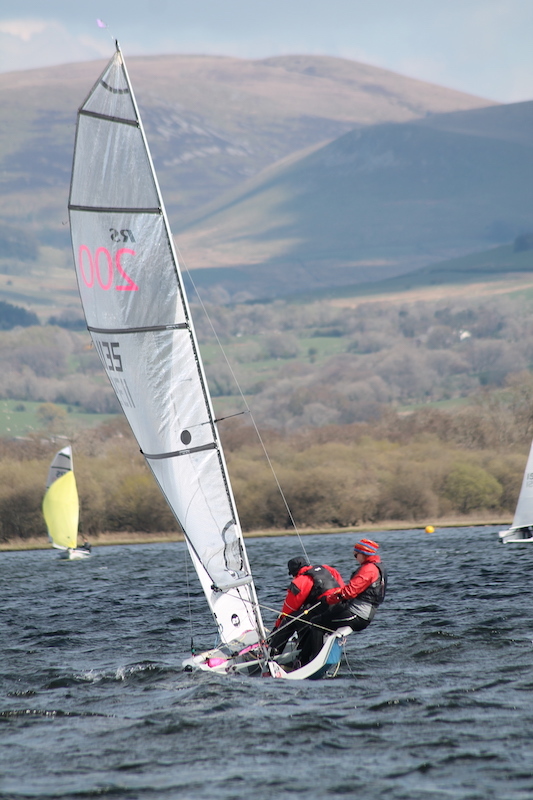 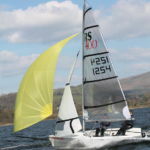 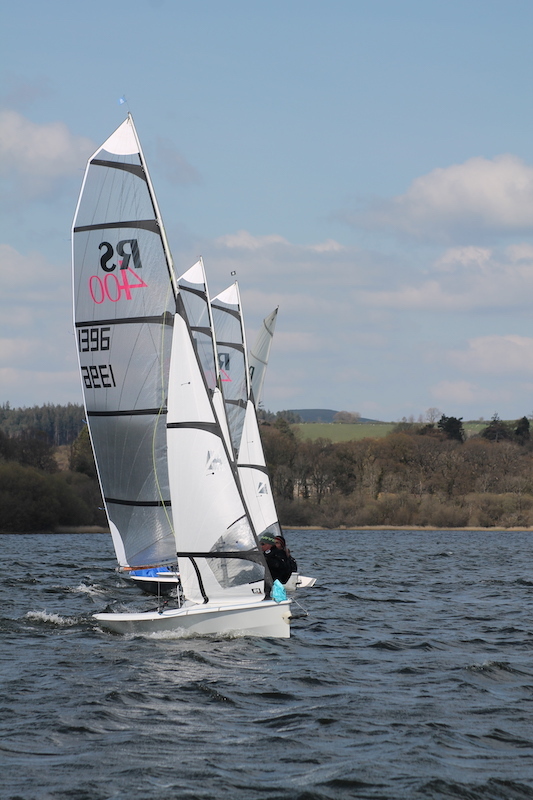 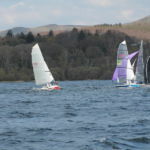 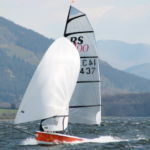 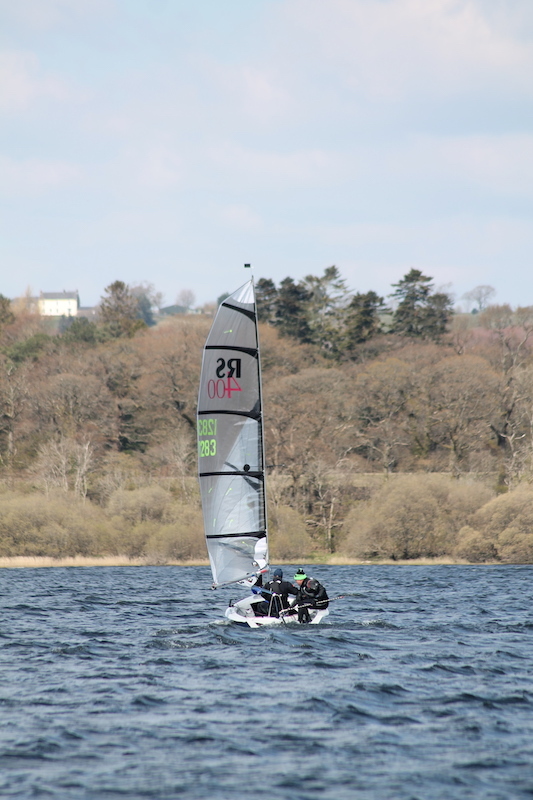 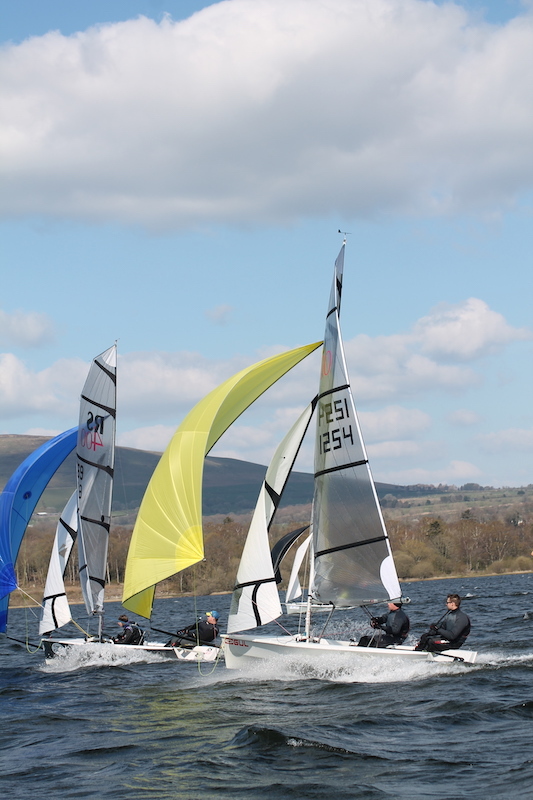 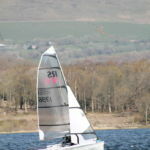 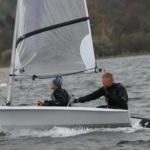 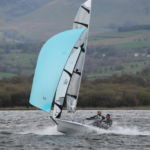 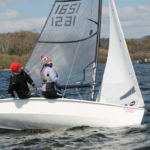 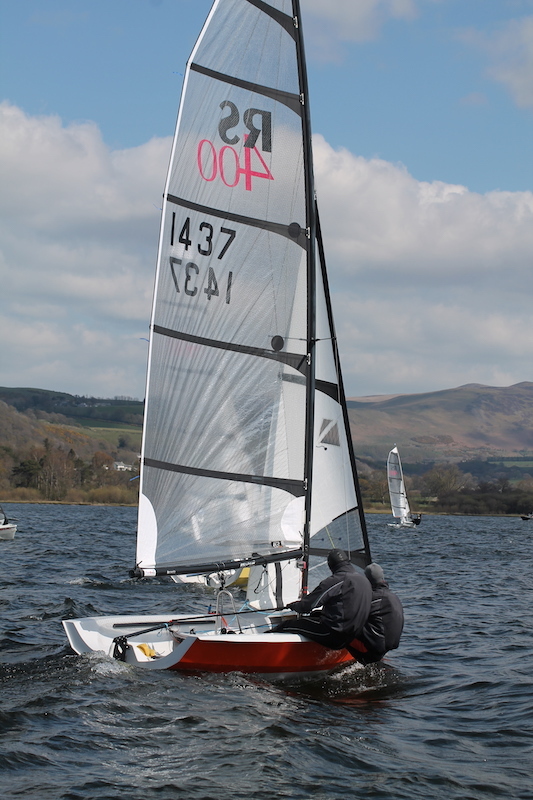 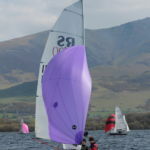 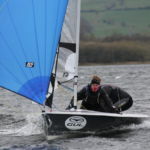 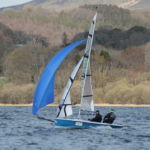 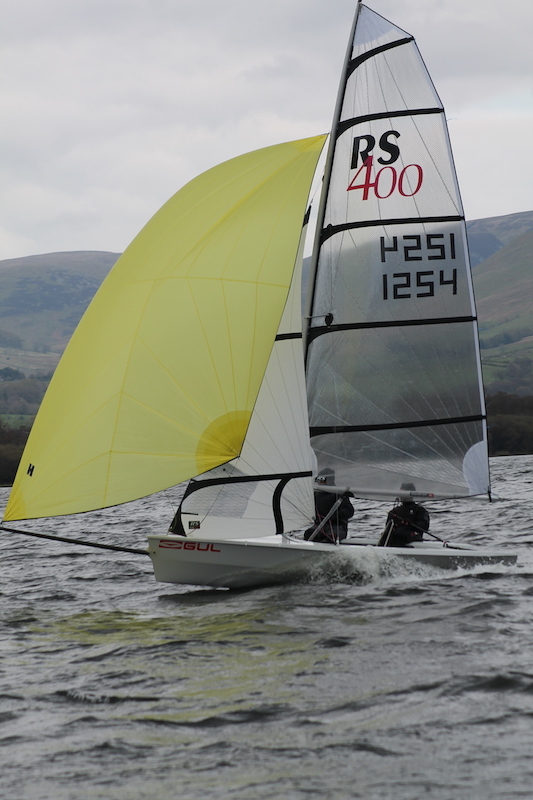 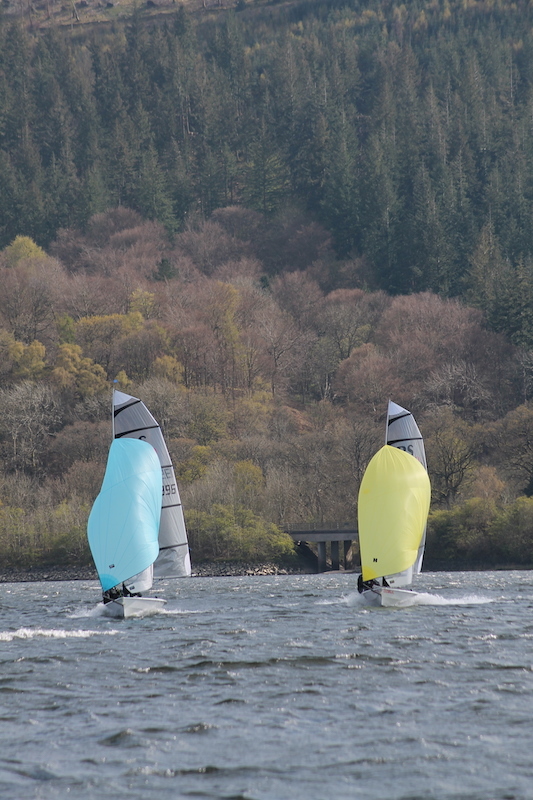 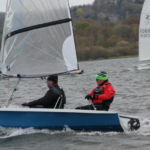 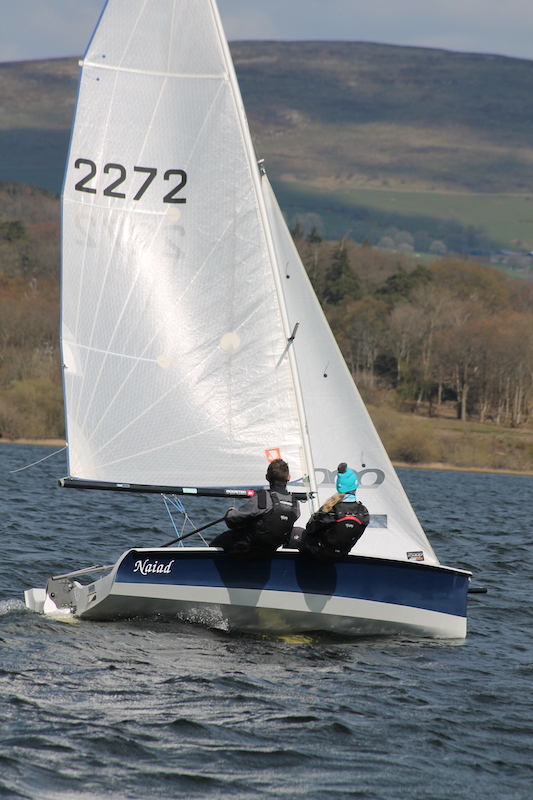 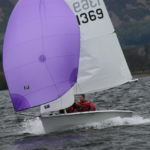 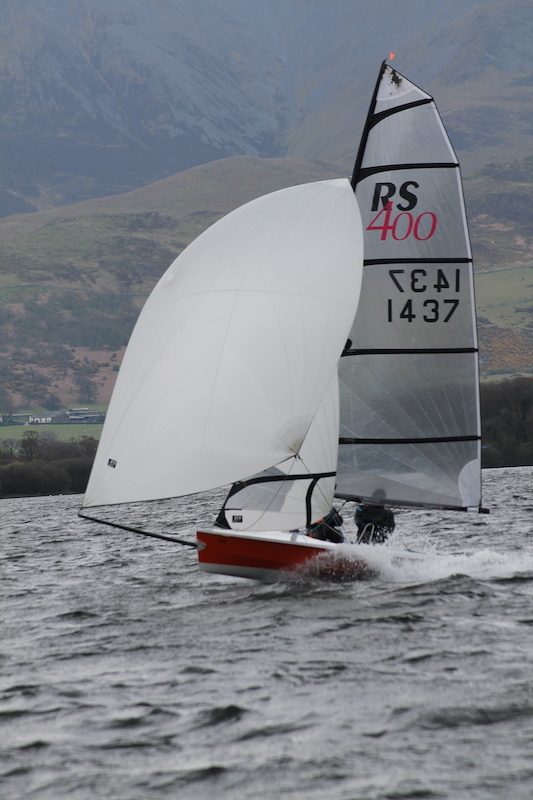 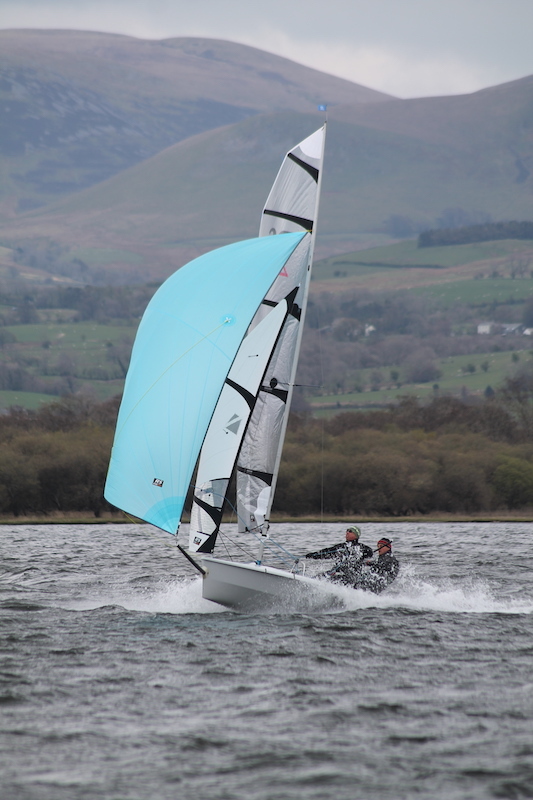 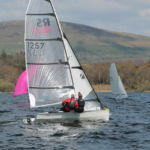 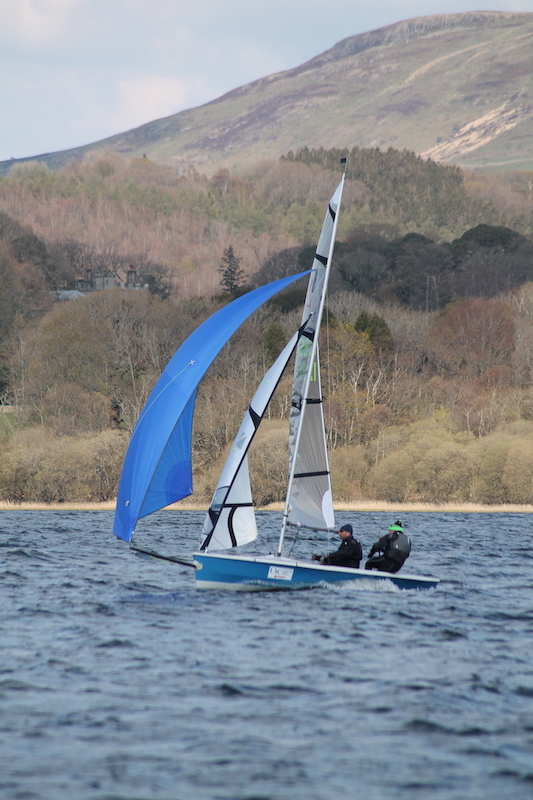 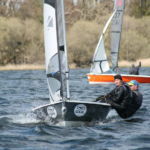 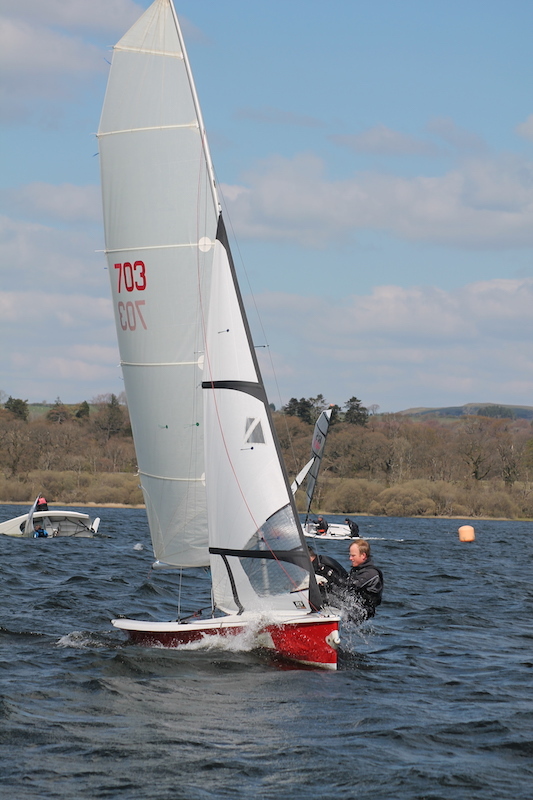 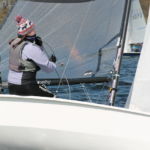 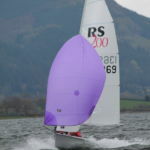 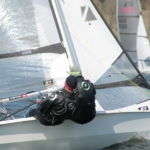 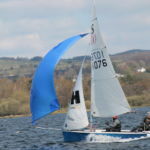 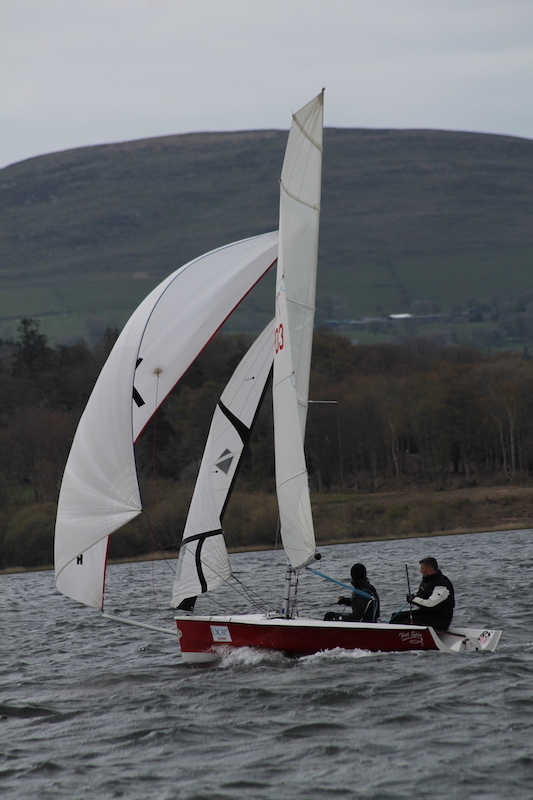 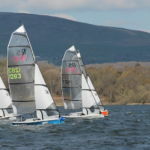 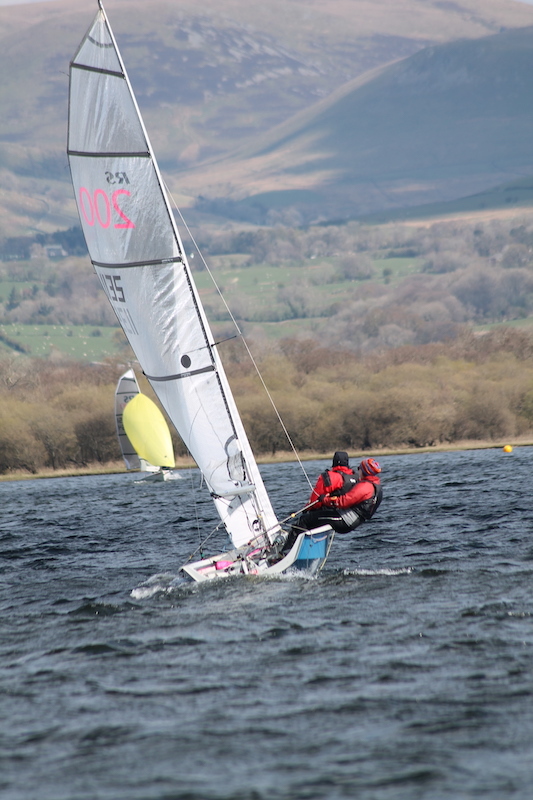 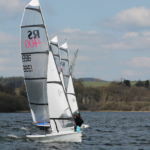 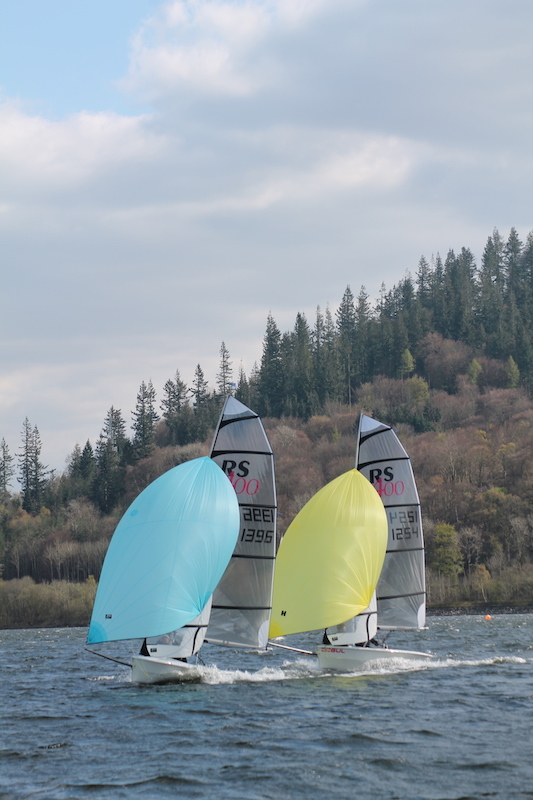 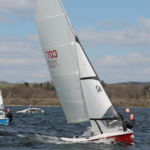 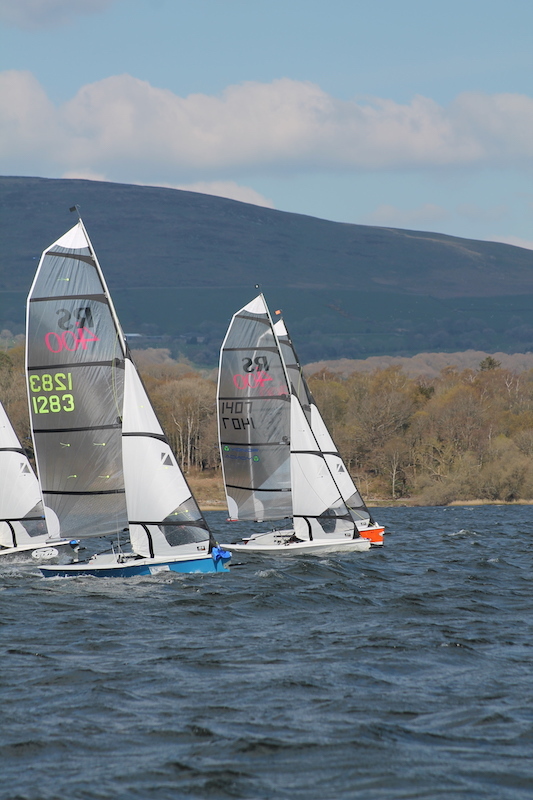 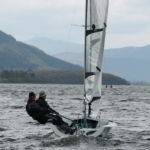 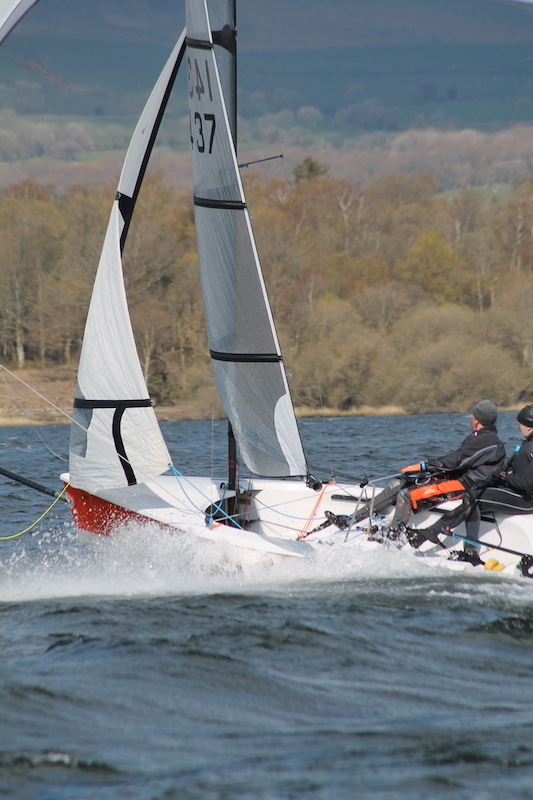 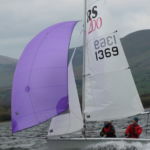 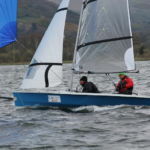 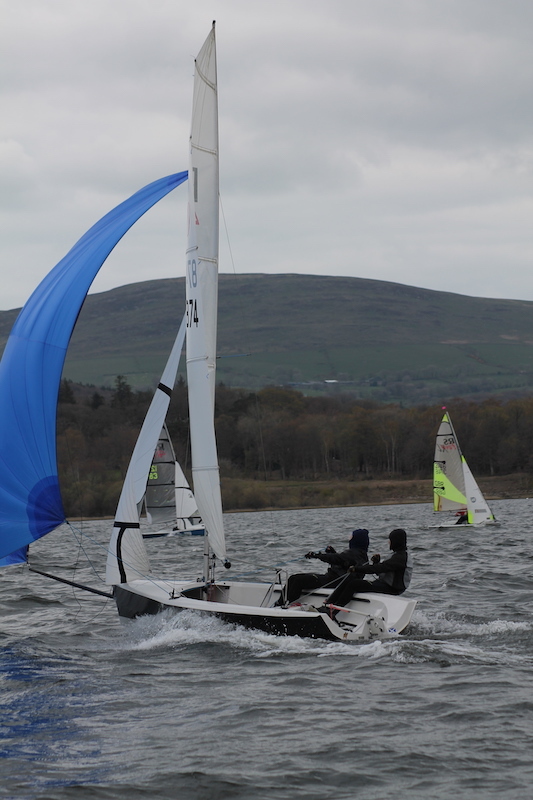 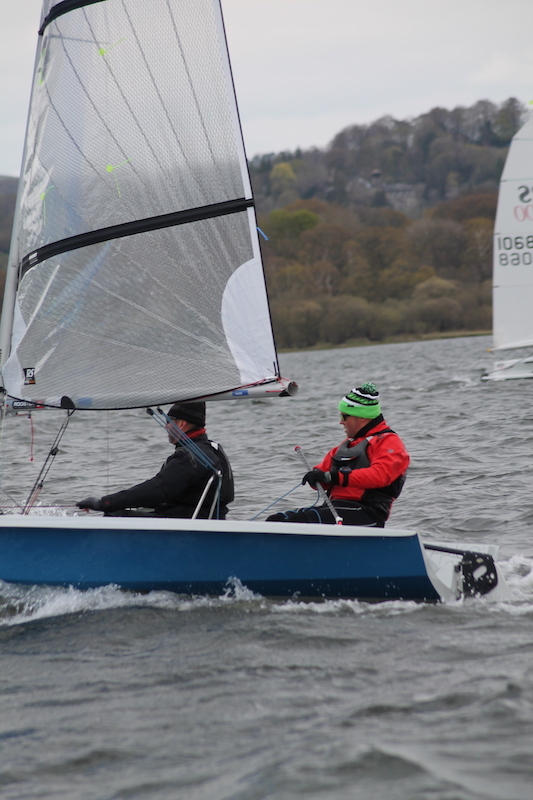 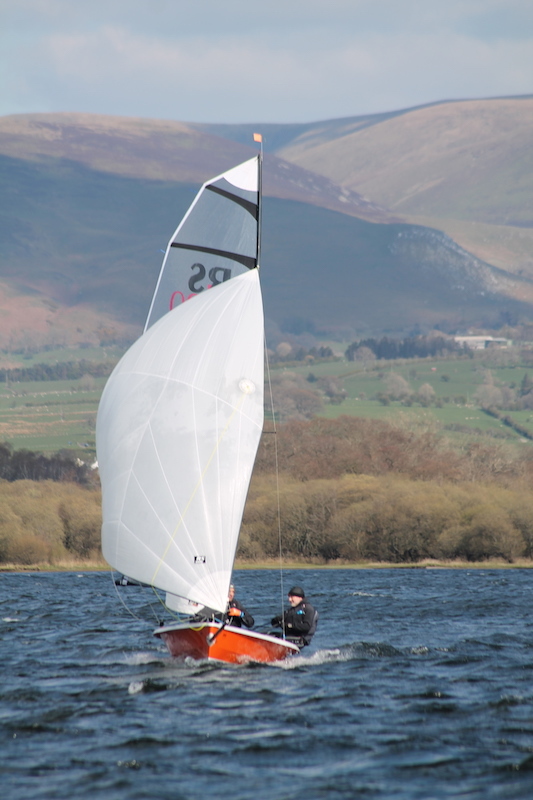 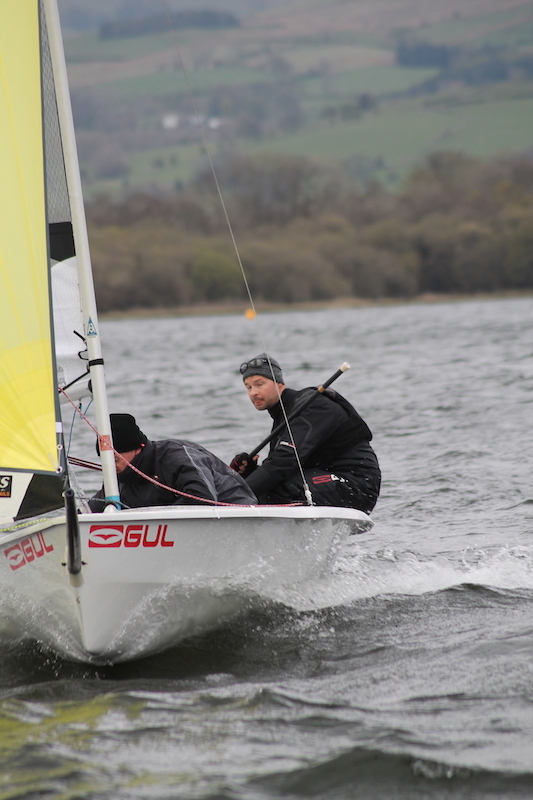 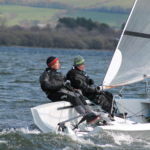 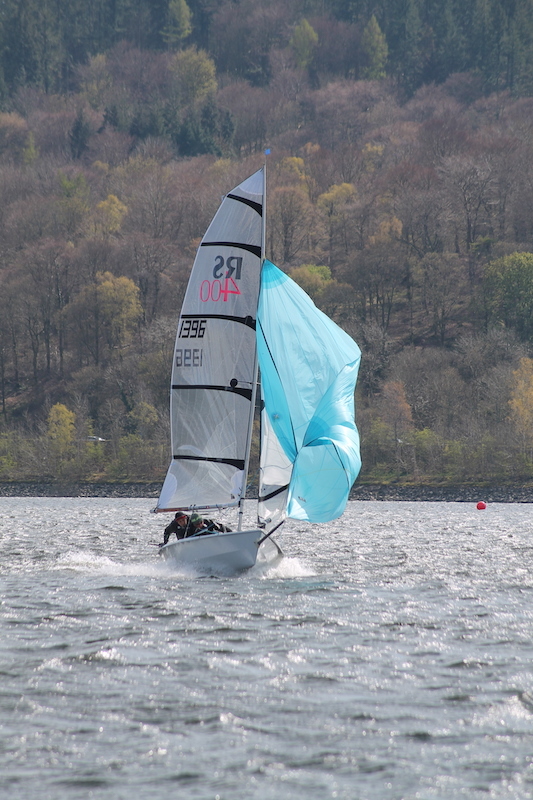 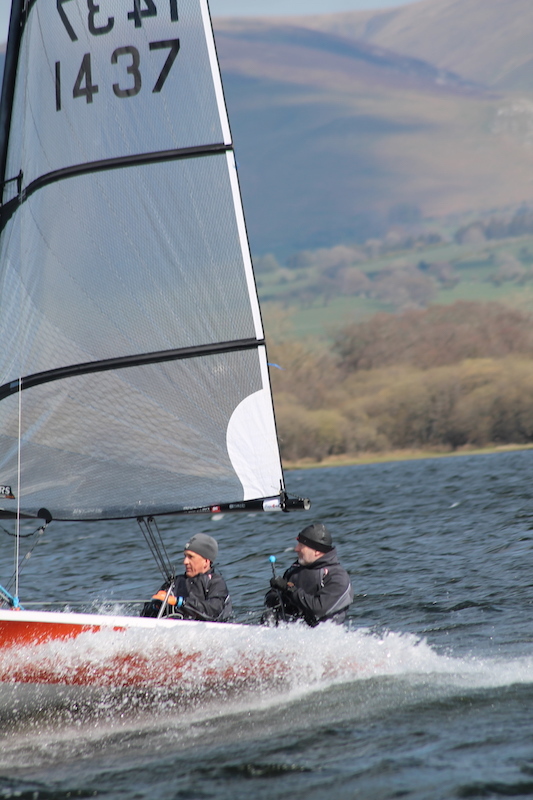 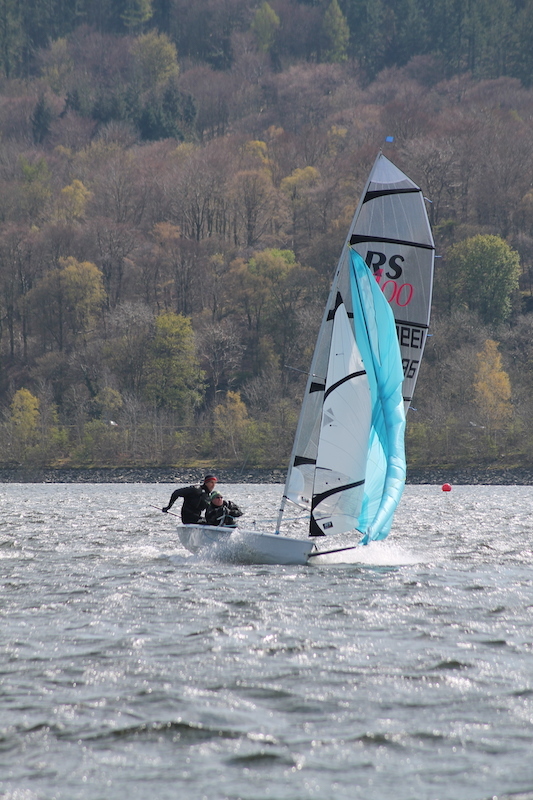 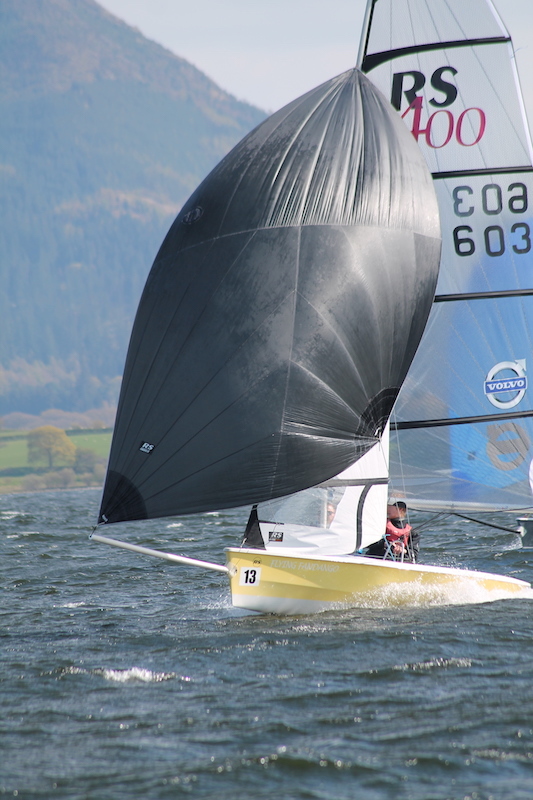 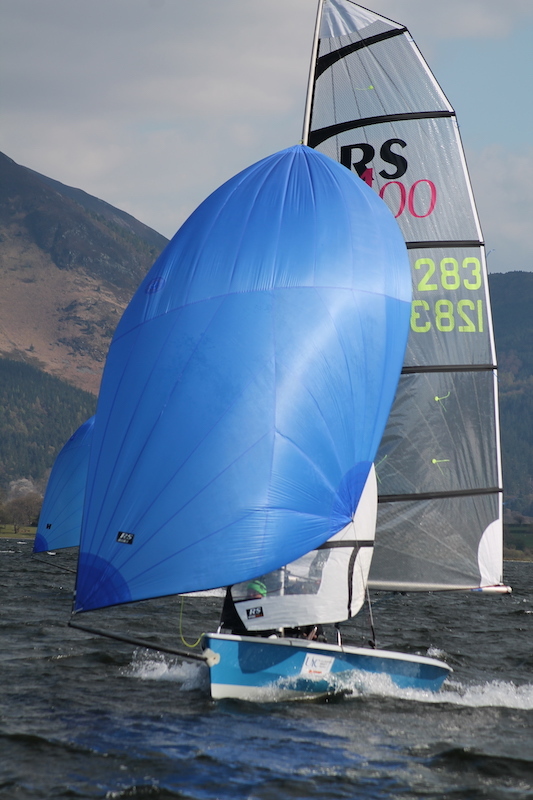 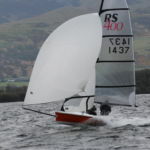 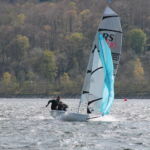 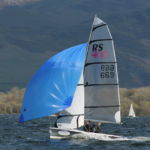 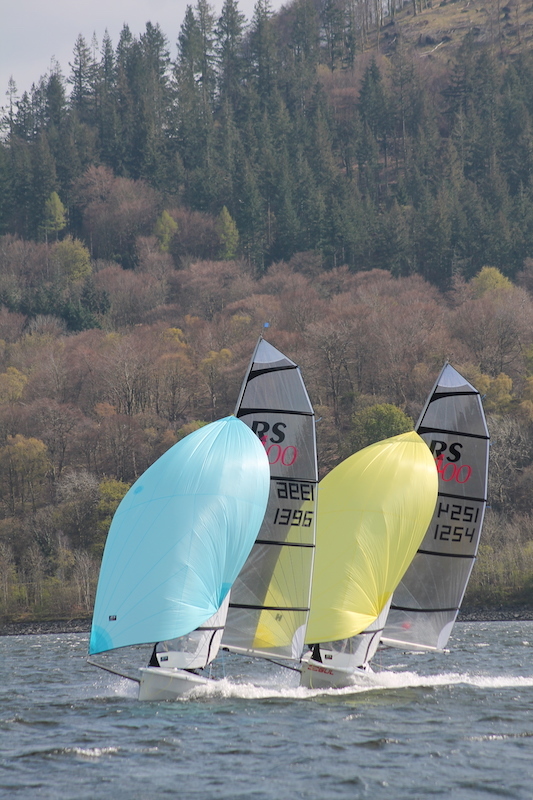 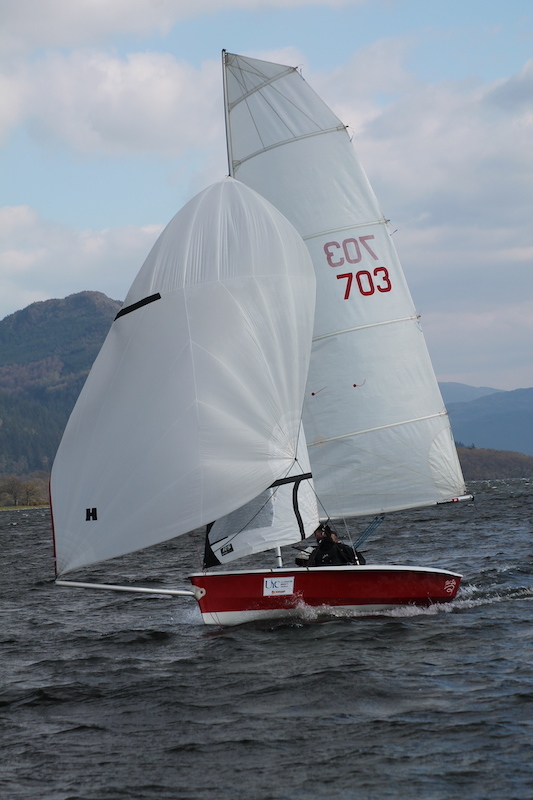 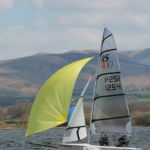 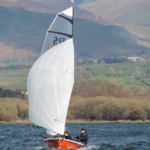 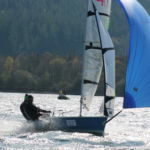 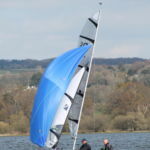 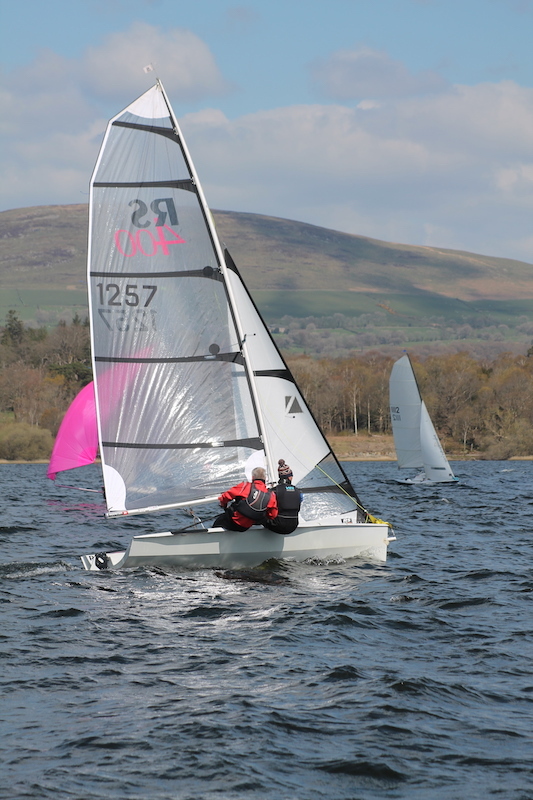 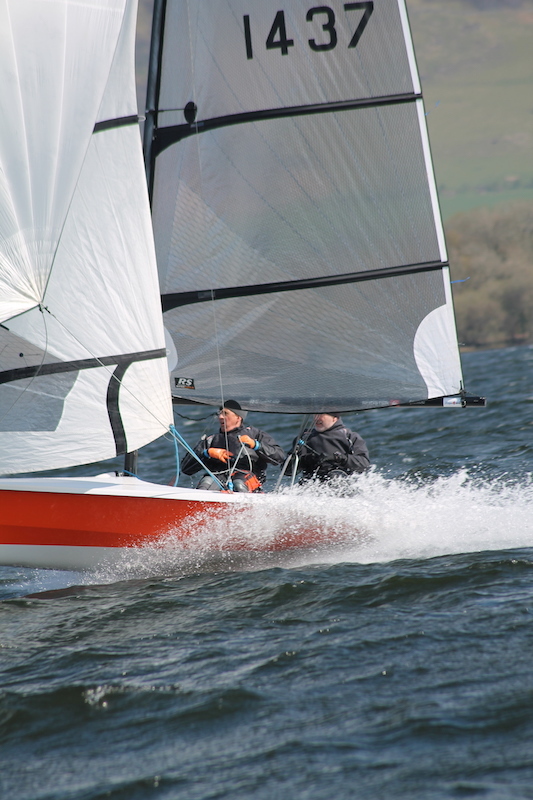 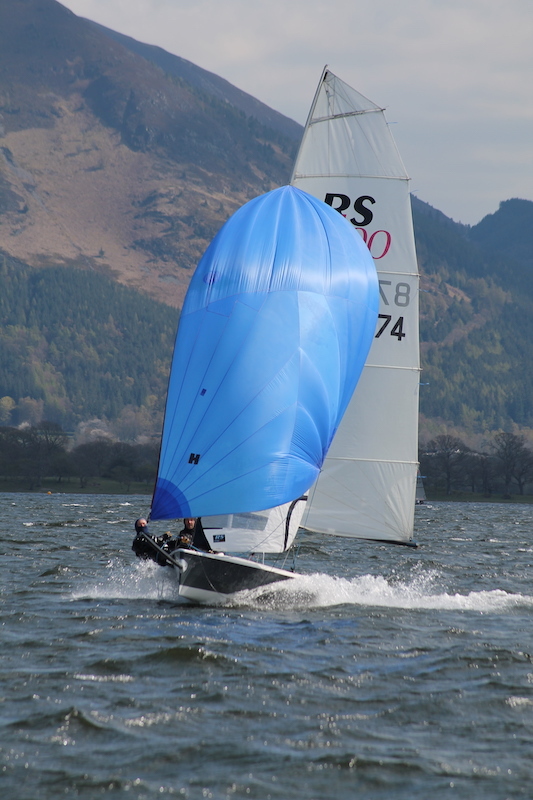 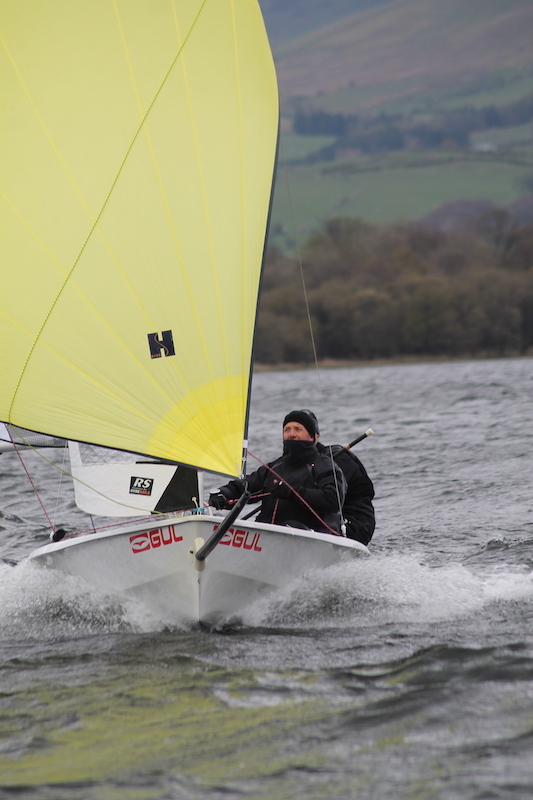 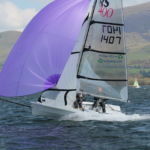 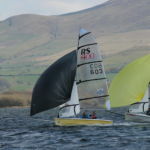 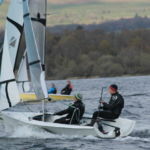 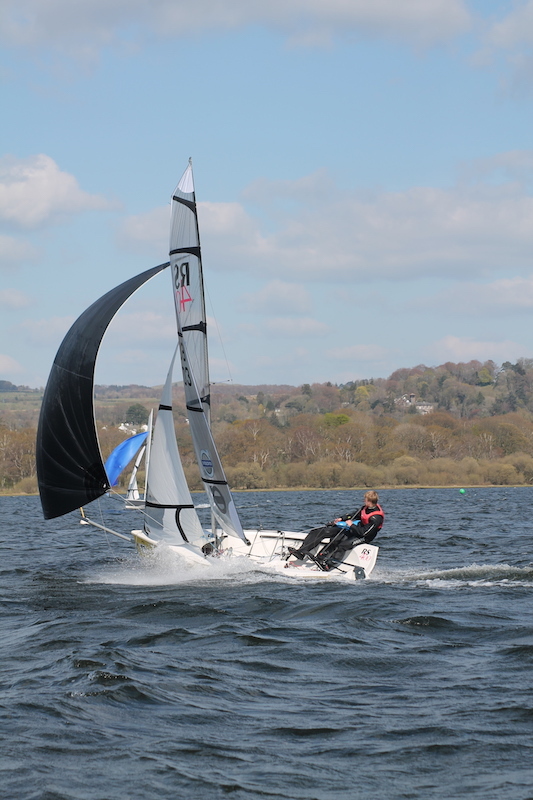 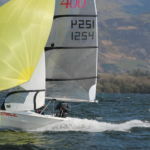 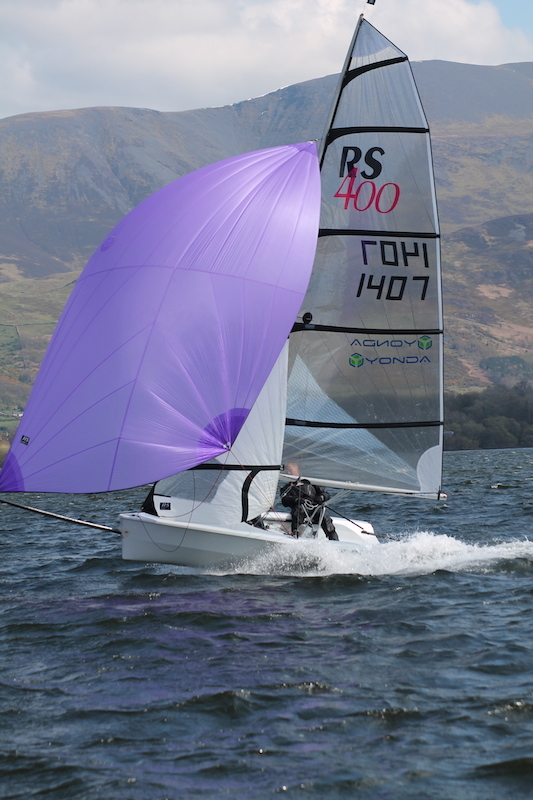 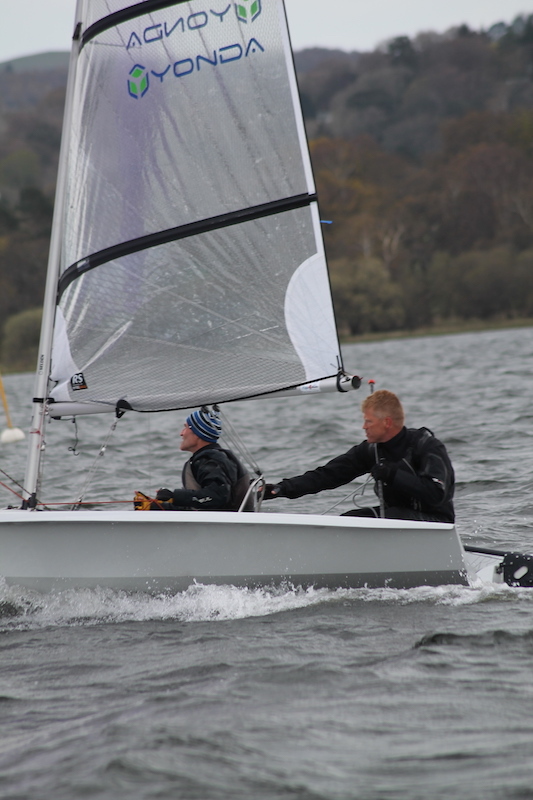 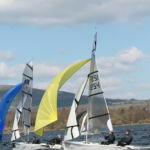 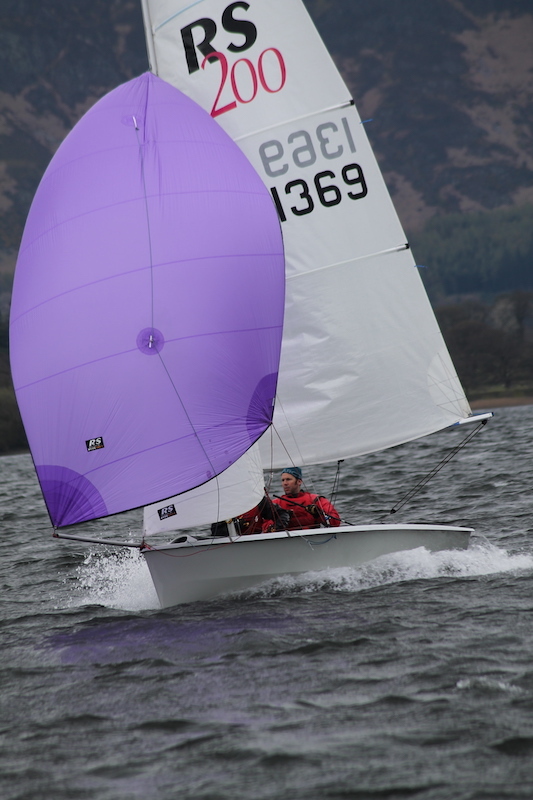 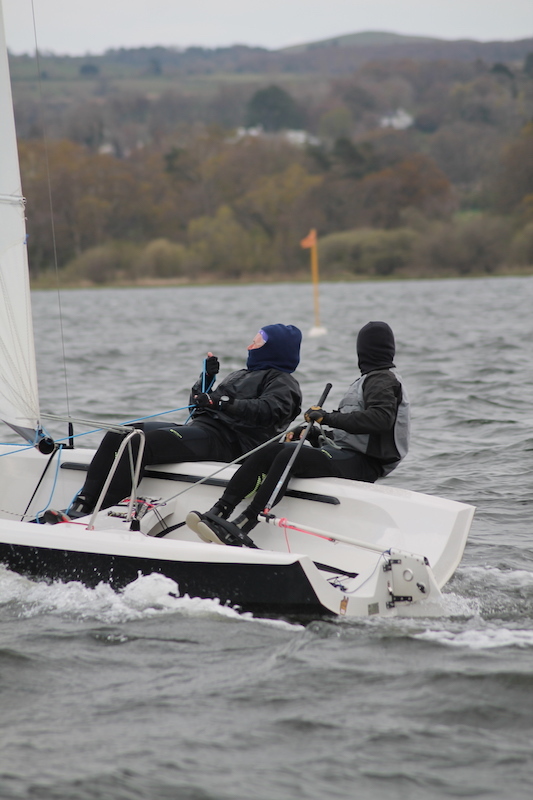 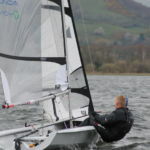 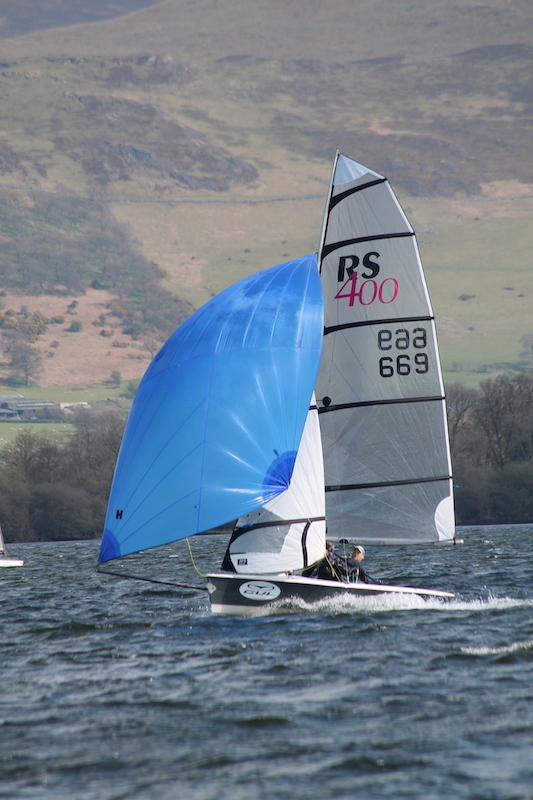 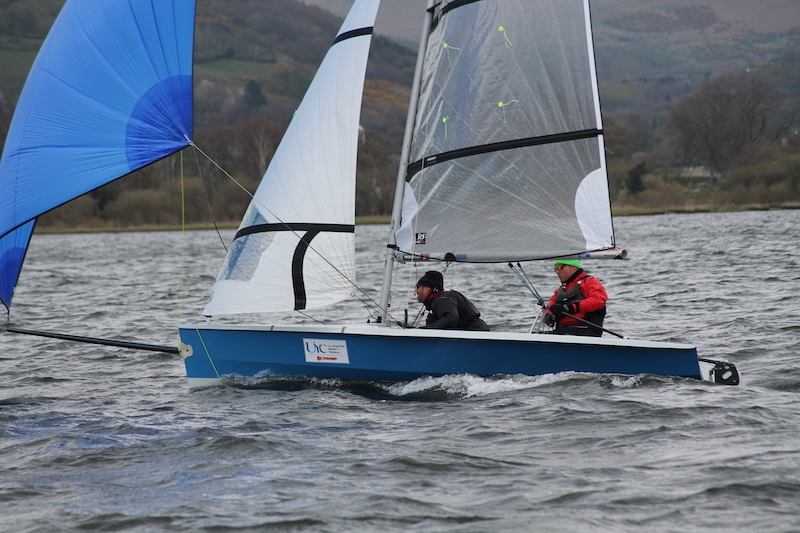 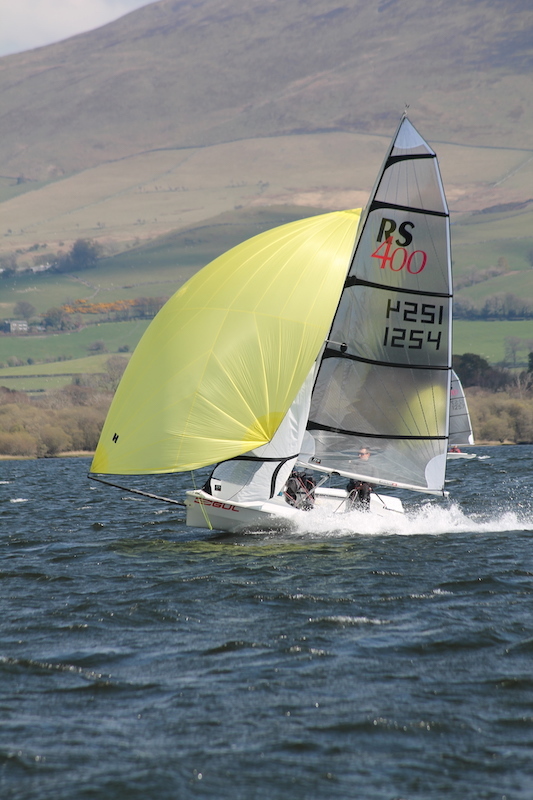 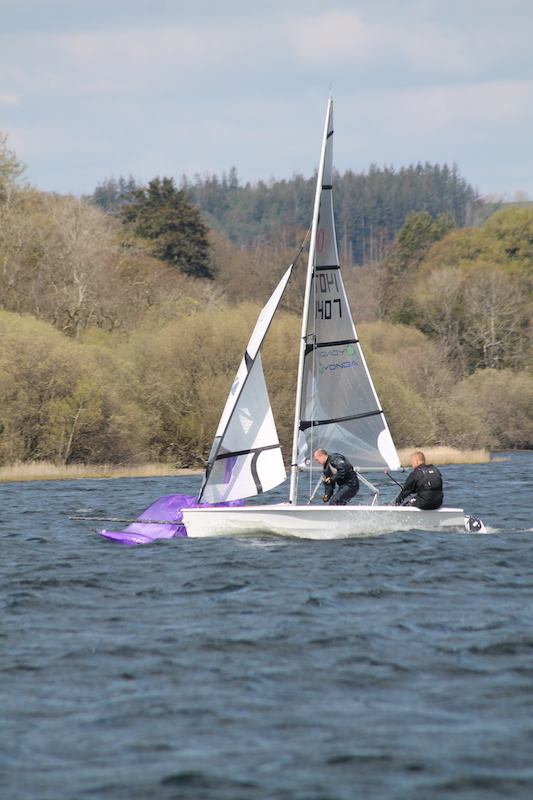 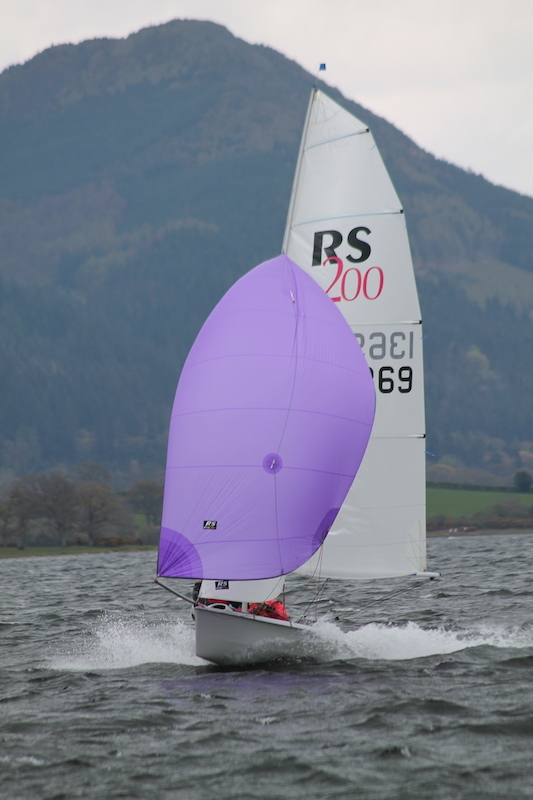 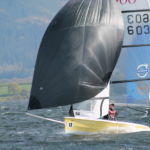 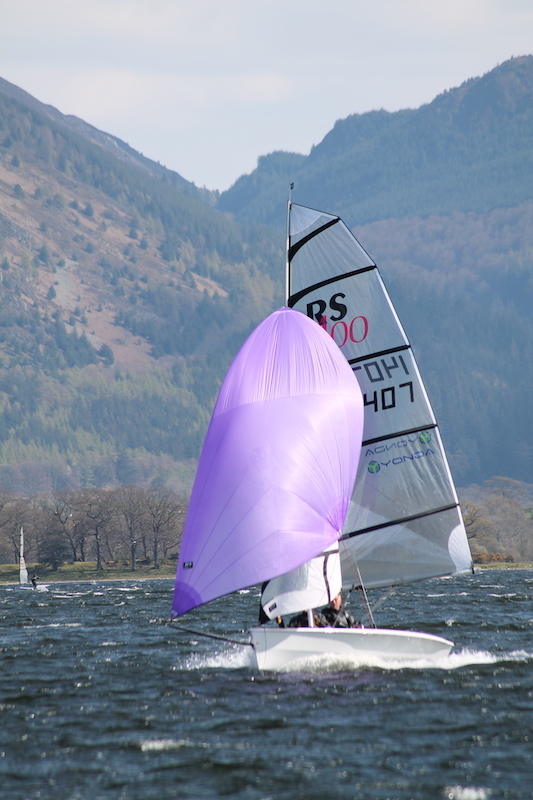 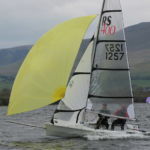 The conditions suited the faster RS400s, led by Richard Catchpole and Gary Coop from Leigh and Lowton, which take up the first two places overnight, but Alastair and Evie Coates, also from Leigh and Lowton, had a brilliant afternoon in their RS Feva and are holding 3rd place overnight. 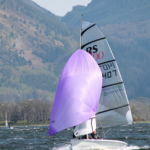 Sunday was neither as sunny, nor as windy generally, but there were again strong gusts of wind to add to the excitement to the offwind legs, and they seemed especially vicious on the beat at times. 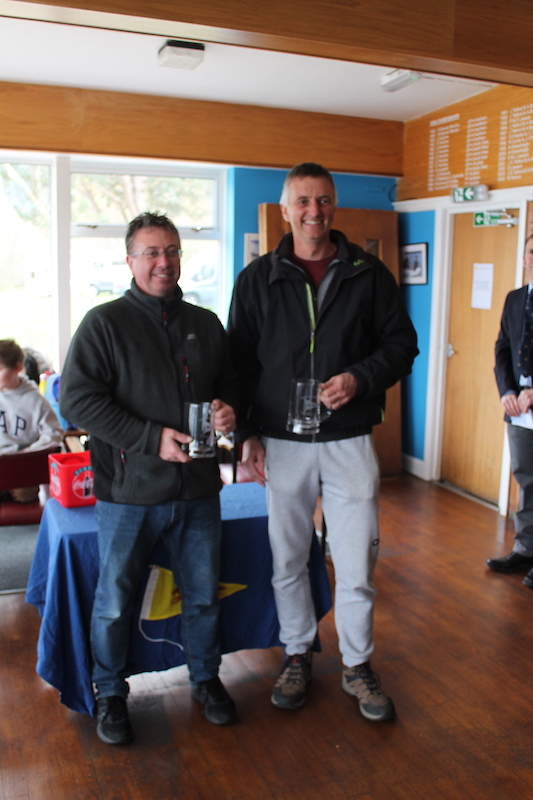 There were more capsizes, and numerous changes of position, and race winners, throughout the remaining four races, but overnight leaders Richard Catchpole and Gary Coop, through their consistent sailing, continued to top the leaderboard and win the series overall. 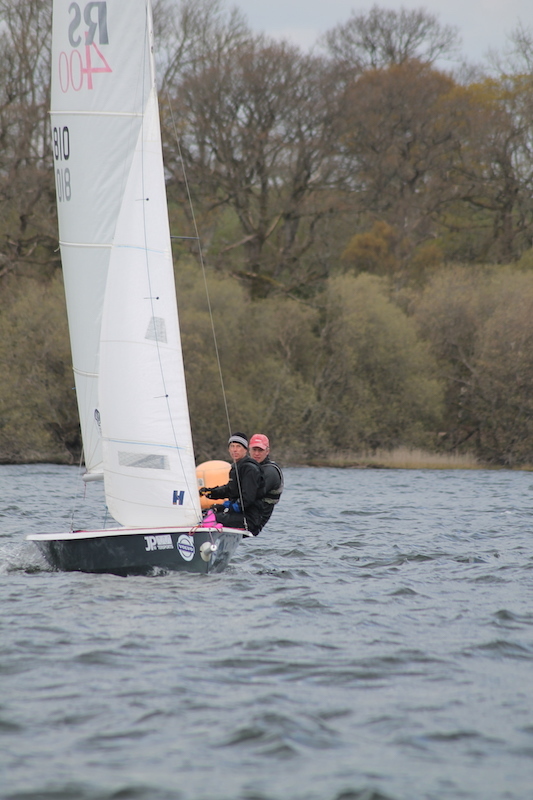 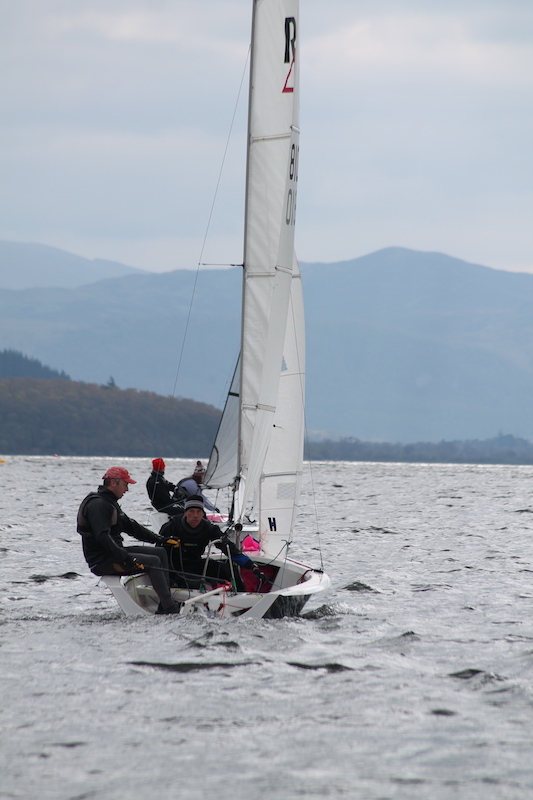 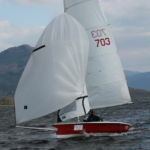 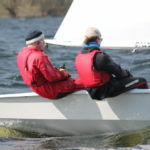 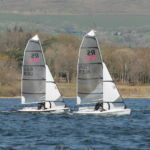 Alastair and Evie Coates led the slower handicap boats finishing a creditable 4th overall.